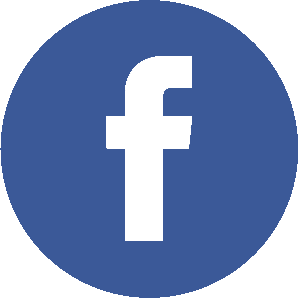 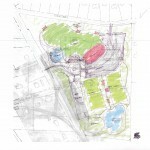 Portfolio - Breedlove Land Planning, Inc. 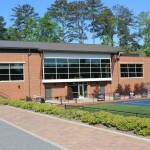 The Rome Tennis Center at Berry College is one of the largest tennis facilities in North America. 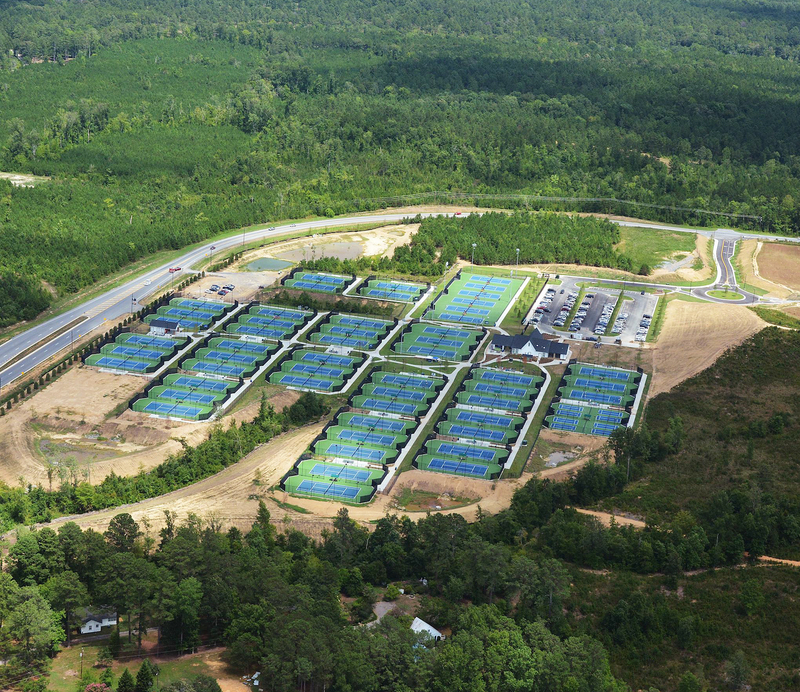 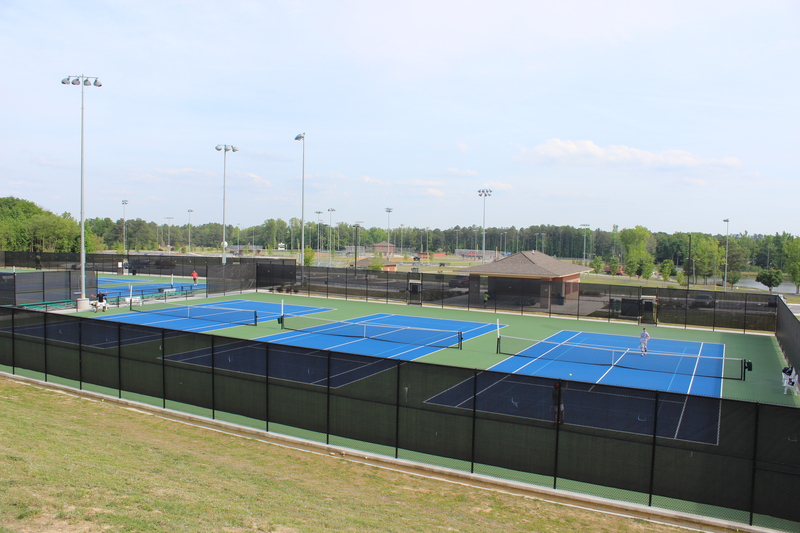 The 60-court facility includes 54 United States Tennis Association (USTA) standard, asphalt tennis courts, six of which are NCAA regulation courts, and three center courts for tournament and collegiate play. 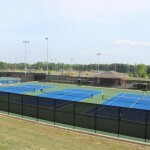 The facility also includes eight “10 & Under” tennis courts. 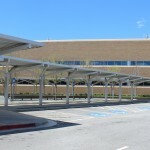 All courts have lighting and access to shade structures. 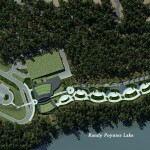 The extremely topographic nature of the site created a design challenge. 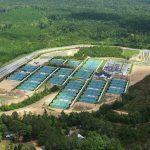 The terracing of the land allows for the program, 0% slope tennis courts, to be efficiently nestled into the natural lay of the land, which includes 70+ feet of drop from its highest point. 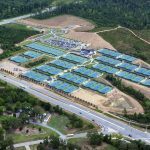 The location of the clubhouse, terraced above the tennis courts, allows for an elegant entry into the site, and will draw one’s eye to the exceptional views beyond. 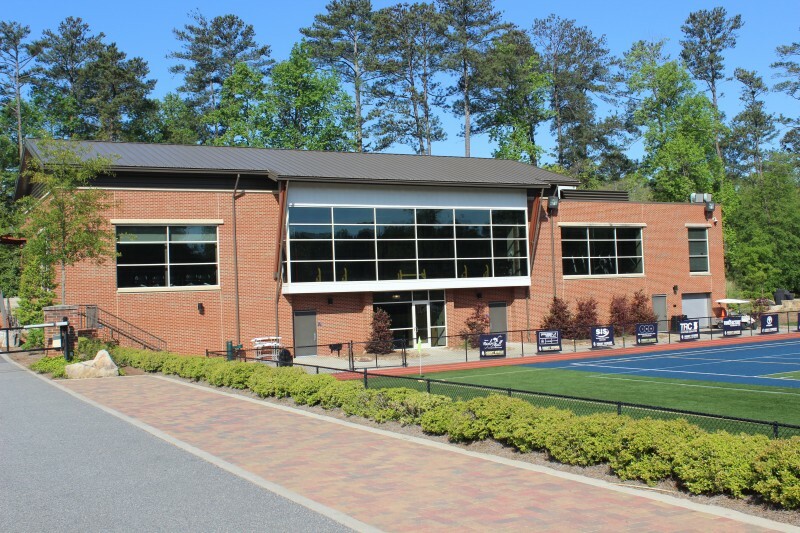 The entire terraced design is ADA accessible, does not have steps, and has wider entry ways to accommodate sport chairs for wheelchair tennis. 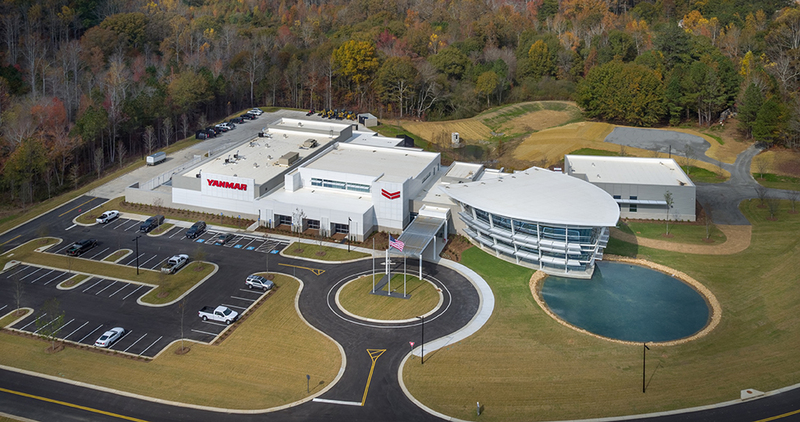 YANMAR America’s EVO//CENTER offers an unparalleled hands-on educational experience in which students and visitors can work directly with Yanmar machines, in classrooms and in the field, to learn about food production and the environment. 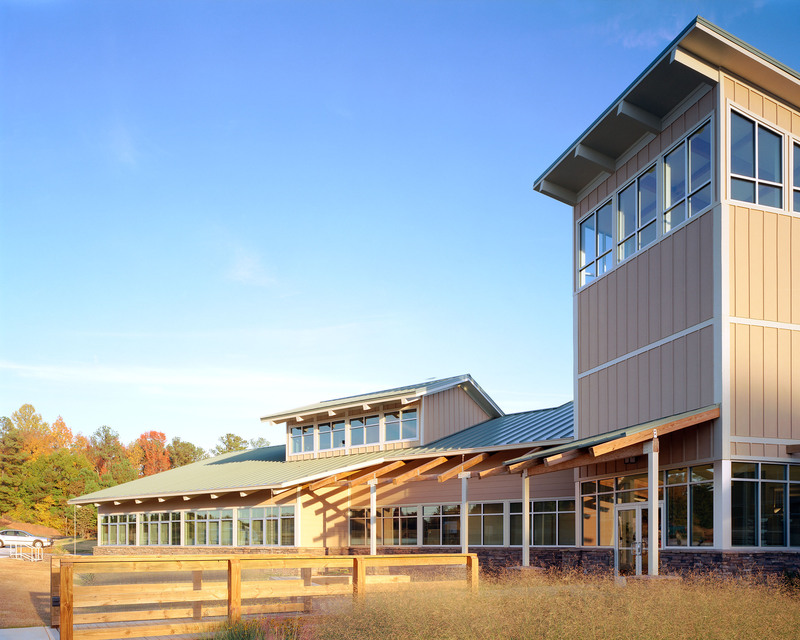 The 50,000 SF center offers training classrooms, an auditorium and an interactive museum with exhibits on historic practices and equipment relative to food production. 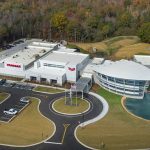 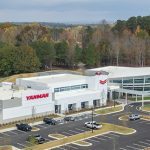 The center also includes a “Working” Agricultural Training Field of approximately two acres, which allows YANMAR to grow local, seasonal crops on site. 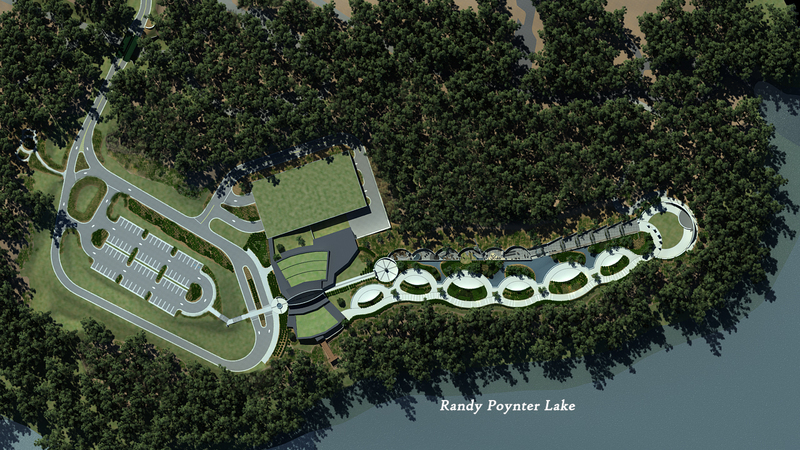 The overall site layout and the design blend the Evo//Center with its rural Cherokee County surroundings. 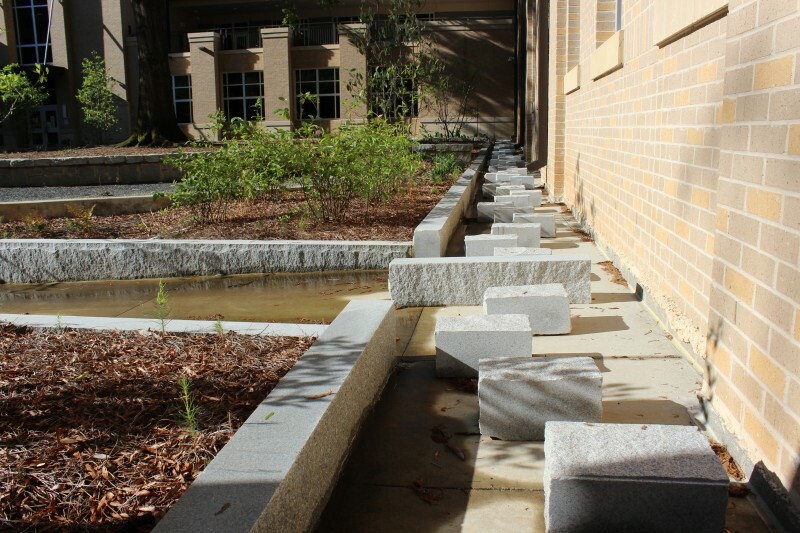 Yet special accent features, including the reflecting pond and the outdoor dining commons, draw inspiration from traditional Japanese garden elements, a nod to YANMAR’s native country. 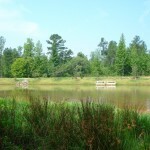 Breedlove Land Planning preserved a majority of the 52-acre site including preservation of 32 acres of existing wooded areas. 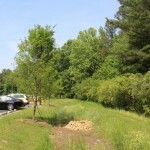 Additionally, over 225 new caliper trees were planted within the developed areas of the site. 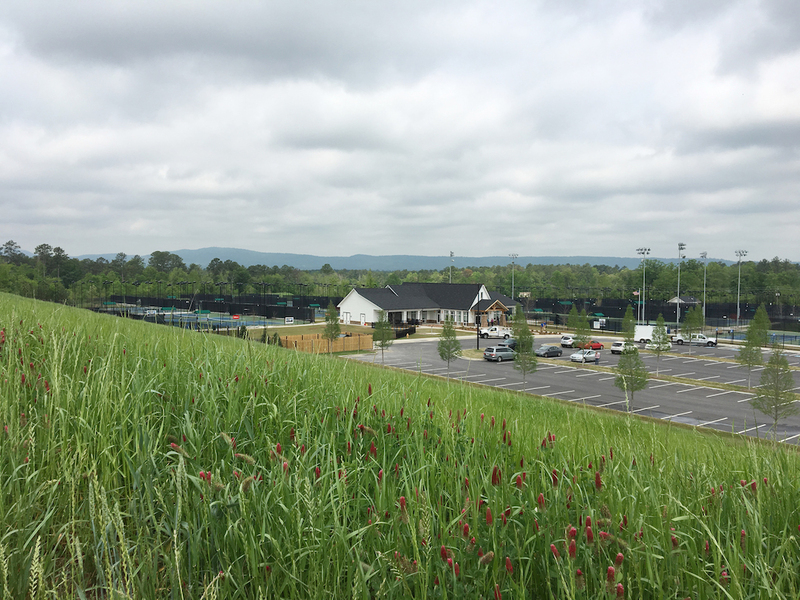 The project also includes over 250,000 SF of custom native, low-maintenance “meadow” mix which speaks to the site’s rural surroundings. 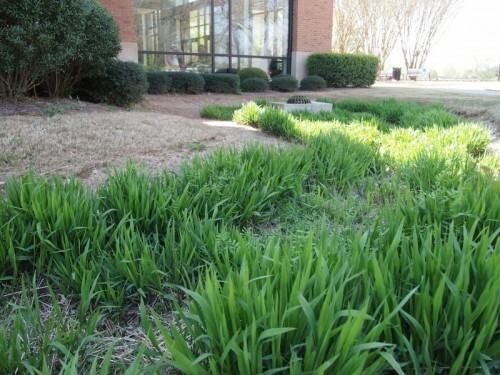 The meadow mix only requires mowing twice a year and does not require irrigation – a huge saving in water usage as compared to traditional turf grass. 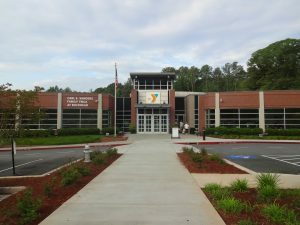 The Carl E. Sanders Family YMCA at Buckhead is one of the flagship facilities of Metropolitan Atlanta YMCA. When the decision was made to greatly enhance the program, Breedlove Land Planning was retained to provide master planning, landscape architecture and civil engineering services. 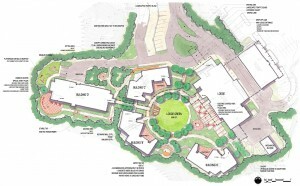 BLP led the effort to develop a detailed master plan identifying the full buildout of the site. 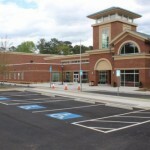 The master plan was presented to various community groups and City of Atlanta departments before being approved. Upon approval, BLP moved immediately into the development of complex site construction drawings to allow site work construction to begin while the architectural team produced their documents. 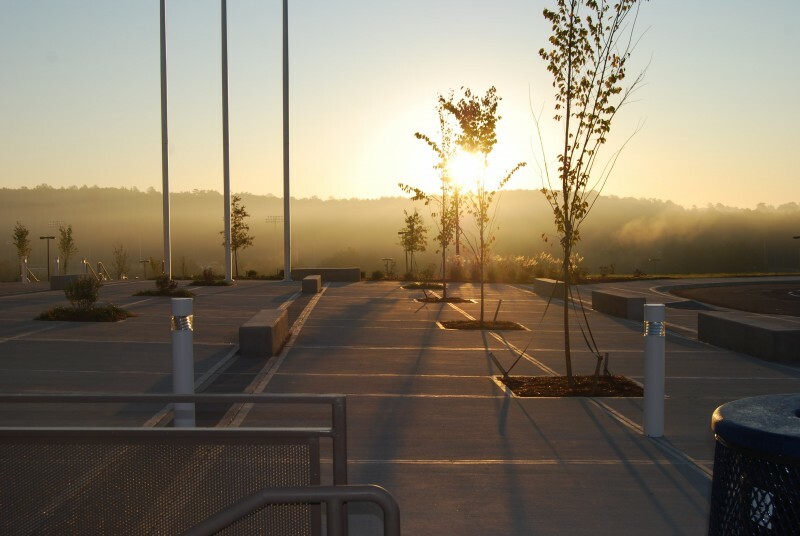 The site program includes new parking, stormwater management facilities, utility design, retaining walls, a playground, enhanced arrival and entry sequence, fire access upgrades and planting. 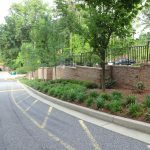 Sensitive land planning allowed for the preservation of many large hardwood trees and preservation of tree canopy, which is a defining characteristic of the Buckhead neighborhood. 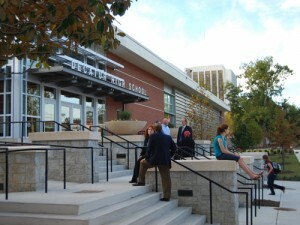 Located south of the new Georgia State University Stadium (formally Turner Field) this LEED Gold certified project is a cultural anchor in a rapidly developing neighborhood of Atlanta. 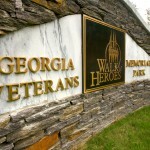 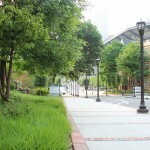 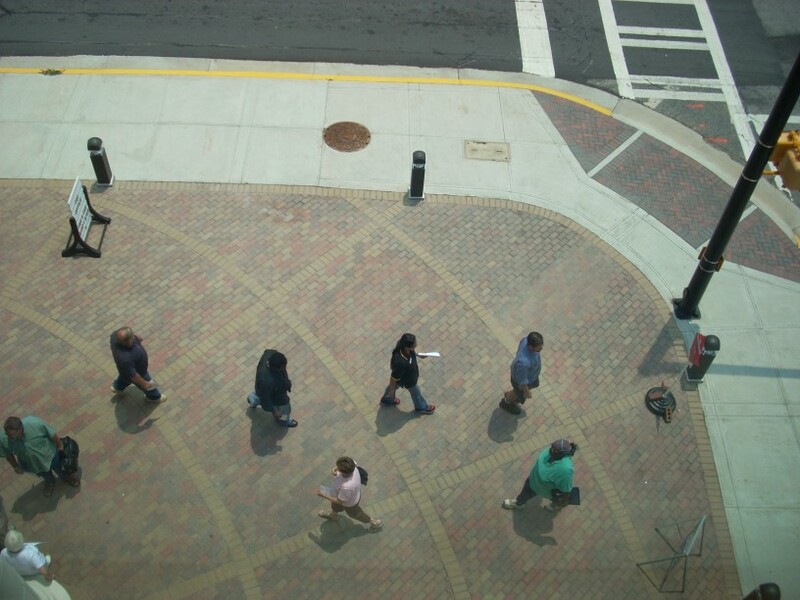 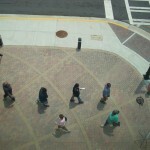 Given the site’s close proximity to the Atlanta Beltline, an emphasis was placed on wide sidewalks along the street and strong pedestrian and bicycle access. 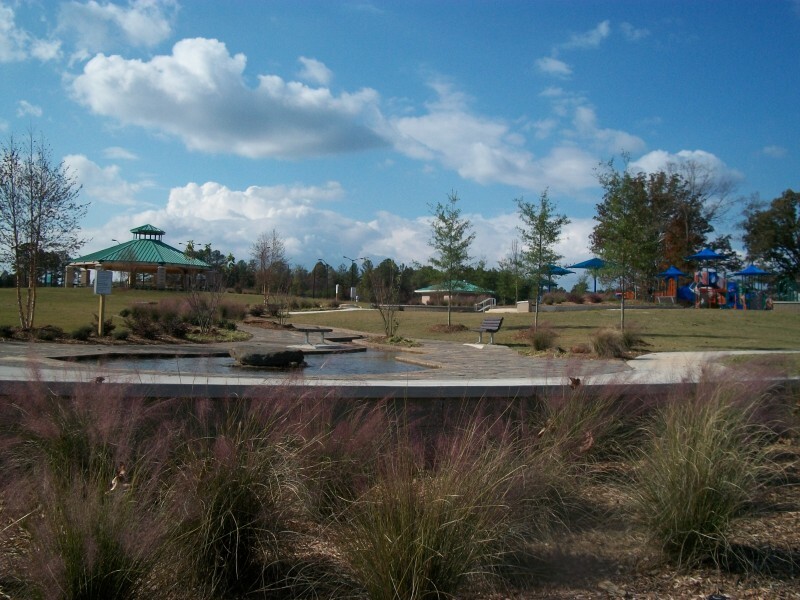 The site utilizes vegetative stormwater management and a large underground infiltration system to meet ecologically based stormwater goals. 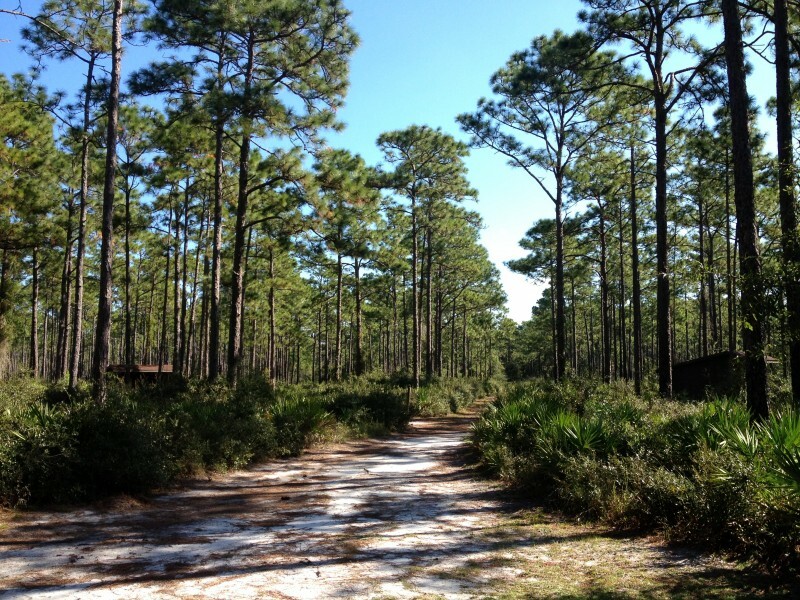 Site grading was minimized to best preserve trees and limit unnecessary disturbance. 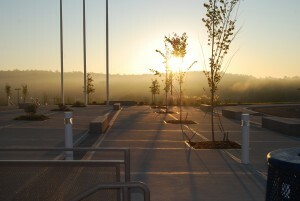 The result is a signature neighborhood facility that embraces both ecology and the urban fabric of its surroundings. 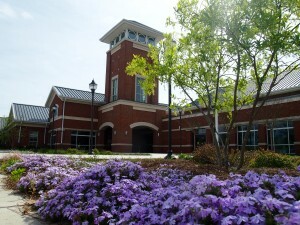 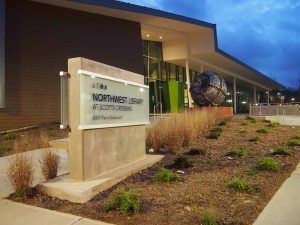 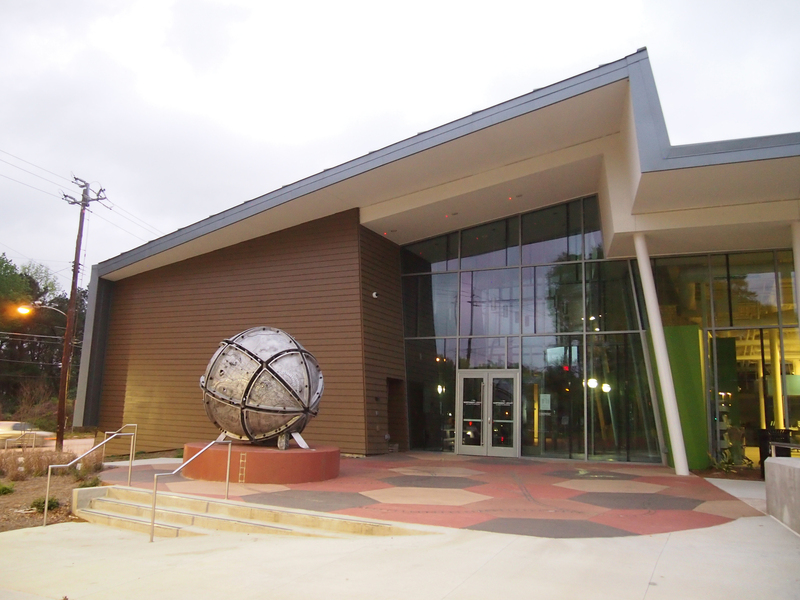 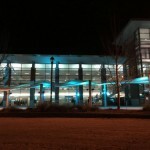 The award-winning Northwest Library at Scotts Crossing is a part of the Atlanta-Fulton Public Library System. 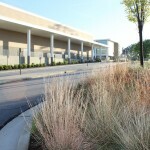 The project’s site design blends natural and urban context. 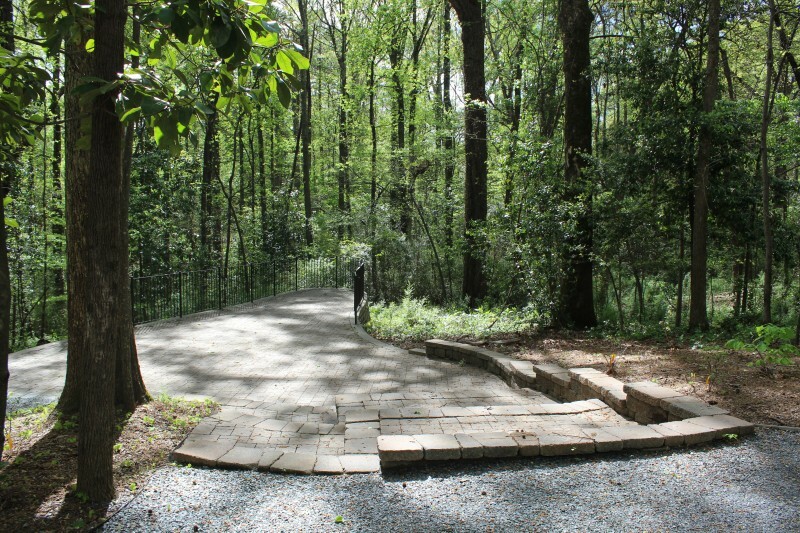 Multiple acres of mature piedmont forest were preserved at the north end of the site, creating a dramatic backdrop for the project. 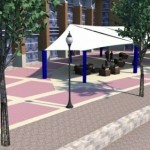 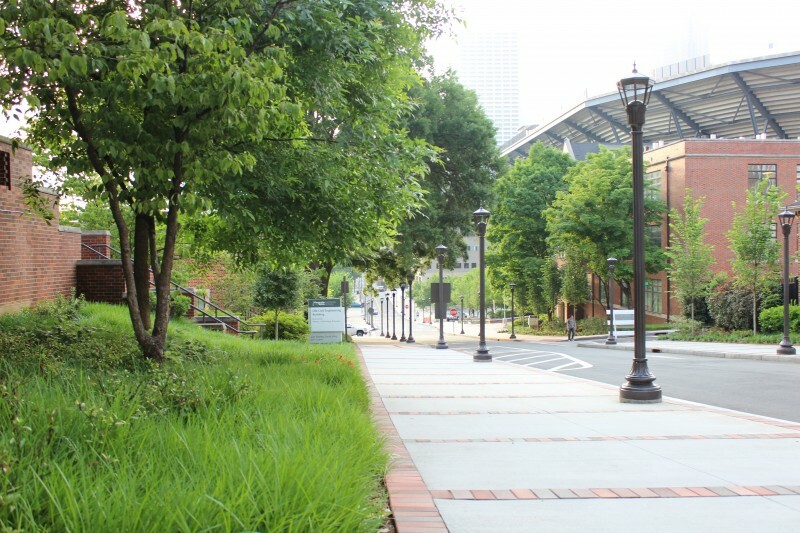 The west and south street fronts were designed with generous fifteen- foot streetscape treatments utilizing porous pavers, tree wells, benches and other site amenities. 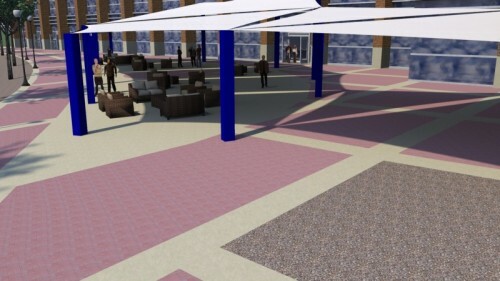 The library was sited at the corner of the Perry Boulevard and Hollywood Road intersections, with a dramatic courtyard blending outdoor program space with the street to create cohesion. 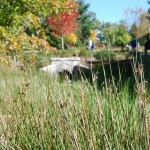 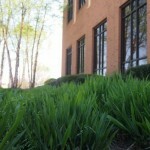 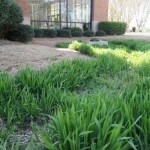 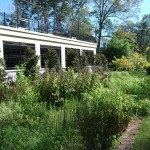 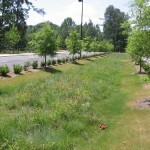 Stormwater management was designed to promote infiltration, and planting beds utilize native species without irrigation. The project received LEED Silver certification and was awarded a 2016 Honor Award from the Georgia Chapter of the American Institute of Architects. 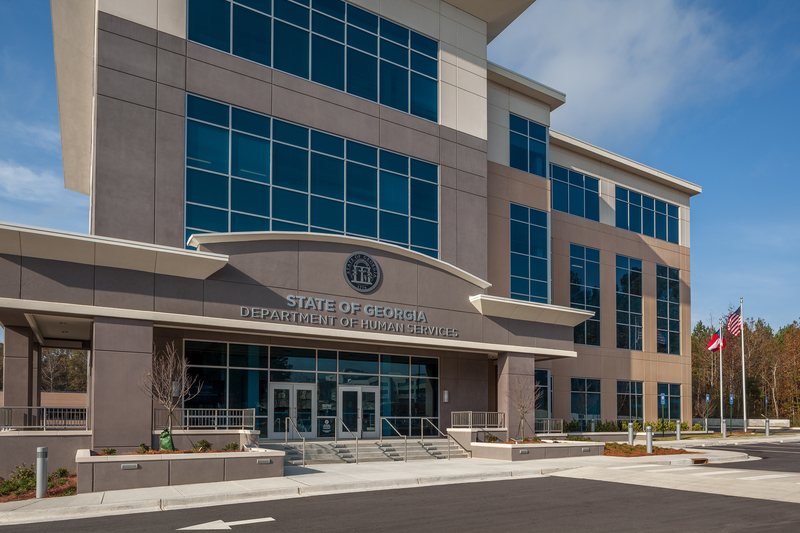 This four-story, 100,000 SF office building serves clients of the Department’s Division of Family and Children Services (DFCS), the Division of Child Support Services (DCSS), and the Division of Aging Services (DAS). 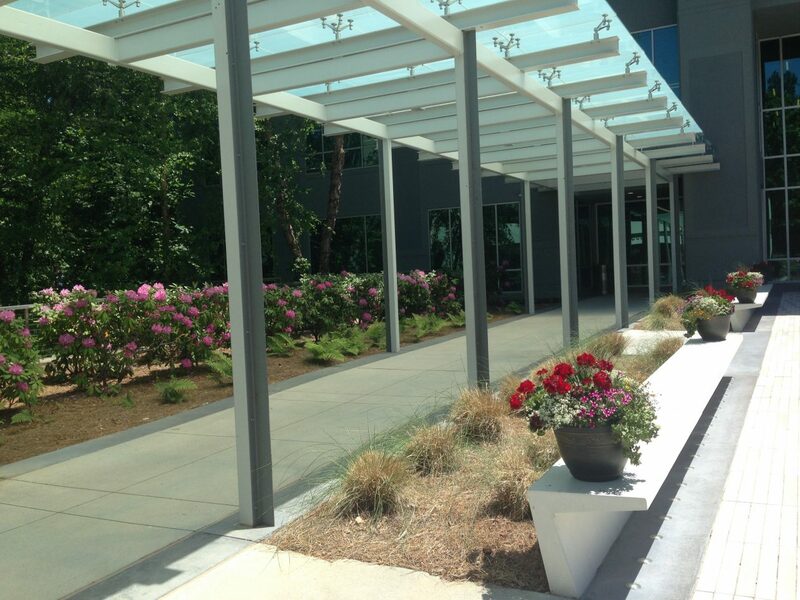 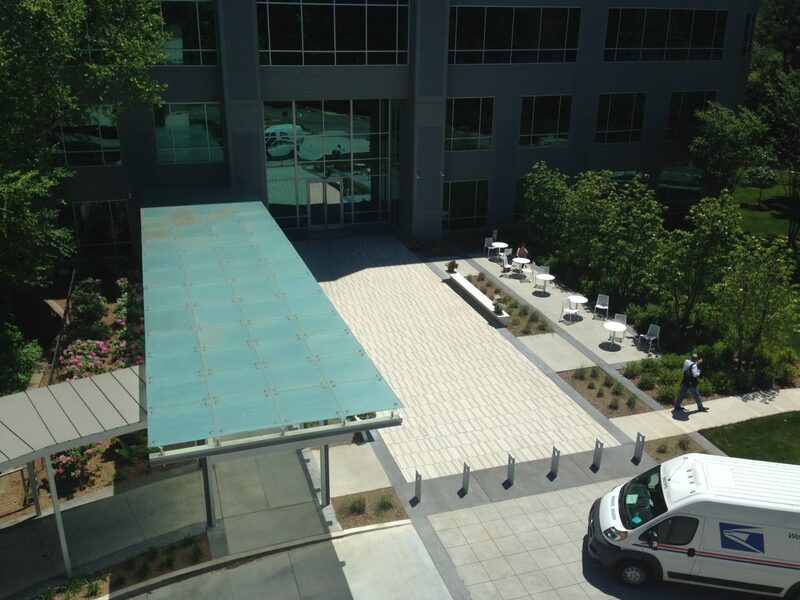 The building houses 400 employees and is expected to serve more than 120,000 families in Gwinnett County. 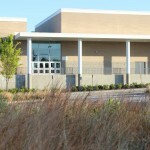 The site design included two underground detention systems for the facility, which provide approximately 50,000 c.f. 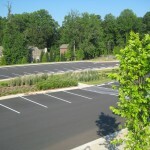 (370,000 gallons) of stormwater storage beneath the parking lots. 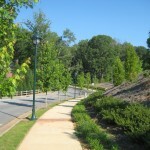 BLP coordinated design and permitting efforts with the City of Lawrenceville, Gwinnett County, and the State of Georgia. 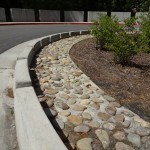 These efforts helped to ensure seamless project execution. 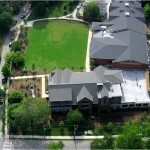 Emory Clinic Buckhead is located off Peachtree Road in the Beltline Overlay District. 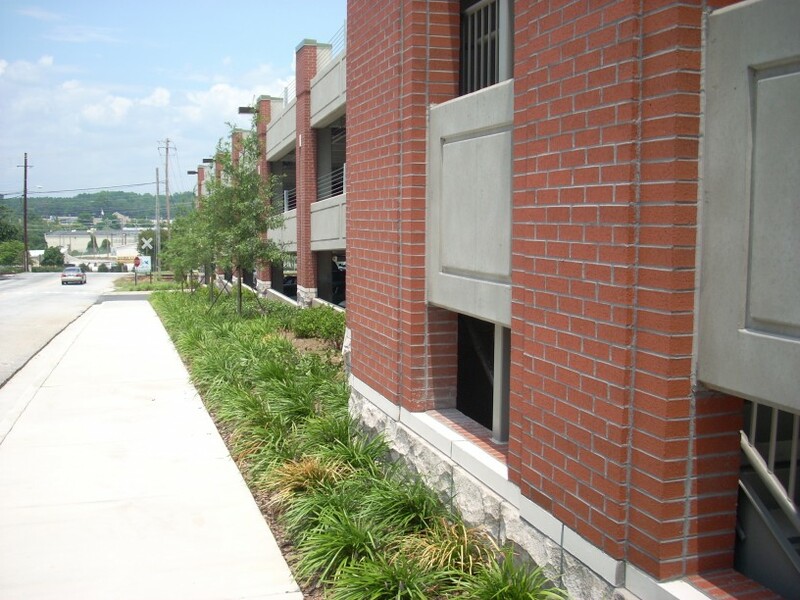 The site design for this project had to be approved through Beltline Design Review Committee, and resulted in a modified version of their streetscape standard which allowed for the reduction of impervious cover to help alleviate existing drainage issues. 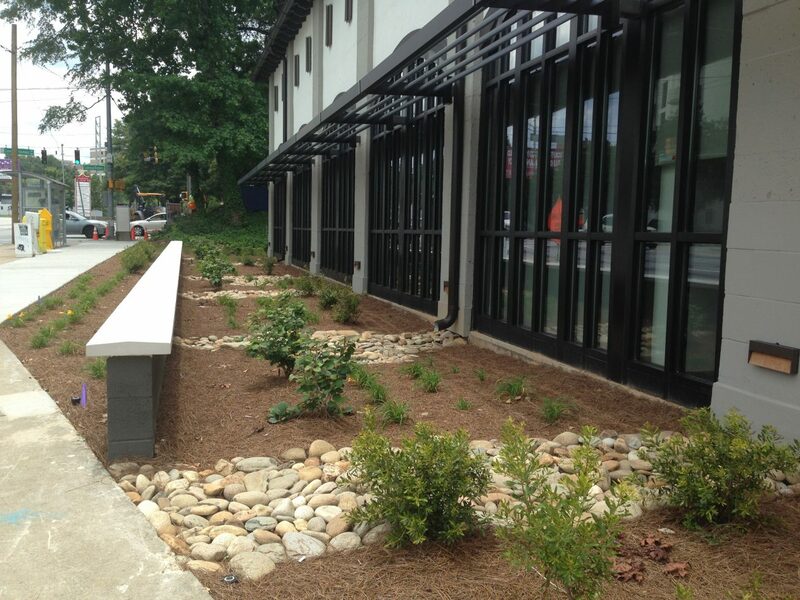 Taking cues from the building façade, the landscaping on Peachtree Street repeats a series of river rock swales and plant beds that complement the rhythm of the architecture. 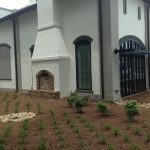 This budget conscious design utilizes native and naturalized drought tolerant plants that will reduce maintenance costs over the long run, while still providing the clinic with the curb appeal worthy of one of the South’s signature streets. 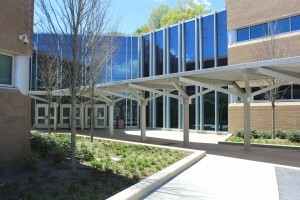 Newell Brands is a Fortune 500 company with offices around the globe. 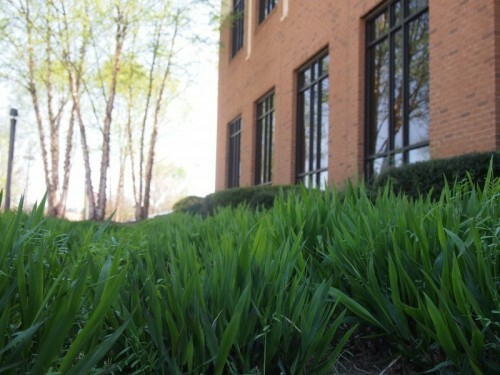 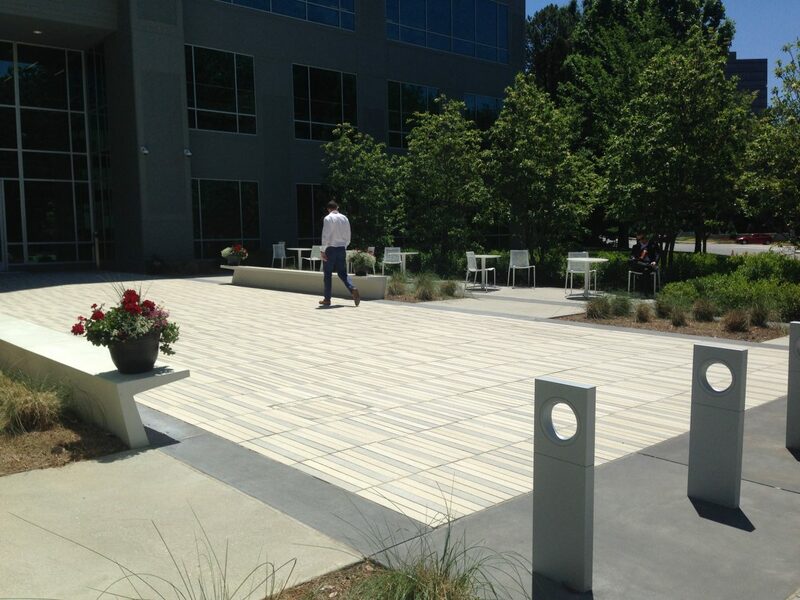 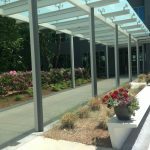 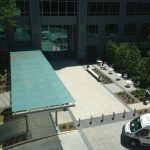 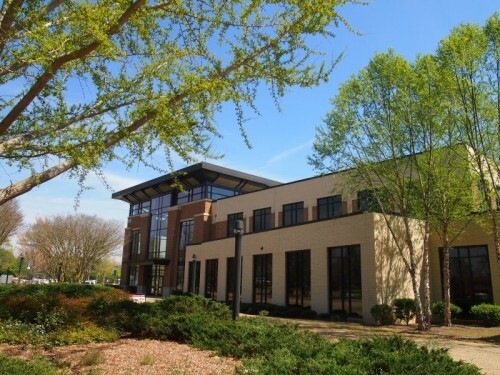 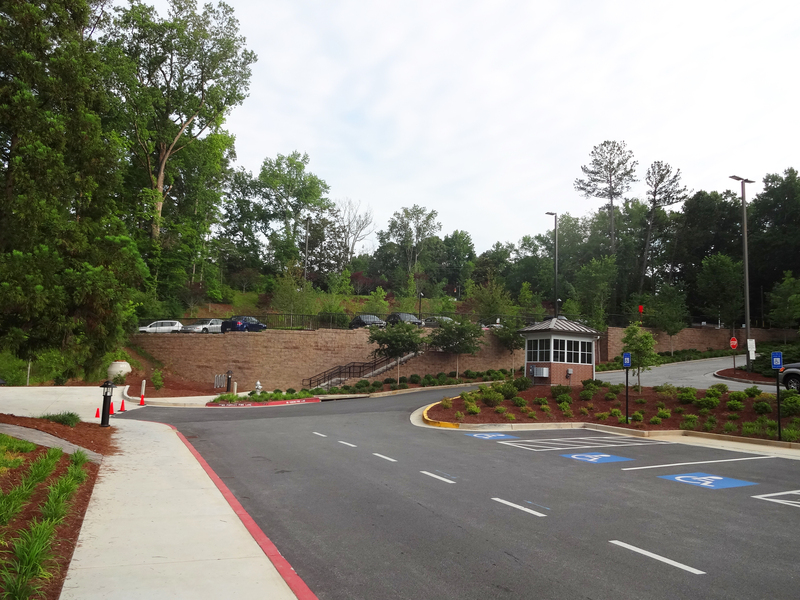 When Newell Brands renovated an existing office park in Sandy Springs, Georgia, Breedlove Land Planning was retained to provide civil engineering and site design services. 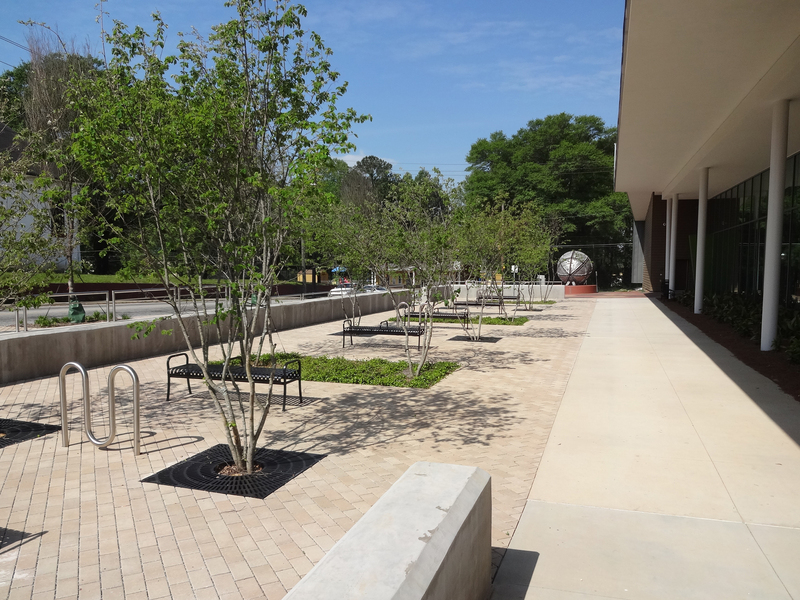 The site program included the renovation of an existing parking deck, improved vehicular and pedestrian circulation, outdoor plaza and patio spaces and an intensive green roof. 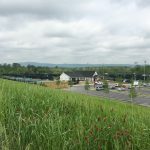 Due to various site constraints, Breedlove Land Planning had to file for variance approval with the City’s Board of Appeals to allow for encroachment into streambank buffers. 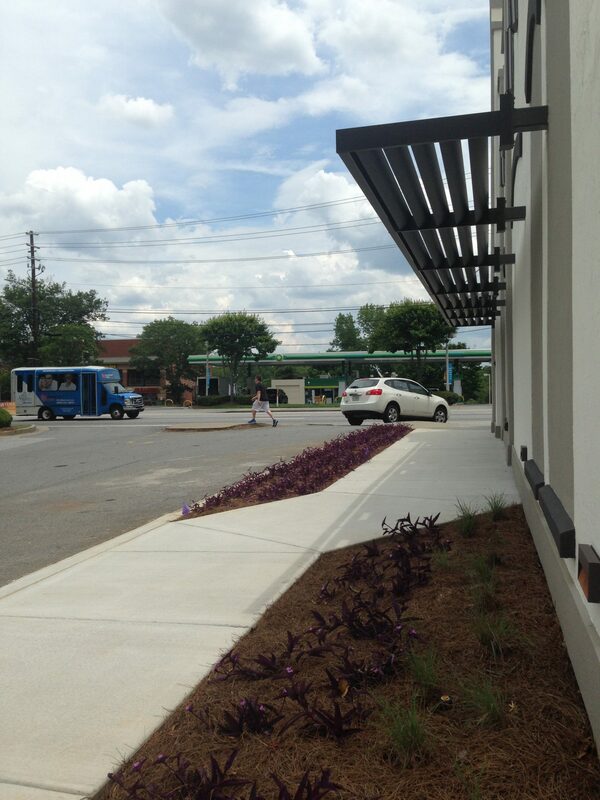 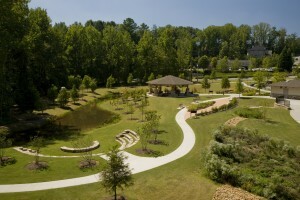 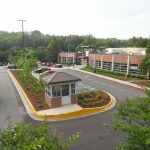 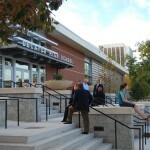 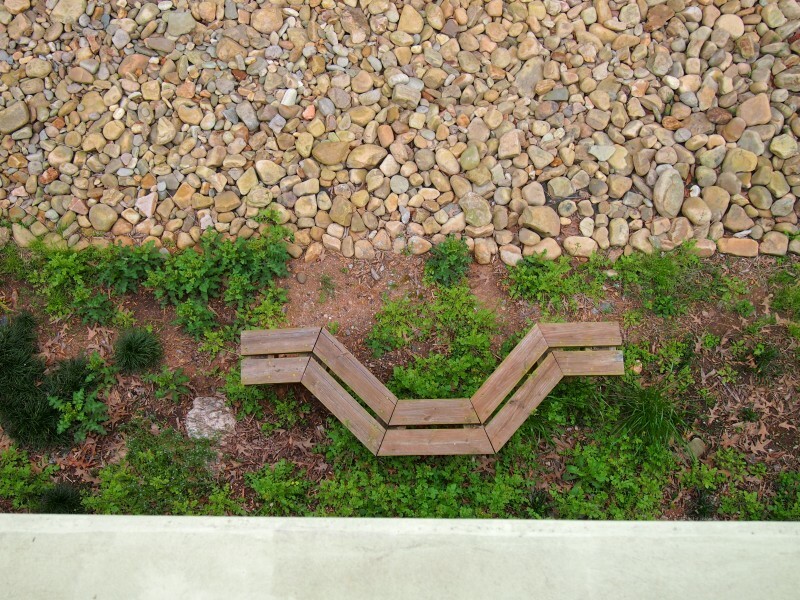 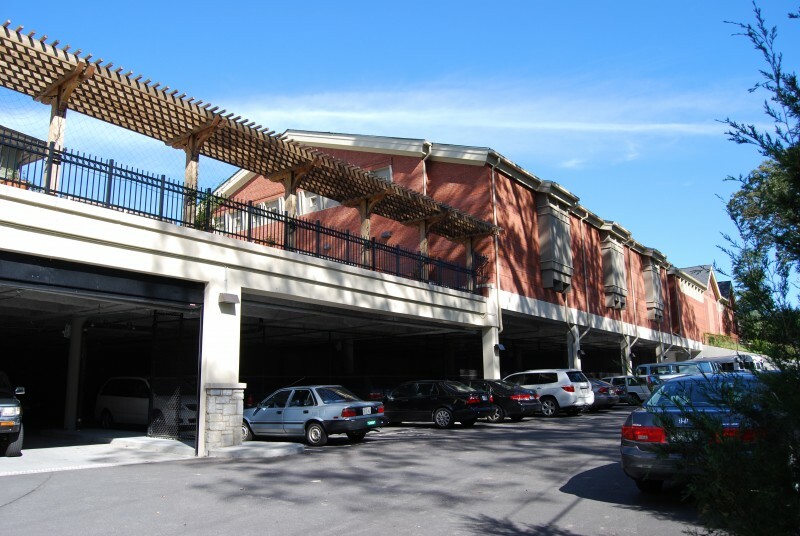 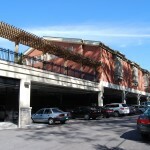 The project’s emphasis on reducing imperious surface, vegetating large swaths of existing roof and improving the ecological performance of the site ultimately led to Board approval and the support of the Watershed Alliance of Sandy Springs, who recognize the redevelopment as a model for commercial redevelopment. 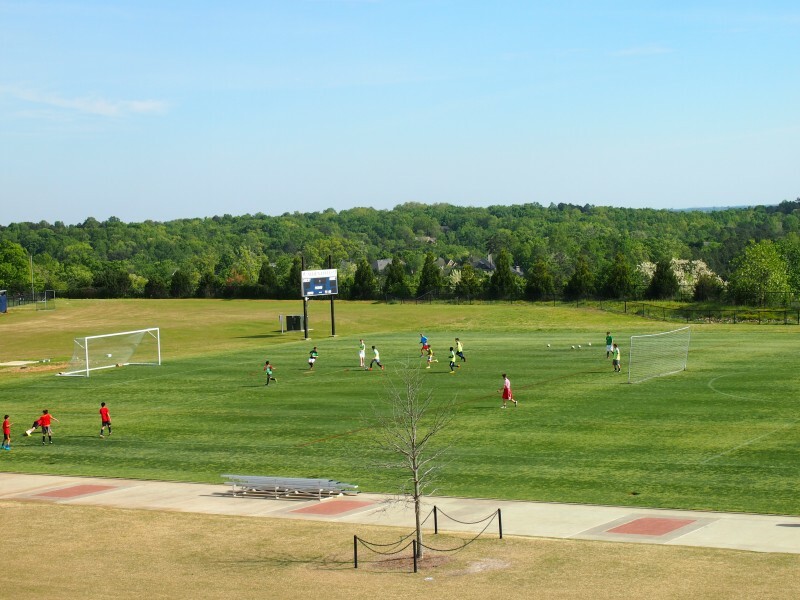 Breedlove Land Planning is currently serving as the lead designer for the master planning and construction documentation of a new 13-acre soccer complex in Dekalb County. 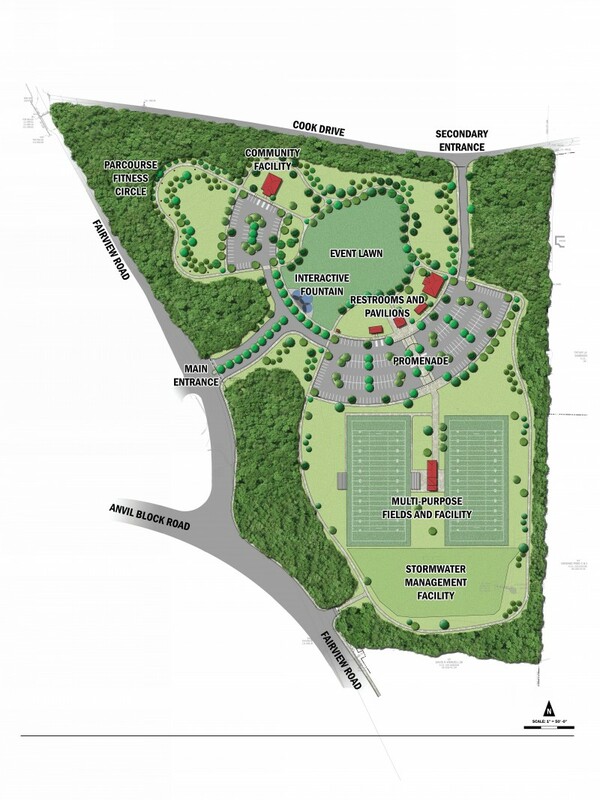 The complex will include 3 soccer fields, a parking area and a concession/restroom building. 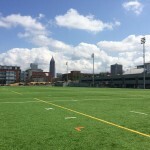 The Inter Atlanta FC reached out to BLP for their knowledge and expertise, not only in athletic field design, but also for experience in working on environmentally restrictive sites. 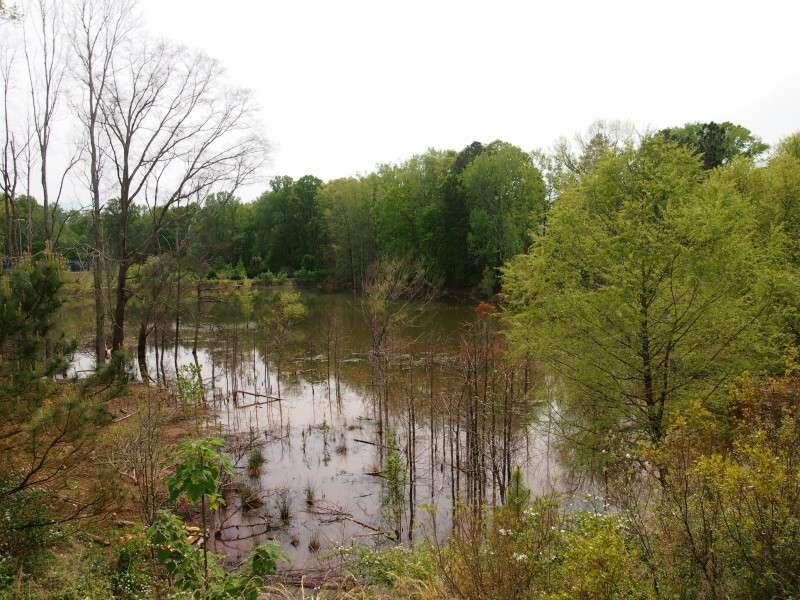 BLP is currently working to maintain the client’s program while overcoming numerous site constraints including state stream buffers, large floodplain and floodway areas and a sewer easement which crosses through the middle of the property. 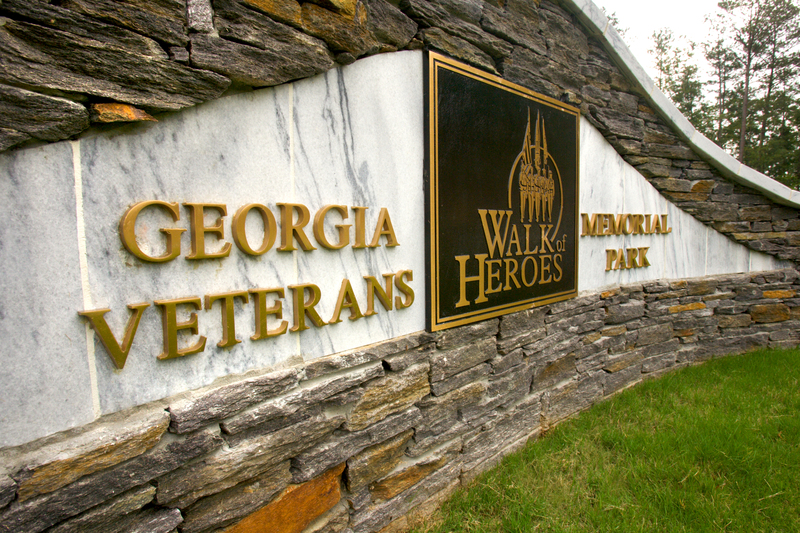 BLP has also assisted Inter Atlanta FC with the production of illustrative marketing boards that are being used to assist with ongoing fundraising campaigns. 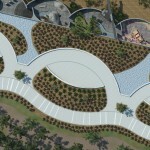 The project is expected to be completed in 2018. 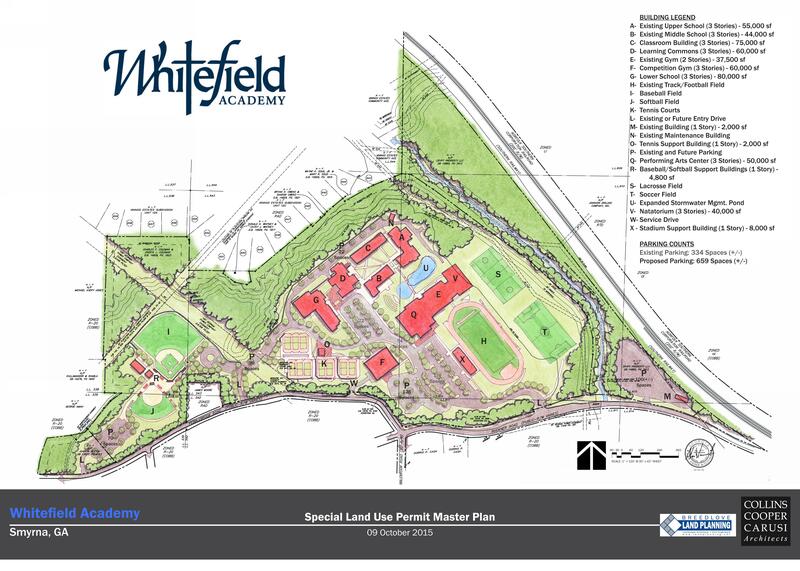 Founded in 1996, Whitefield Academy is a preparatory school in the Mableton area of northwest Atlanta. 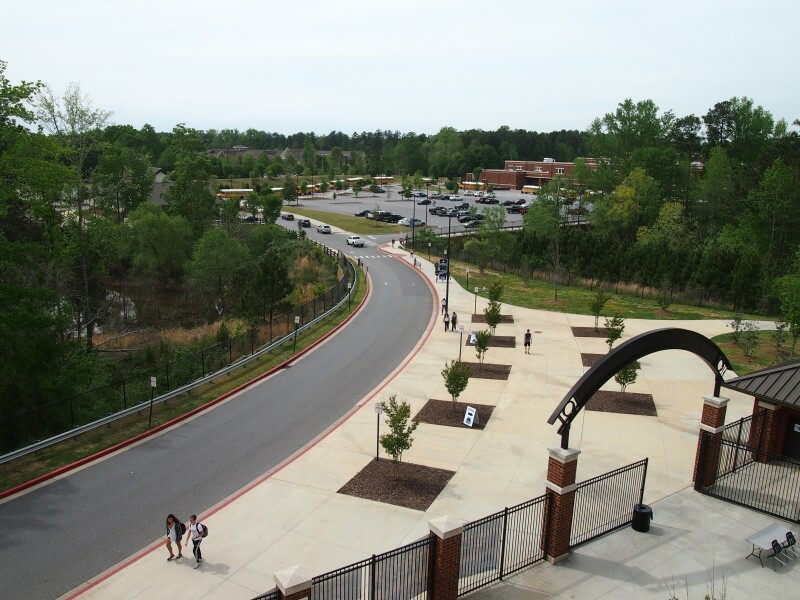 Due to the rapid growth of the school, a Master Plan was necessary to provide programming, inventory and analysis that would help guide the impending growth of the campus. 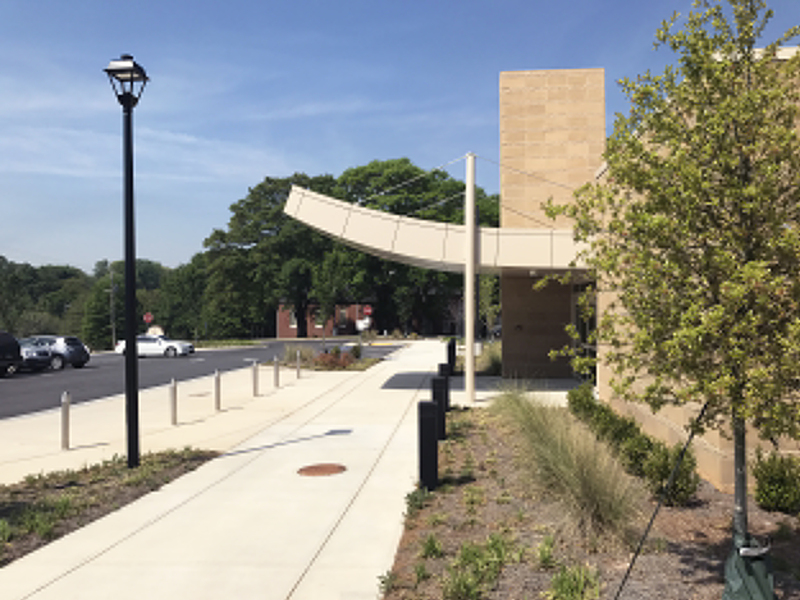 Base data was collected, including tax parcels, storm infrastructure, traffic studies and previously performed architectural studies, and was combined with onsite observations and ecological analysis to create the foundation for the master plan. 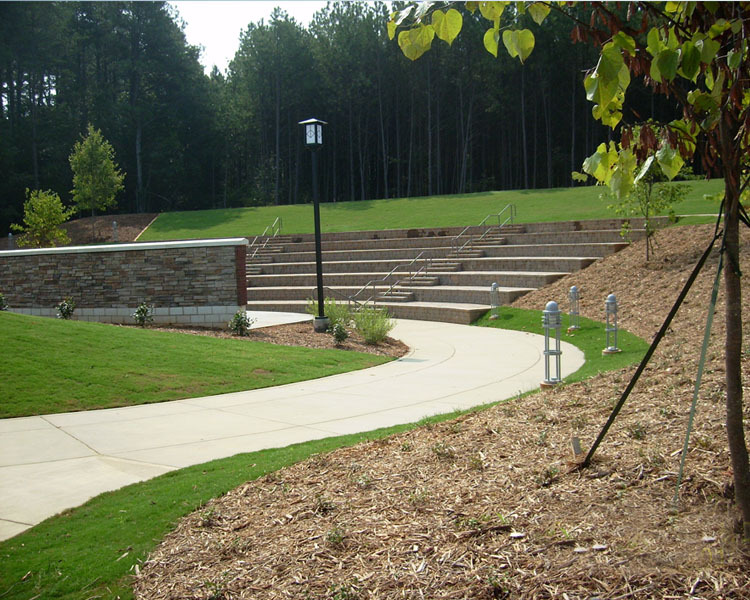 Working in concert with an architectural consultant, the building program results were synthesized into both floor plans and outdoor areas. 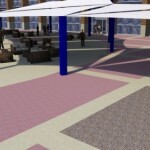 Vehicular, service and pedestrian connections were observed and refined. 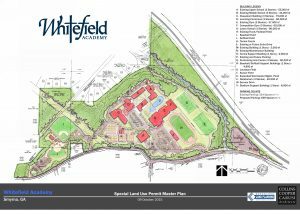 Once the preliminary site layout was determined, a preliminary site utility and stormwater management system was designed to ensure complete constructability of this vision for the campus’ future. The Master Plan was unanimously approved and adopted by the City of Smyrna City Council. 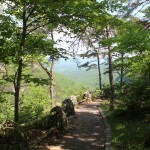 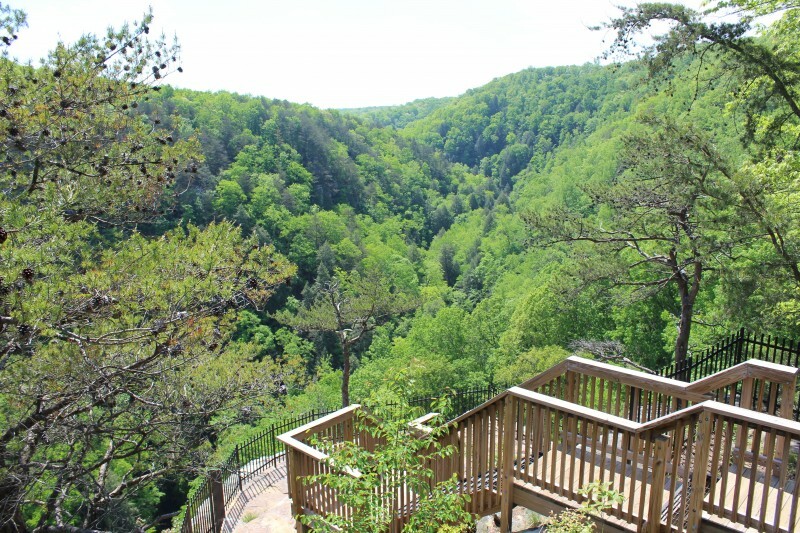 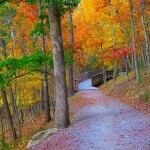 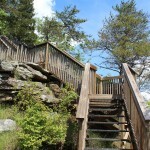 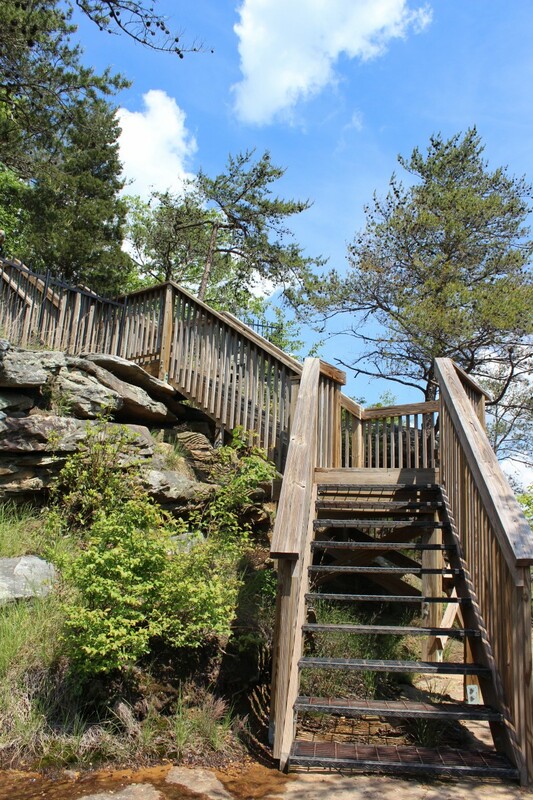 Cloudland Canyon: Improved trails, new campground, four overlooks and a yurt village. 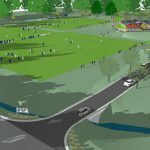 Fort Yargo: New park entrance, master plan for new yurt campsite, walk-in campground and parking lot, master plan for Camp Willaway, Camp Willaway athletics field, parking lots, dining hall improvements, utility improvements, amphitheater and new campus open space. 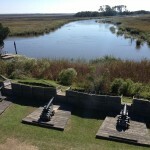 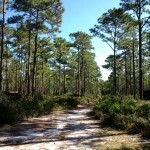 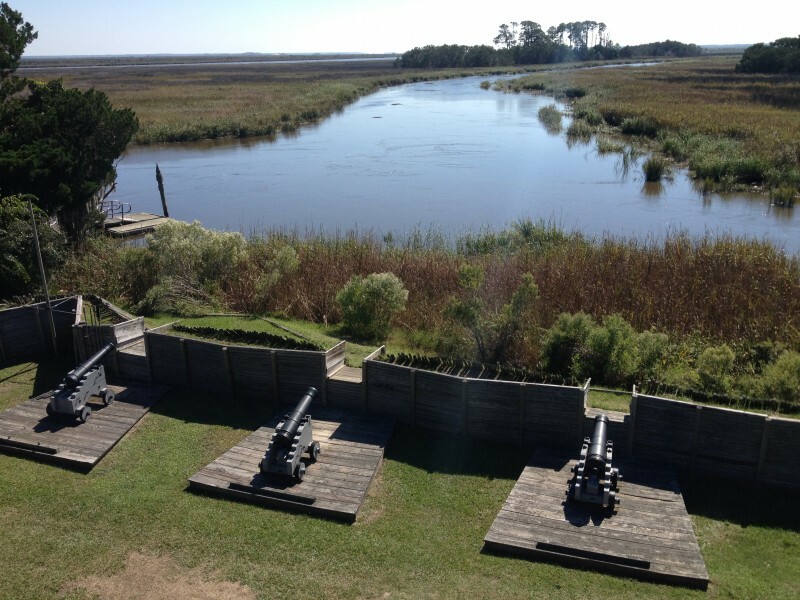 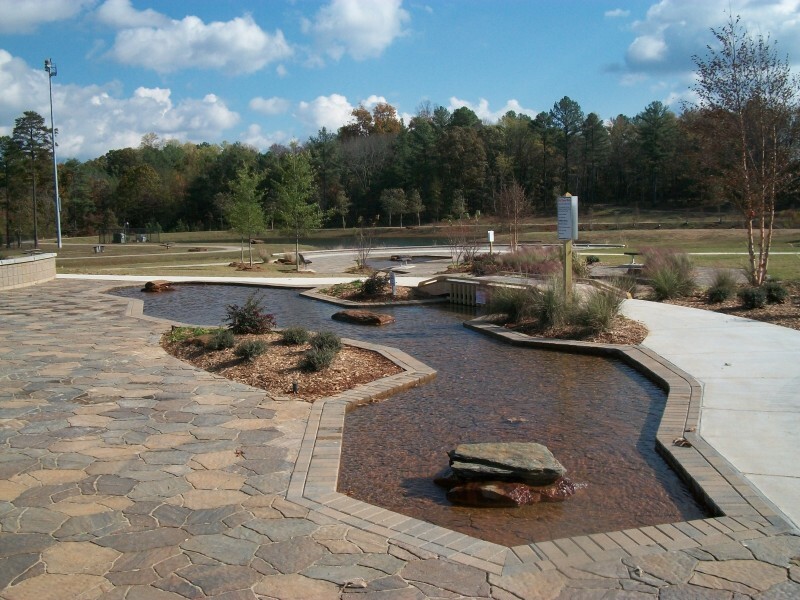 Hard Labor Creek: Golf cart barn, comfort stations and a miniature golf course. 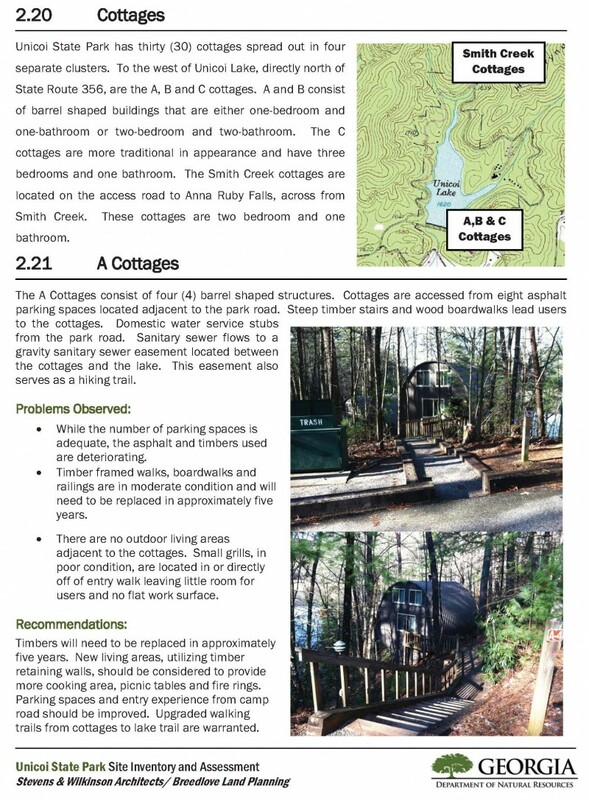 High Falls: Yurt campsite and design guidelines for new docks, piers and boathouses. 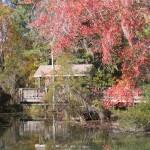 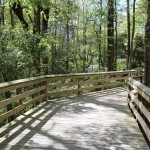 Magnolia Springs: Extensive boardwalk system. 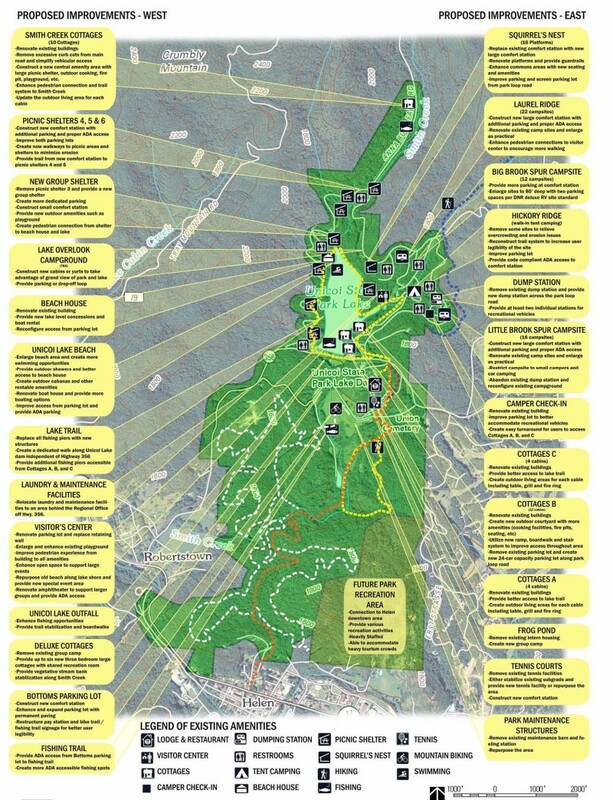 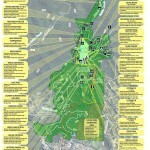 Red Top Mountain: Iron Hill trail improvements, comfort stations and master plan for the park. 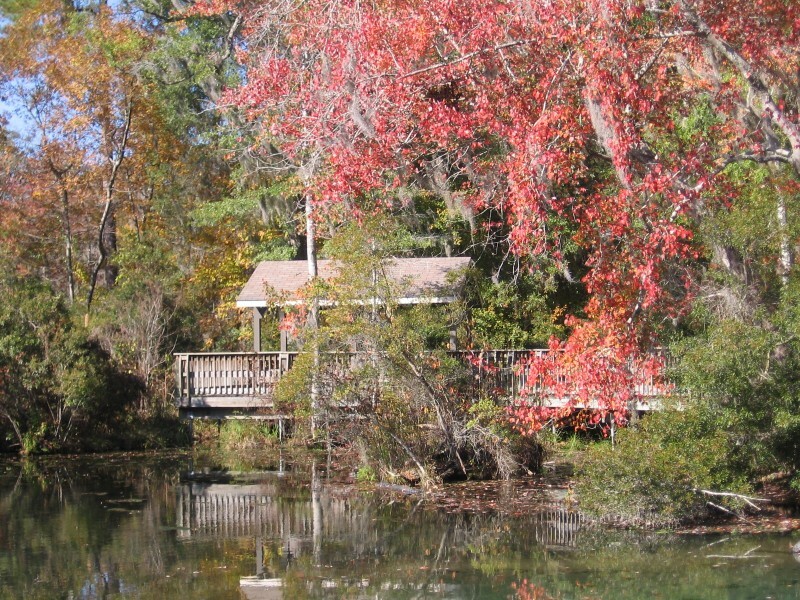 Richard B. Russel: Erosion control plans for Go Fish project and a $2-Million-dollar campground project. 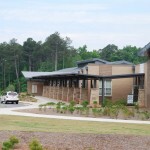 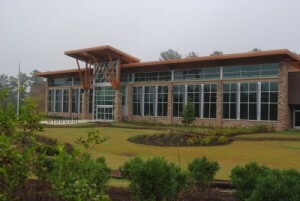 The Clarence Brown Conference Center in Bartow County, Georgia presented numerous design challenges. 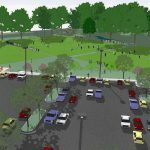 Protection of the existing creek, floodplain and state water buffers was essential while strategically positioning the program elements of the civic center within the limits of the property. 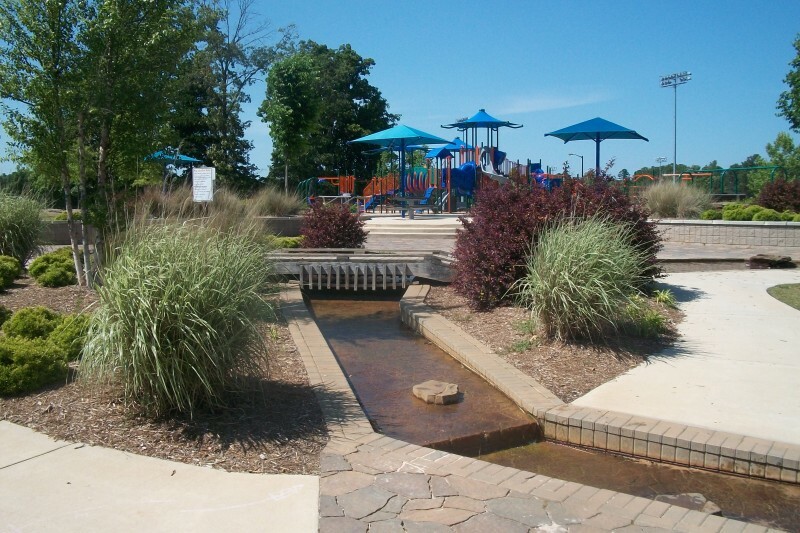 In addition to an extensive site program including 400+ parking spaces and a 300 person capacity outdoor amphitheater, a series of new wet ponds were created to treat water quality and quantity while enhancing the aesthetics of the site. 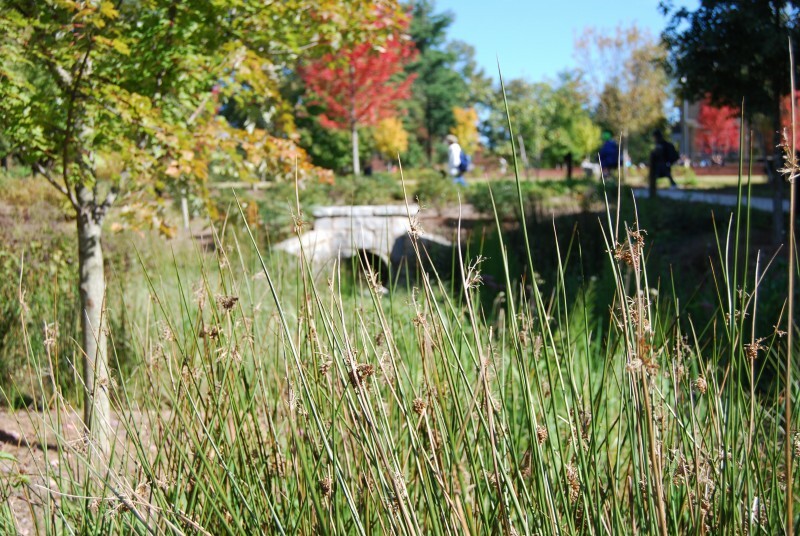 These ponds were planted with native and adapted plant species to remediate runoff pollutants while providing habitat for a variety of aquatic and amphibian life. 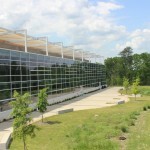 The result is a striking aquatic centerpiece to this regional facility that is LEED Gold pending. 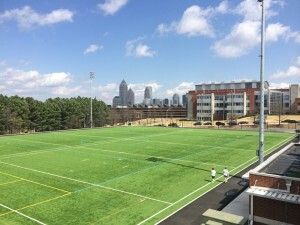 This addition to the 34-acre private school campus includes an 8-lane track and field/football complex with parking, plazas, bleachers, concessions and other amenities. 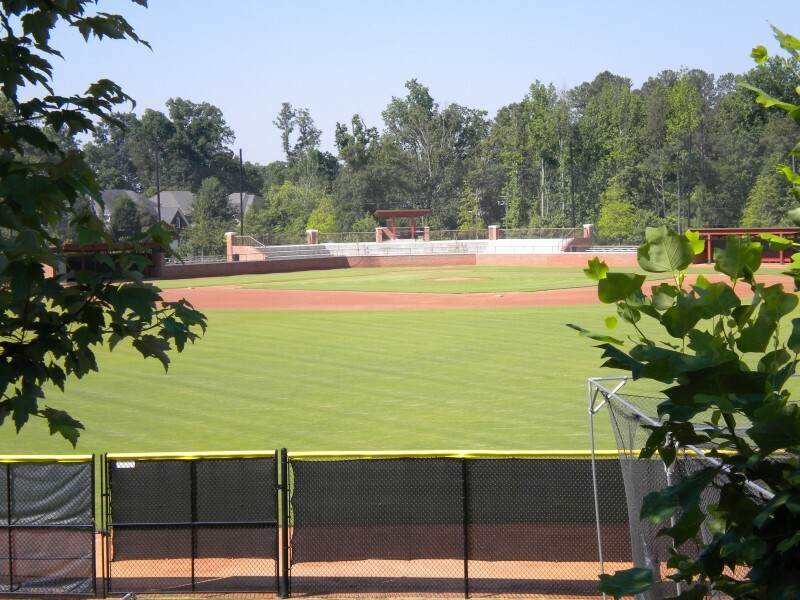 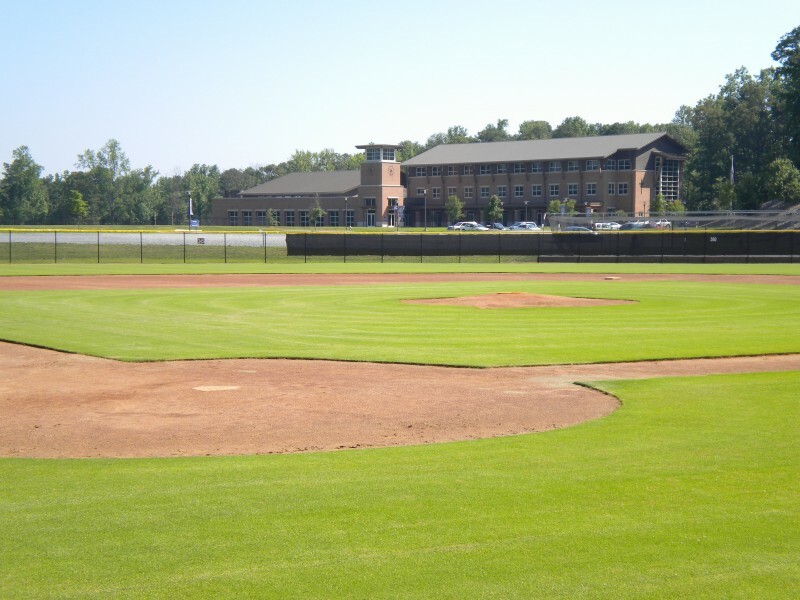 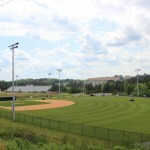 Competition softball and baseball fields are located in the complex as well, allowing the school the ability to train their student athletes and host competitions at home in one facility. 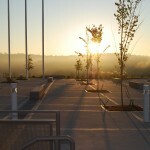 Perhaps the most remarkable feature is that the site is a former landfill. 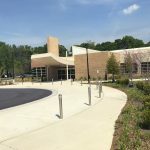 We worked closely with the school, GeoSyntec Consultants and New South Construction to mitigate the site in an effort to reclaim the land and further the mission of the school. 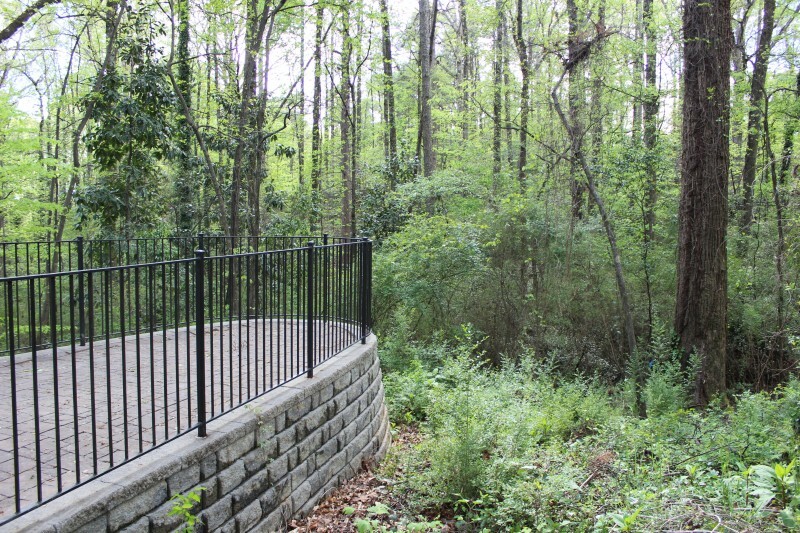 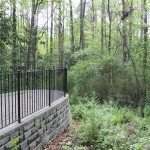 A trail system is utilized to connect the active areas of the campus with the natural areas, allowing students and visitors to navigate the entire property. 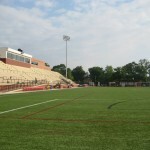 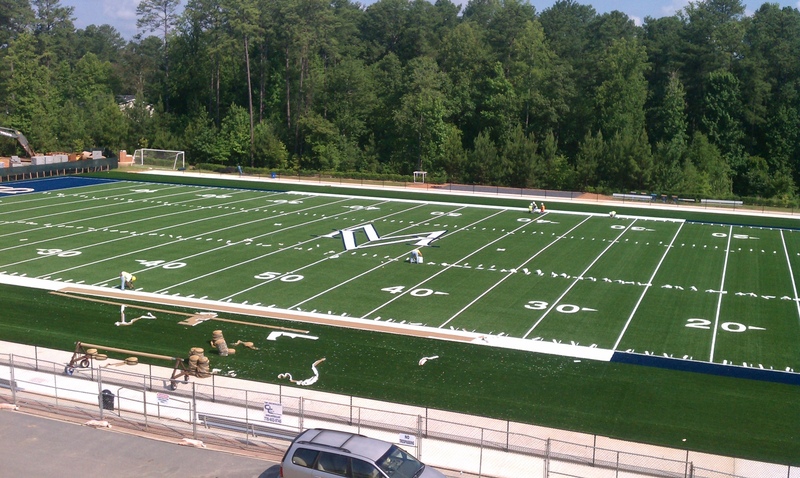 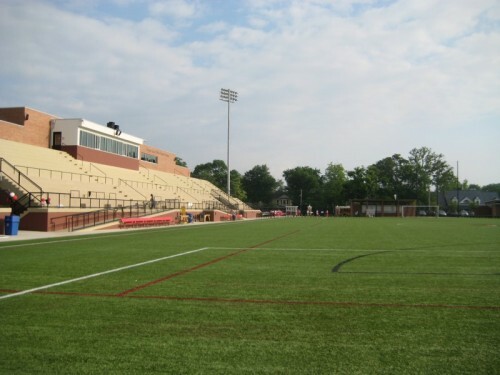 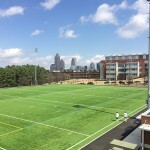 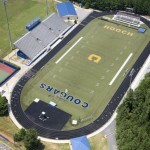 In the heart of the Georgia Tech Campus lies one of the most utilized athletic fields in the Southeastern United States- Roe Stamps Field. 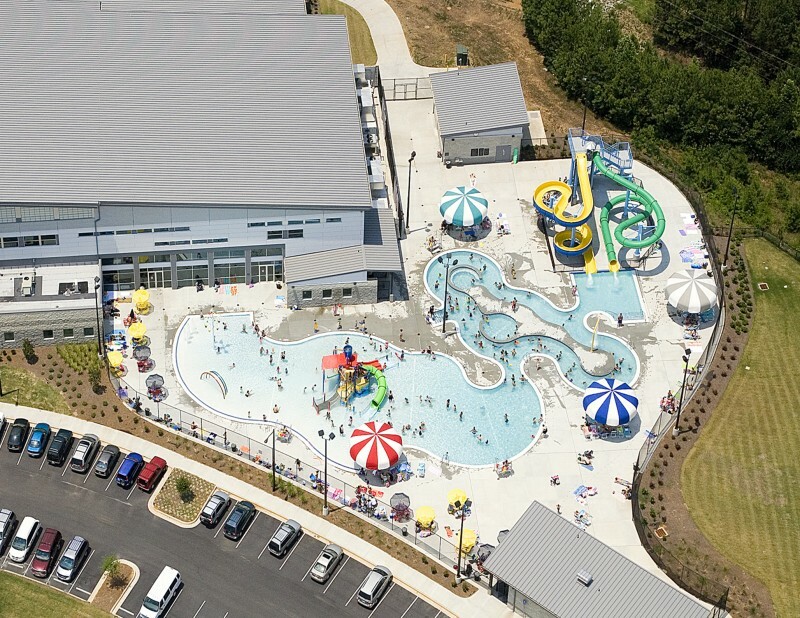 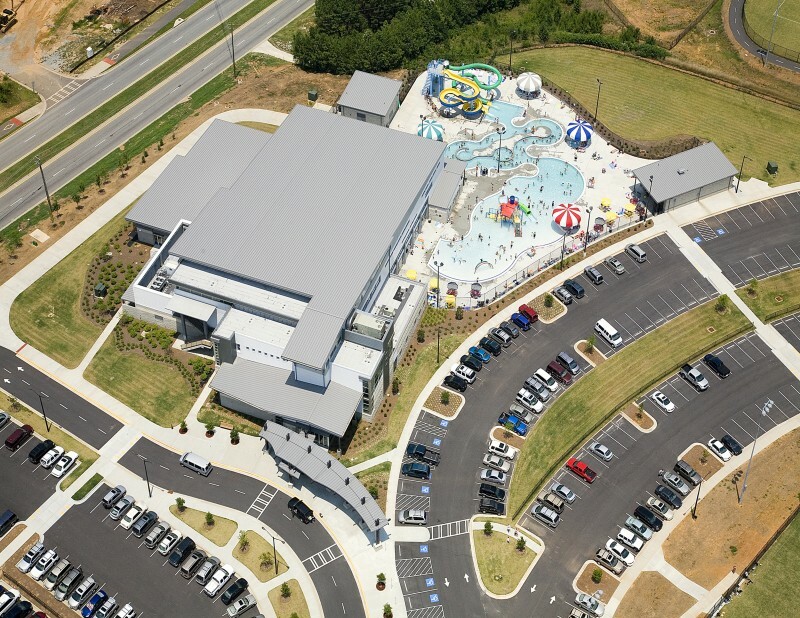 Breedlove Land Planning provided master planning, landscape architecture and civil engineering for this brand new facility. 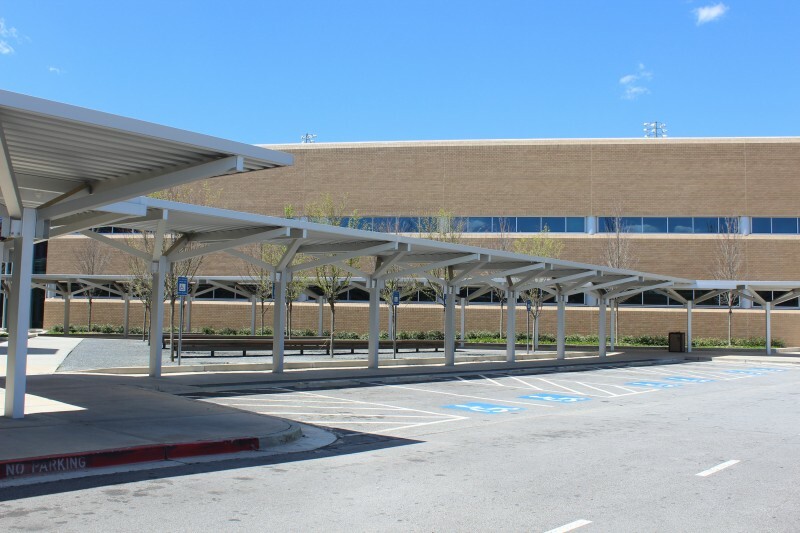 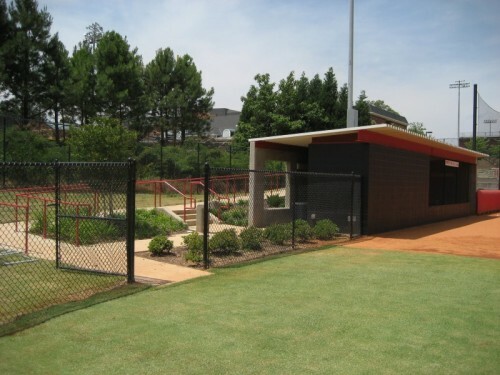 The project consisted of renovating a tired existing facility and the program included replacement of the synthetic turf surface, the addition of a running track, realignment of pedestrian circulation routes, a new storage facility, field lighting, hydration stations and fencing. 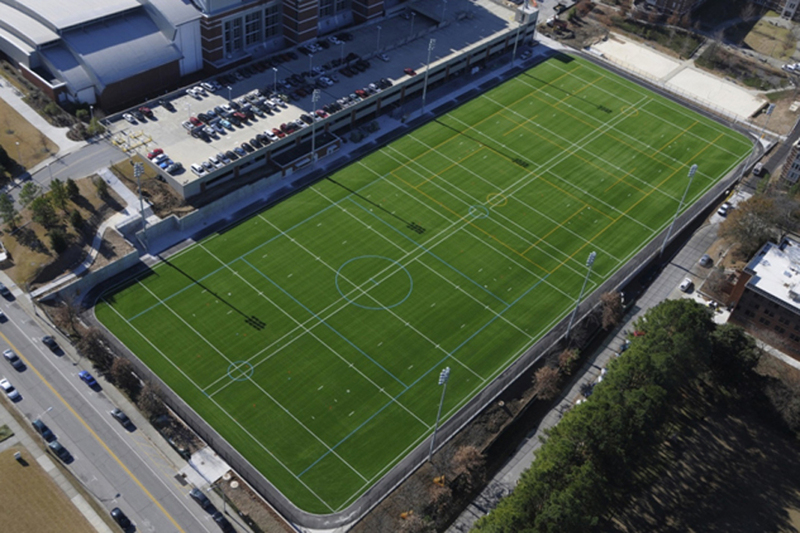 While the field itself is impressive, beneath it lies the largest stormwater management facility on campus. 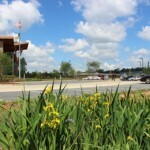 The system is infiltration-based and designed to percolate forty-four acres of upstream urban area to help the campus meet its ecological performance targets. 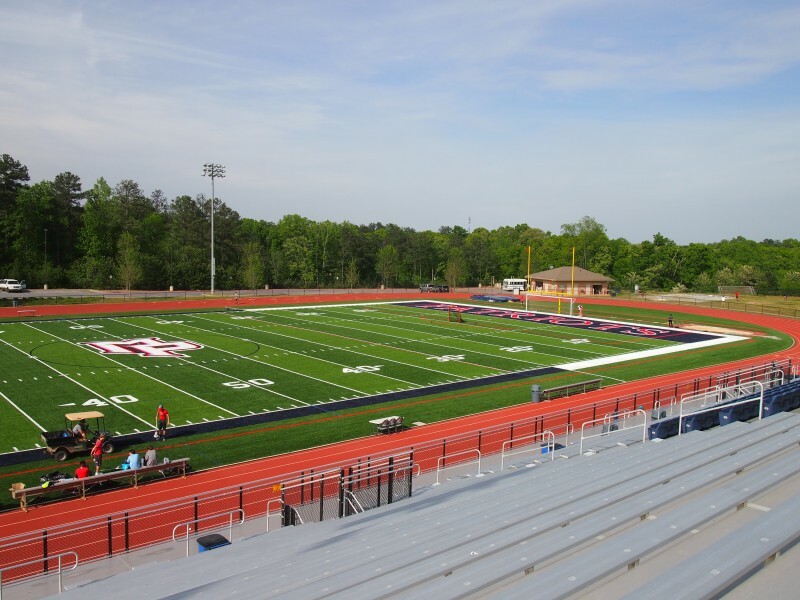 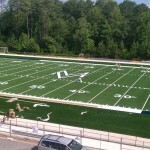 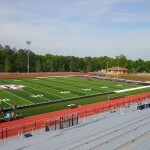 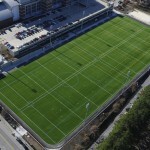 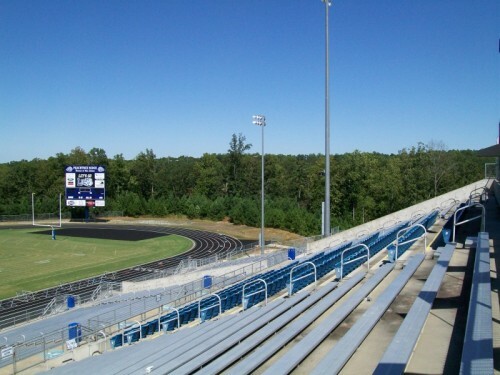 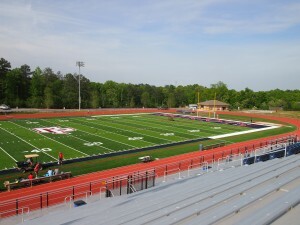 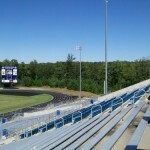 Roe Stamps Field is a true example of a performance based design- above and below field level, and was awarded ‘Small Project of the Year’ by the Georgia Chapter of the American Society of Civil Engineers. 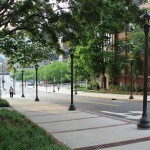 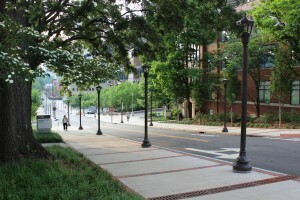 Bobby Dodd Way stands as one of Georgia Tech’s most prominent corridors. 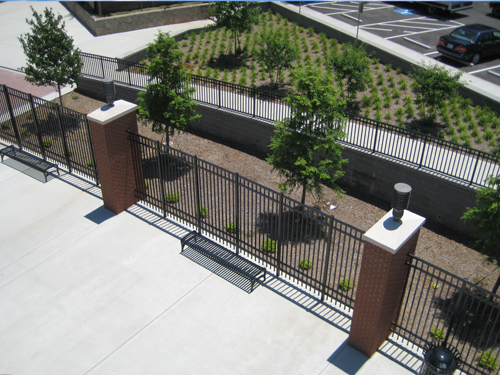 Located along the north facade of Bobby Dodd Stadium, this thoroughfare connects the main campus to eastern student housing and provides a major gathering space for concerts, football games and other stadium events. 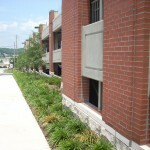 Breedlove Land Planning was the lead designer for a multi-phased streetscape design for four of these street blocks in the heart of campus. 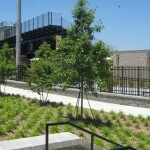 The program included streetscape design, pedestrian walks integral with emergency vehicle access, extensive hardscape detailing, tree protection and replacement, stormwater management, significant utility relocation and drought tolerant planting design. 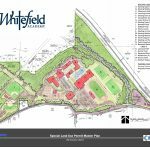 Founded in 1996, Whitefield Academy is a preparatory school in the Mableton area of northwest Atlanta. 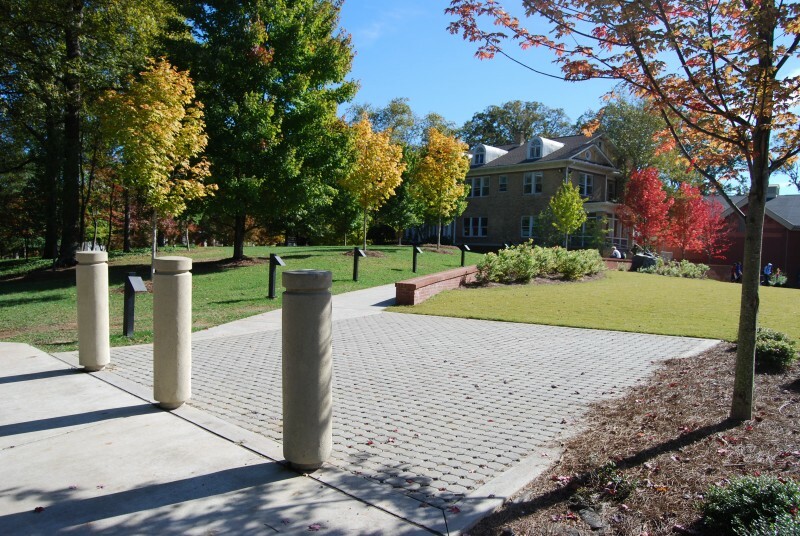 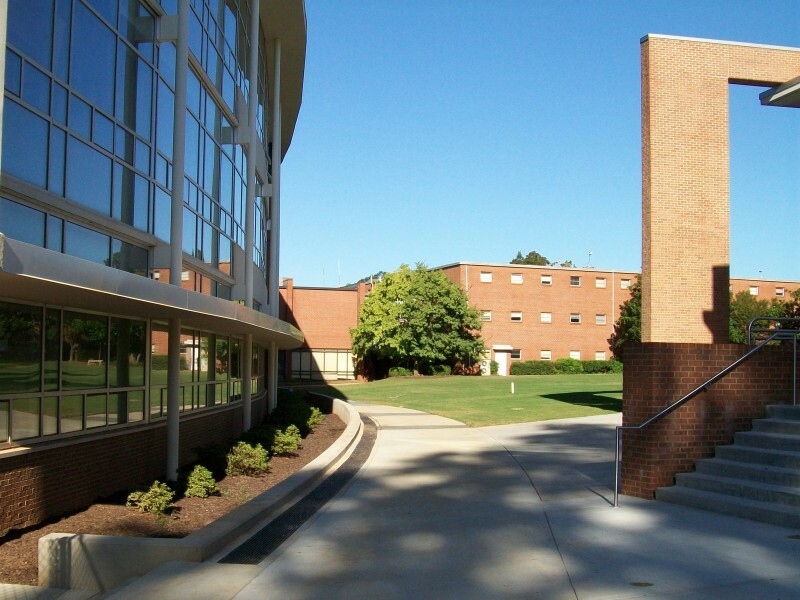 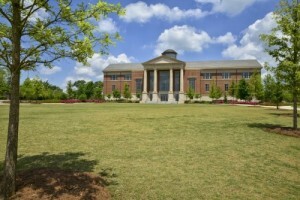 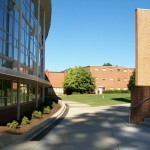 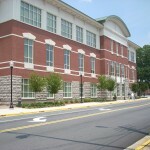 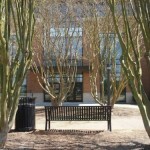 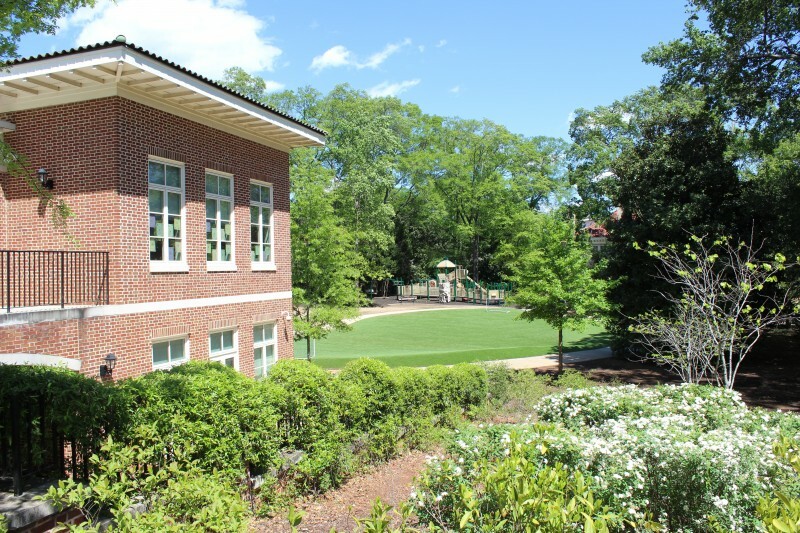 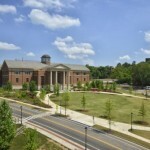 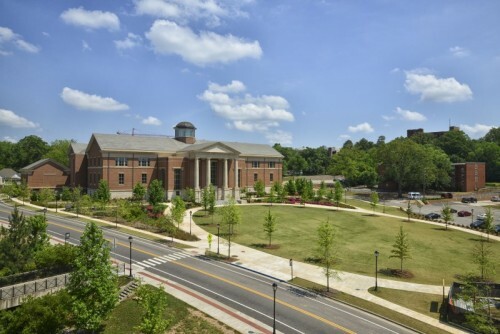 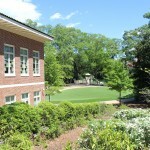 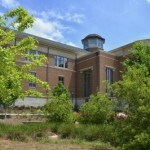 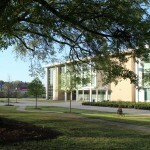 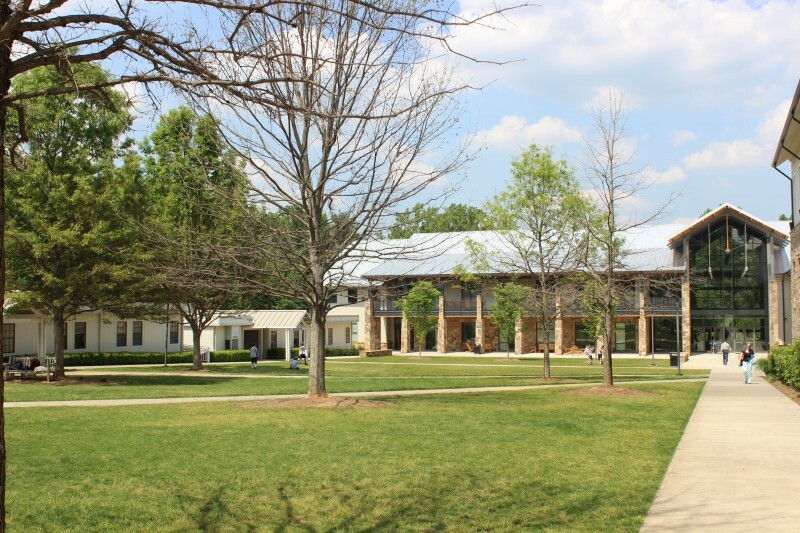 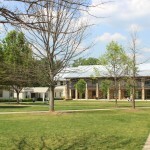 Breedlove Land Planning has assisted the campus on numerous projects over the years, including the development of their Upper School, which anchors the main academic quad on campus. The new building was integrated within the existing grades of the quadrangle to maintain a seamless addition to the campus. 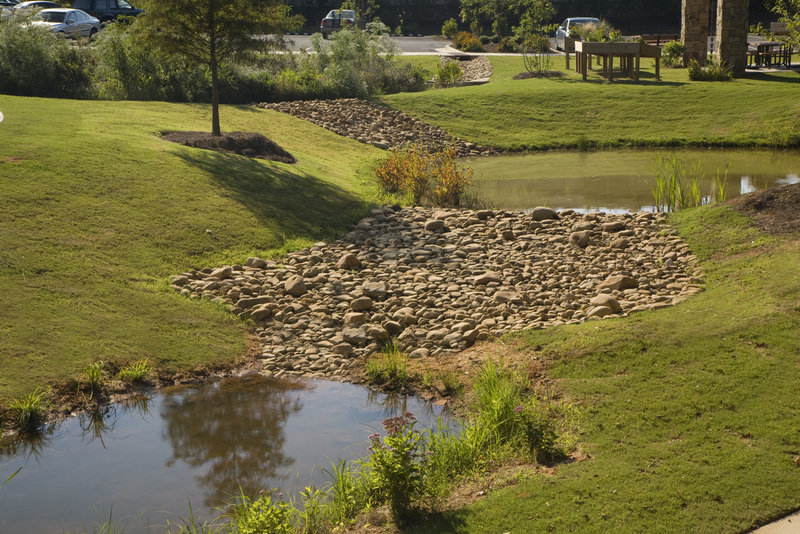 An adjacent pond was modified to create stunning views across the campus to meet stormwater management requirements. 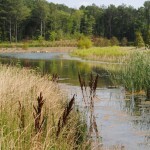 Additional aquatic vegetation was introduced to assist in improving water quality and aquatic habitat. Breedlove Land Planning assisted the Department of Natural Resources with producing the Unicoi State Park General Development Plan. 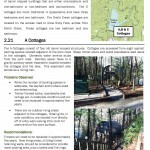 This 50+ page document provides the State with a comprehensive look at the existing conditions of the park and a complete analysis of opportunities and constraints for future development and program enhancement. 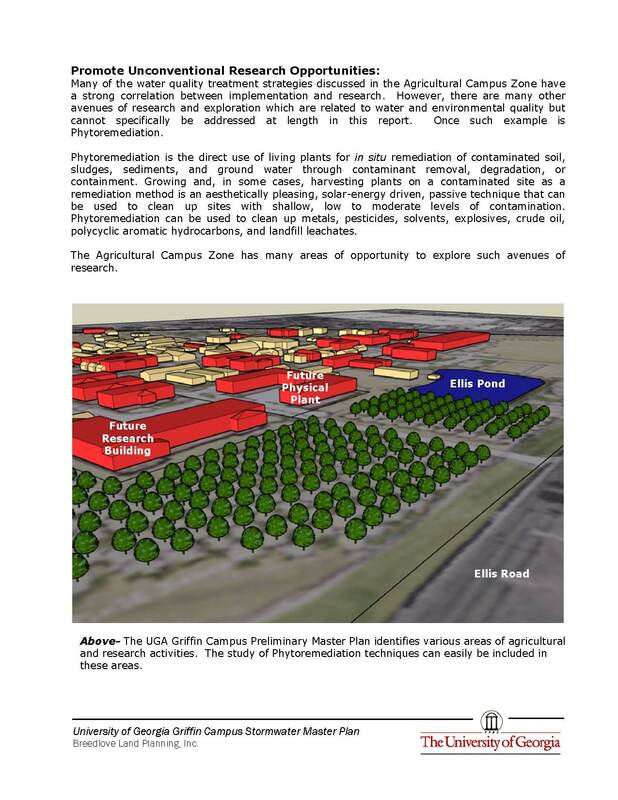 A variety of market and business plans prepared by outside consultants were studied and the information was combined with days of on-site investigation to create a complete analysis of the 1050 acre site. 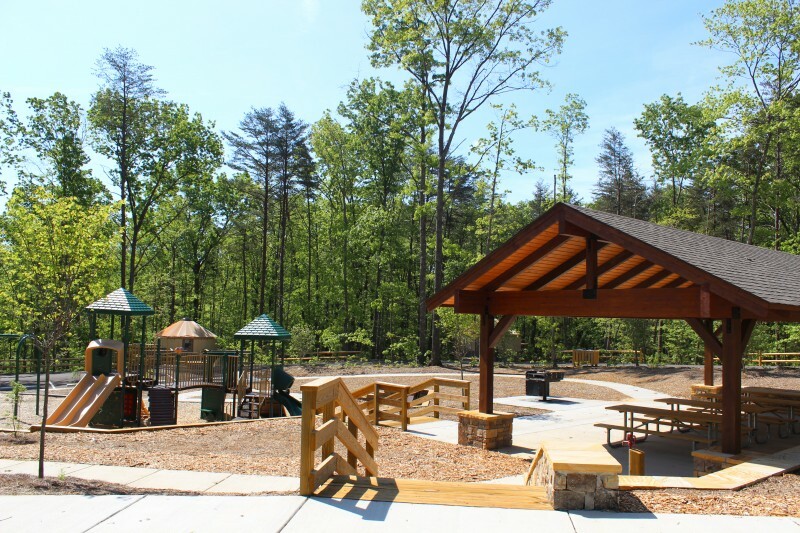 Campgrounds, cottages, picnic areas, trails, playgrounds, lake amenities, roadways and various other park elements were documented and assessed. 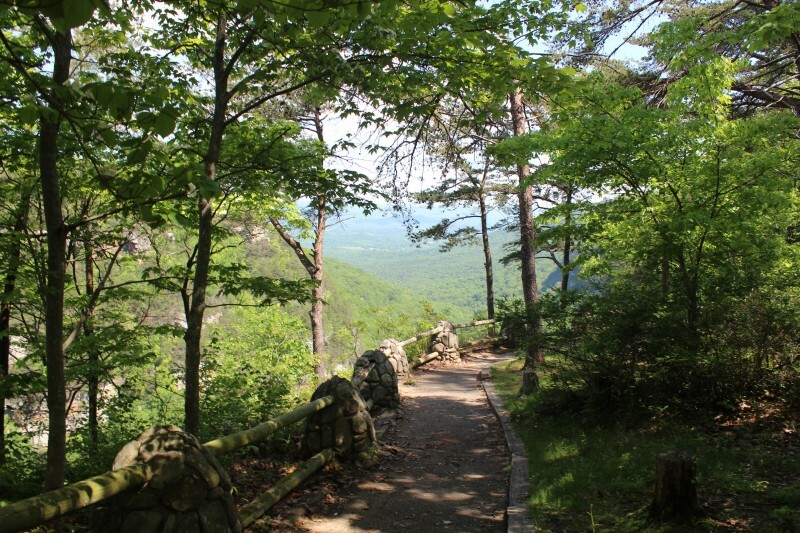 This preliminary assessment was cross-referenced with previous studies and staff feedback to prepare a master plan of the current state of the park. 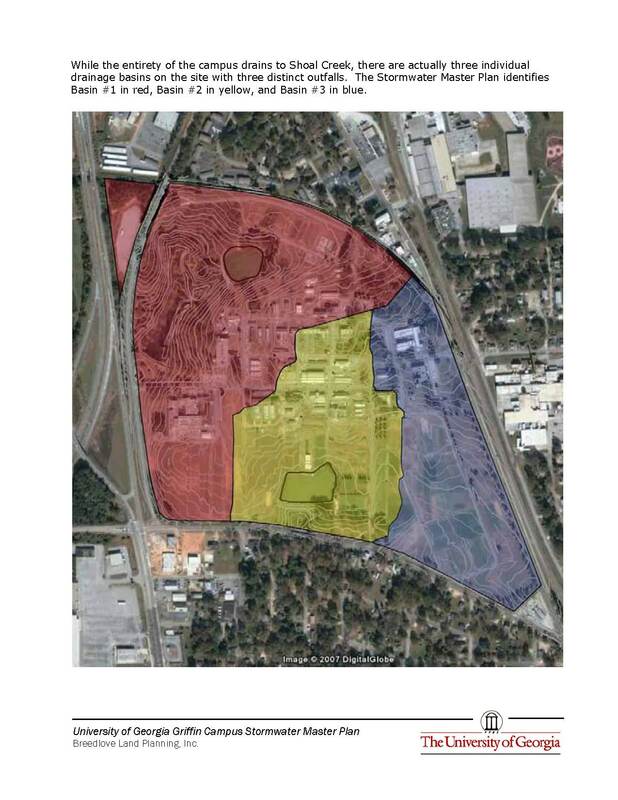 This plan was then enhanced to illustrate where areas of improvement are necessary and where opportunities for program and revenue enhancement were possible. 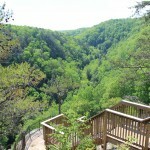 The result was a thorough guide for the future of Unicoi State Park. 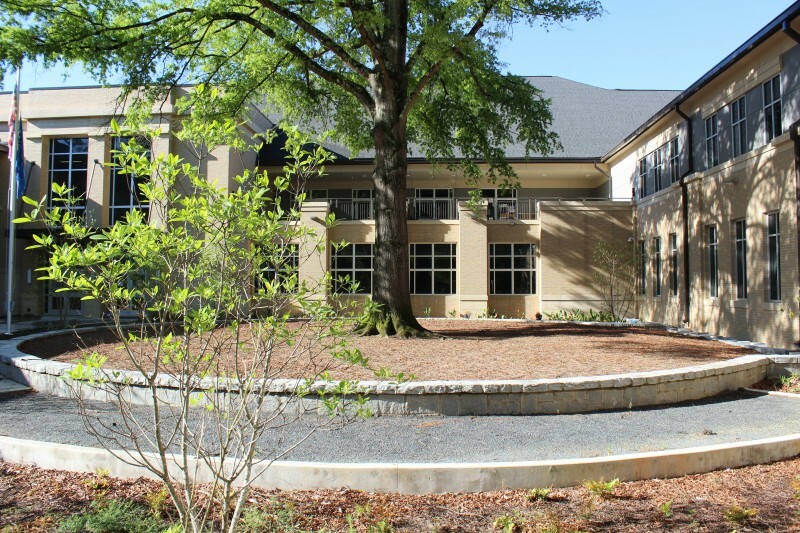 Marcus Autism Center is a not-for-profit organization that treats more than 5,500 children with autism and related disorders each year. 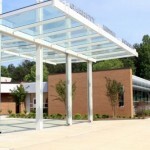 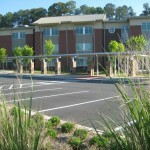 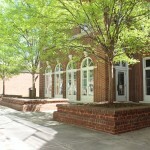 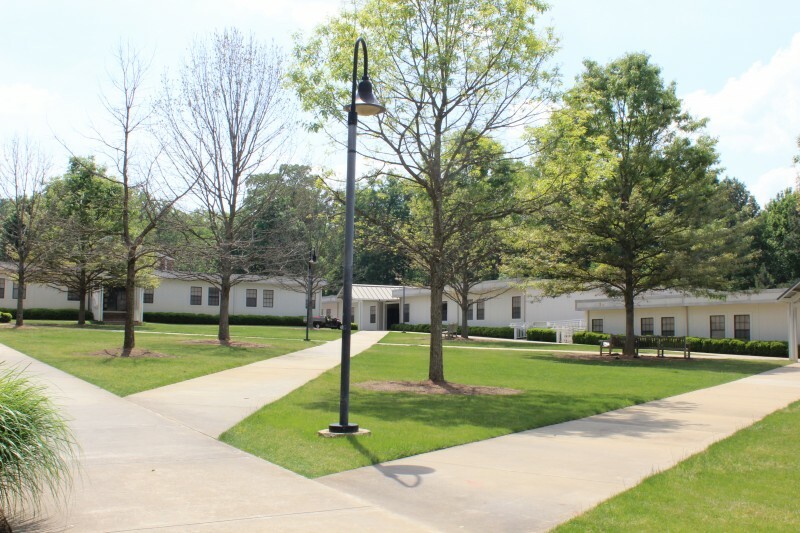 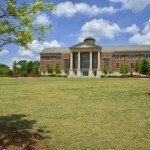 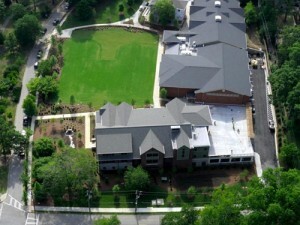 Their main campus facility is sited on a beautiful tract of mature woods located in the center of Metropolitan Atlanta. 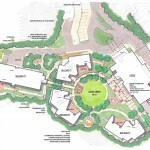 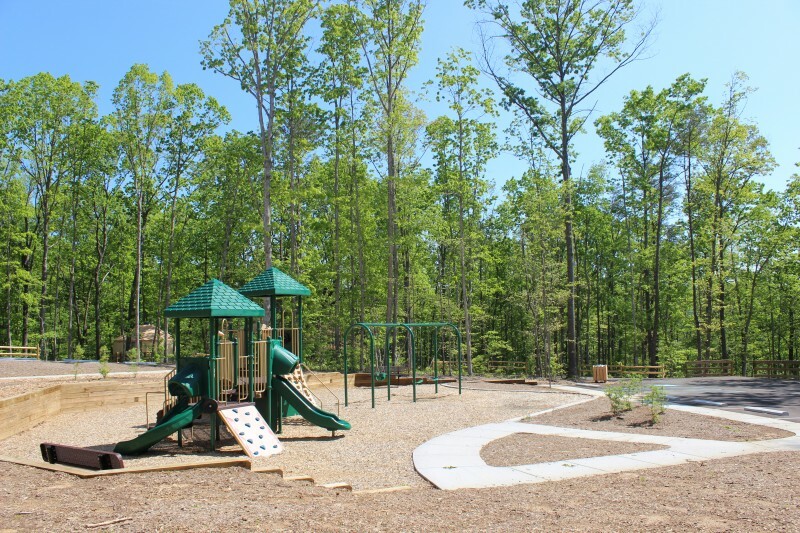 Breedlove Land Planning donated site design, permitting and construction administration services to help the campus build a fully accessible outdoor trail and learning center for children. 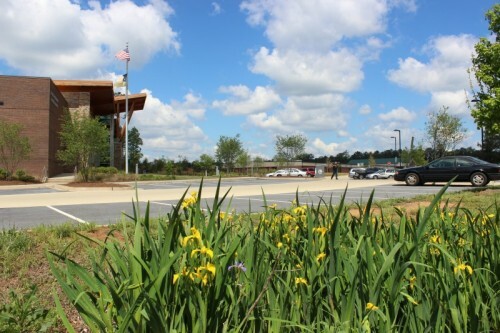 The program included protection of existing habitat, design of outdoor classroom areas, wayfinding signage, pervious and impervious hardscape plazas, a granite fines trail network, modular block retaining walls, a pollinator garden and entry kiosk. We are extremely proud of our involvement with the Marcus Autism Center and chance to help children experience and explore their natural environment. 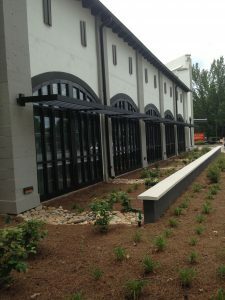 Savannah Exhibit Expansion: Currently in design, the new savannah exhibit includes a ‘best in class’ elephant barn, elephant, giraffe, rhino and hoofstock habitats, an impressive water feature, pavilions, boardwalks and interpretive signage to provide a visitor experience unlike any in the Southeast. 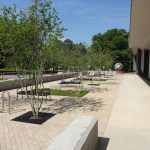 Cyclorama Renovation and Entrance Plaza: The former Cyclorama building is currently expanding into a new administration and event venue which, in combination with a new entry plaza, will usher in a new era for Zoo Atlanta. 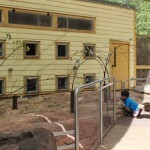 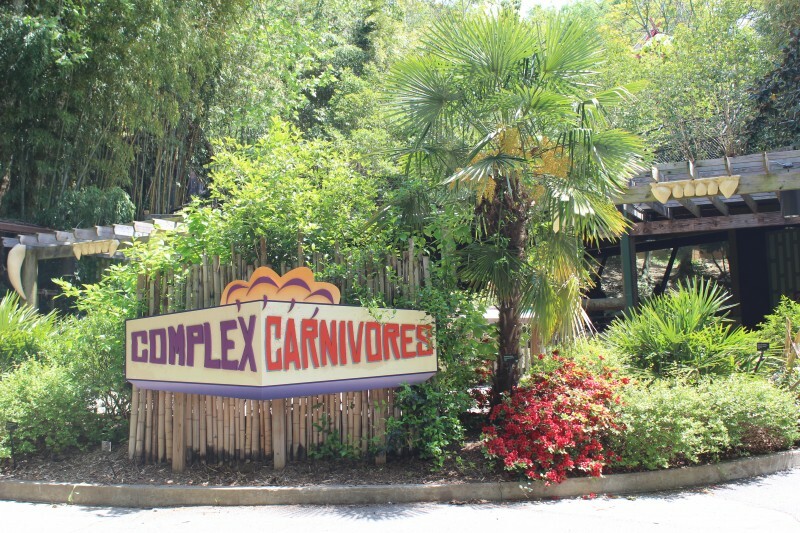 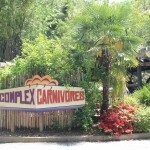 Carnivore Complex: This renovation of the tiger habitat and creation of the sun bear exhibit provides ample viewing opportunities while highlighting the effects of poaching and illicit trade on species throughout the world. 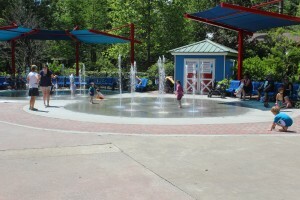 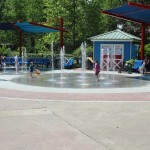 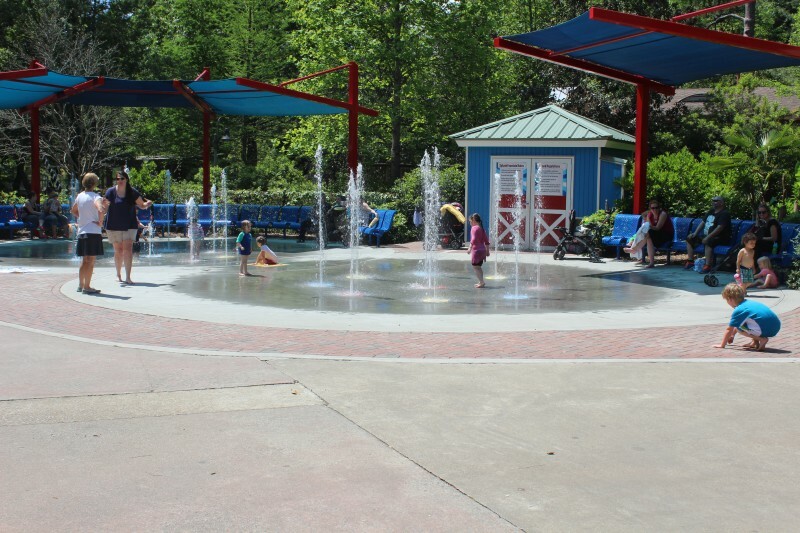 Splash Pad: This splash pad provides a watery retreat for young patrons escaping the heat of the Georgia summer. 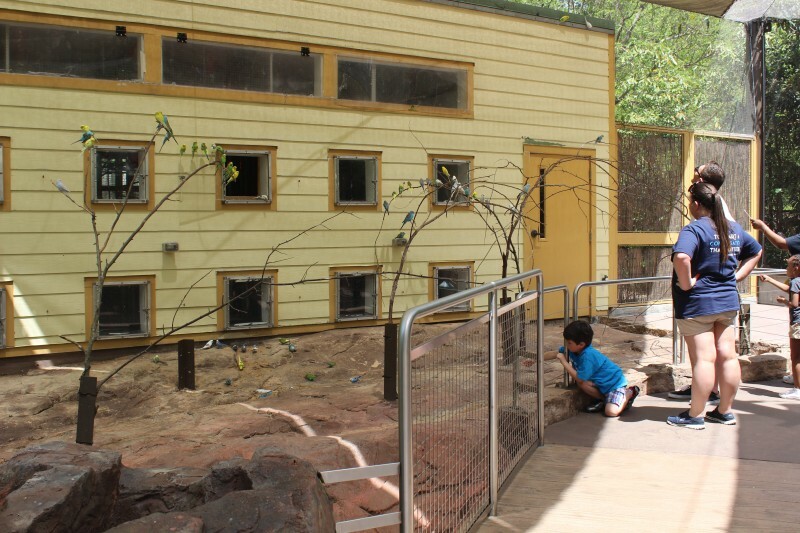 Parakeet Adventure: This outdoor aviary allows visitors to experience hundreds of parakeets up close. 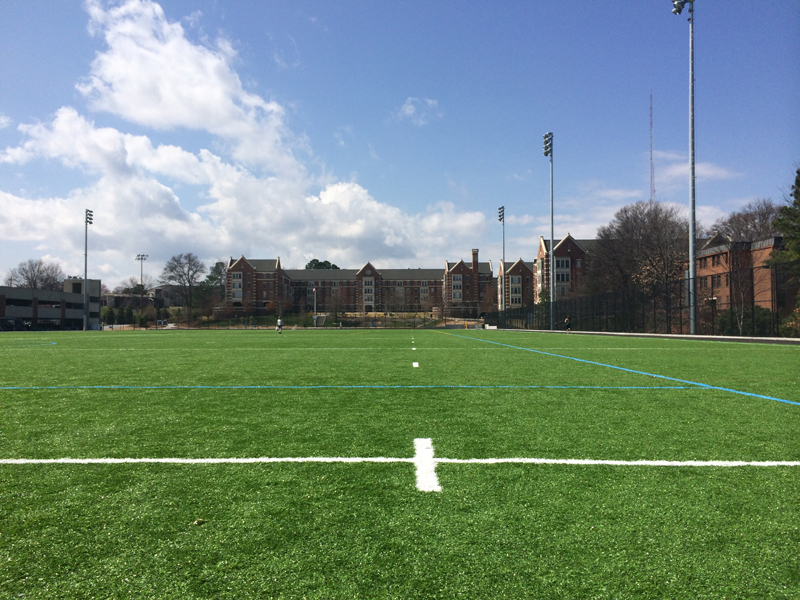 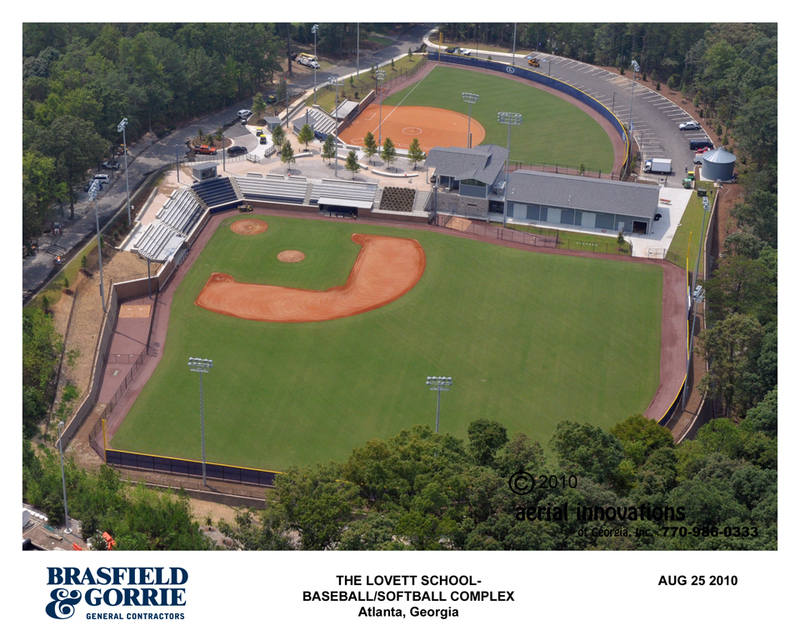 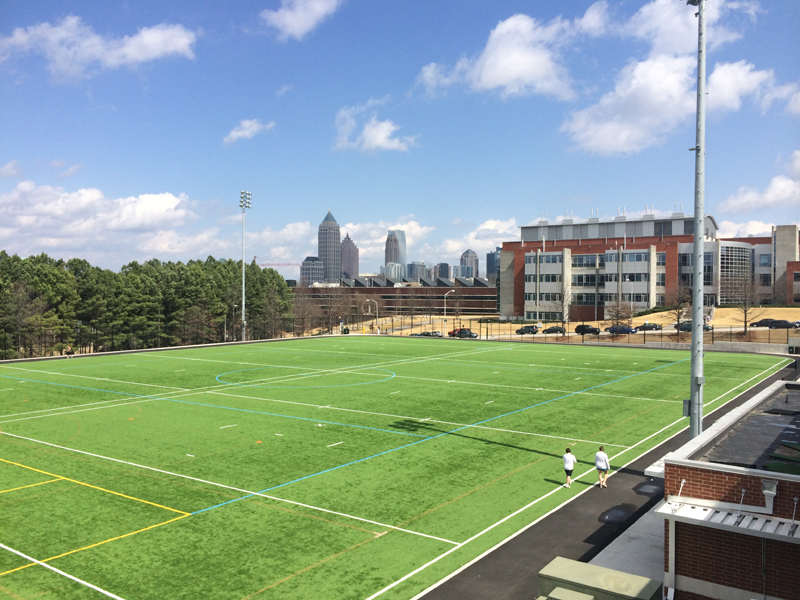 The new Charlie Brooks Field at the Lovett School is a testament to the success that thoughtful planning and seamless collaboration can bring to a project. 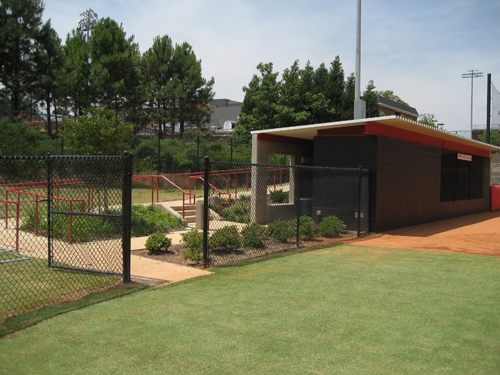 This softball and baseball facility is much more than a sportsfield. A new field house and maintenance barn was integrated into the design. 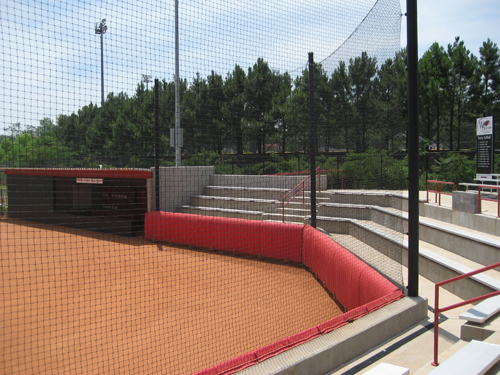 Plazas, walkways, batting cages, sportsfield lighting, bleachers and dugouts are all nestled into the slightly modified existing topography. 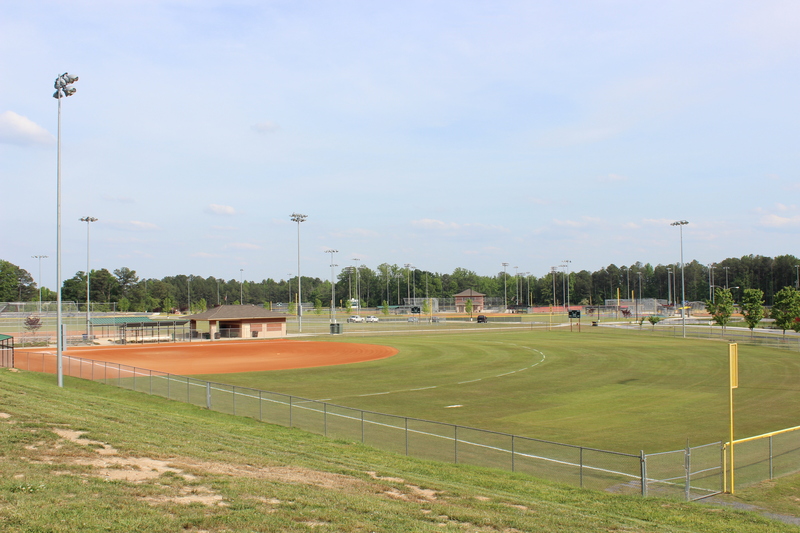 The infield mixes for the baseball and softball fields were specifically chosen to reduce long term maintenance while providing exceptional drainage to a series of perforated pipes underneath the surface. 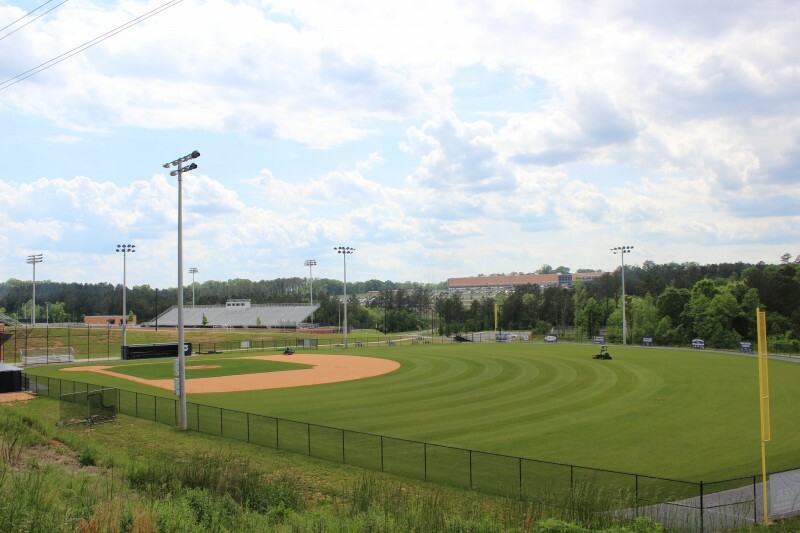 Our custom sportsfield construction specification dictated strict allowances for laser grading and installation of soil and sod. 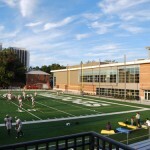 The result is a private school field complex that could compete with most Universities. 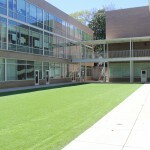 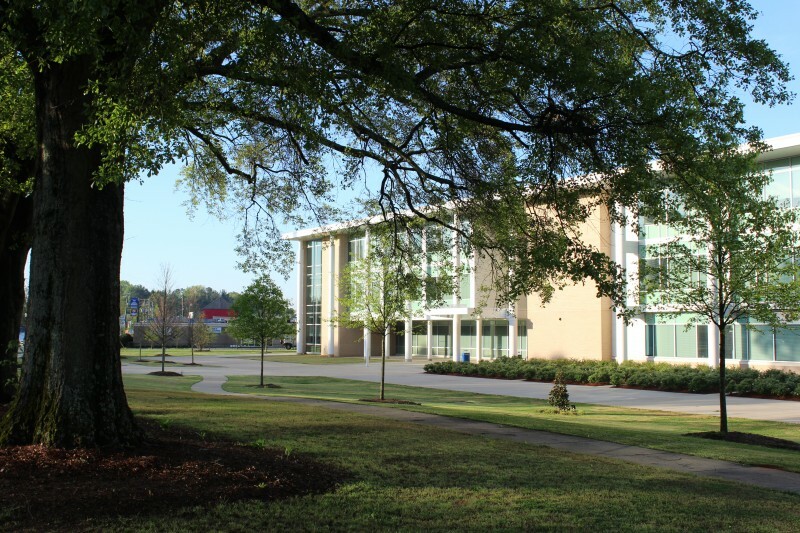 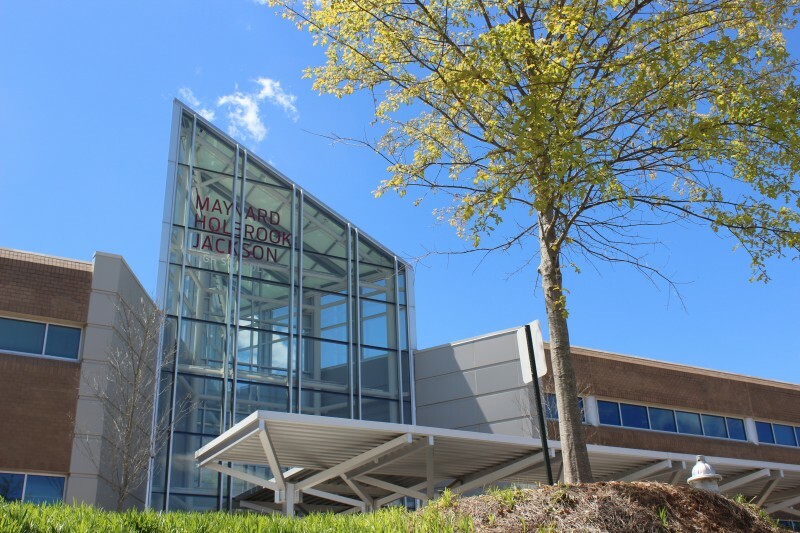 The re-creation of the Maynard Jackson High School campus for Atlanta Public Schools provides a cornerstone for a rapidly redeveloping neighborhood of the City. 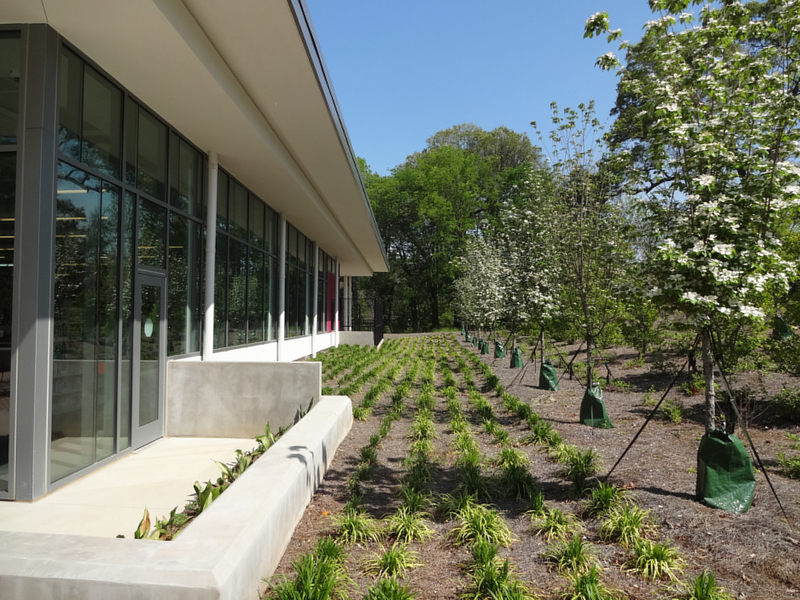 Located along the Atlanta Beltline corridor, this project included a completely new envisioning of the campus to meet 21st century high school demands. 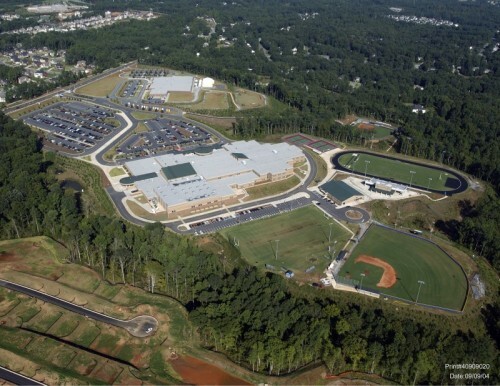 Modern stormwater management facilities, safe circulation routes and upgraded track, field, softball, baseball and multipurpose fields all work in concert to provide a contemporary high school for a swiftly urbanizing area. 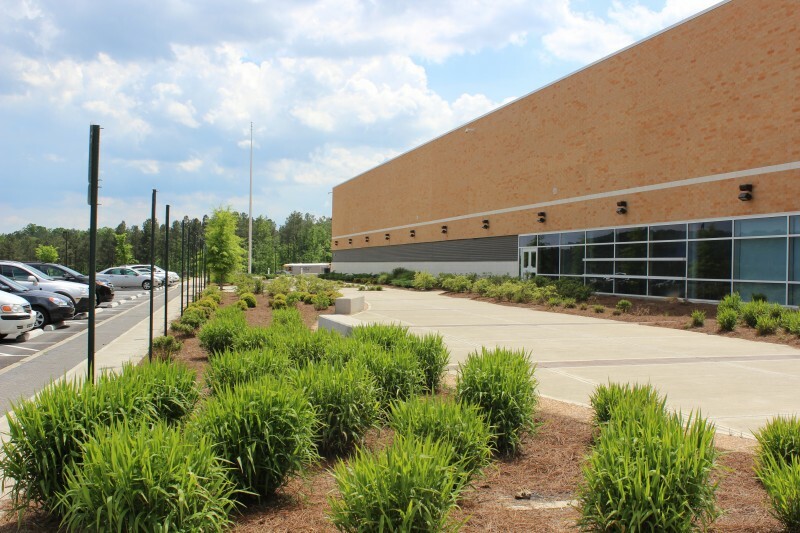 Dekalb County’s second oldest high school moved into this new state of the art 250,000 square foot facility in 2014. 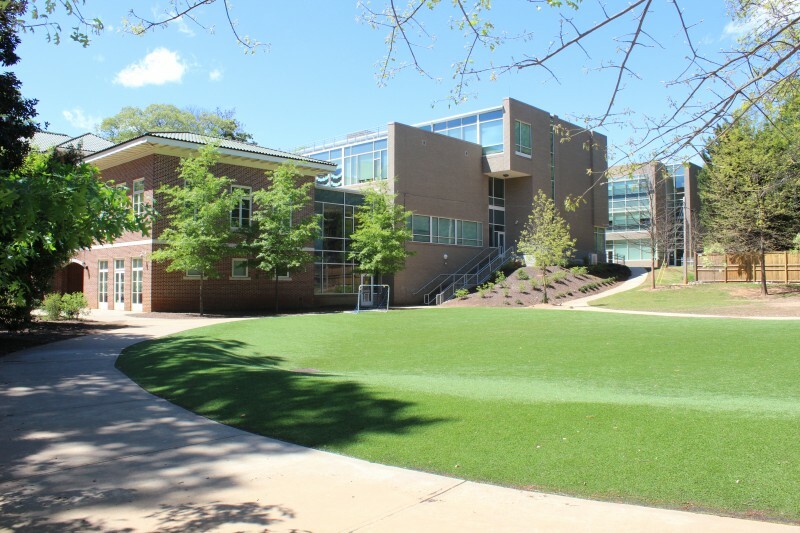 Chamblee Charter High School is a magnet school drawing talented students from throughout the county. 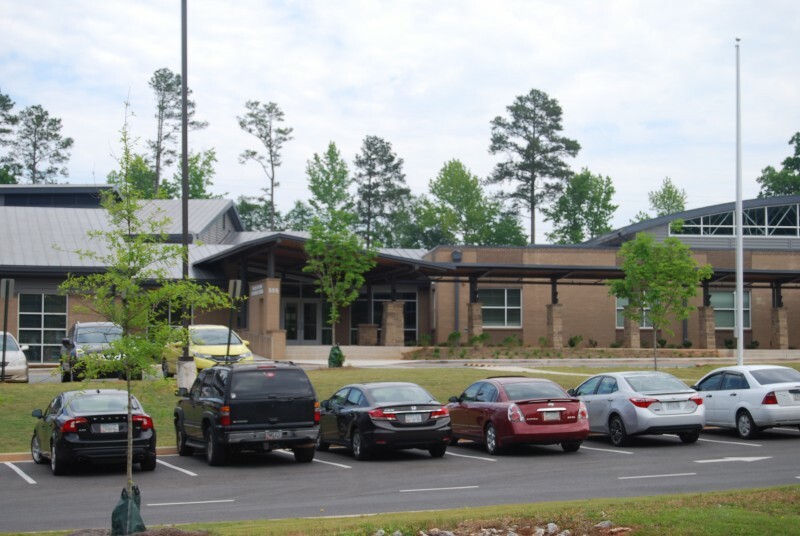 The design team accomplished the significant challenge of phasing the project in such a manner that allowed the existing school to continue operation while replacing all of the facilities. 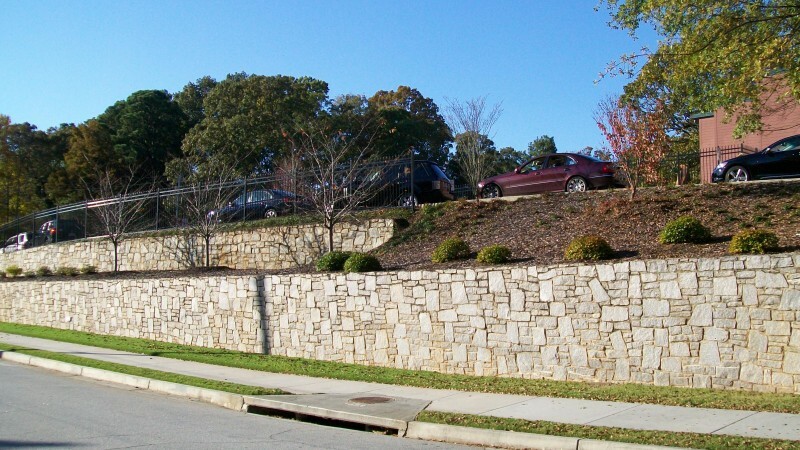 Preserving large specimen trees along the frontage of Chamblee-Dunwoody Road was a crucial goal for this project. 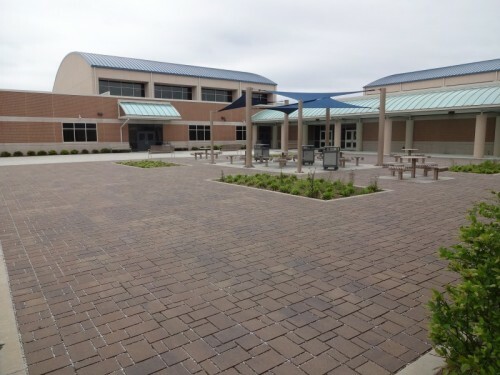 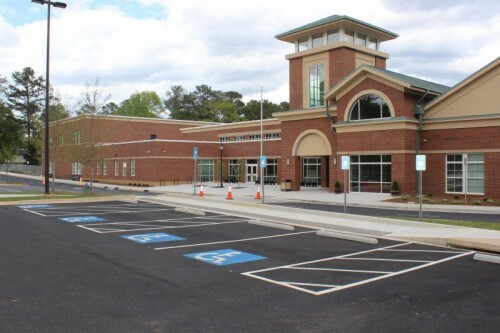 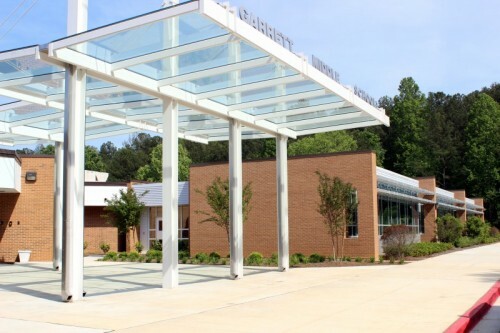 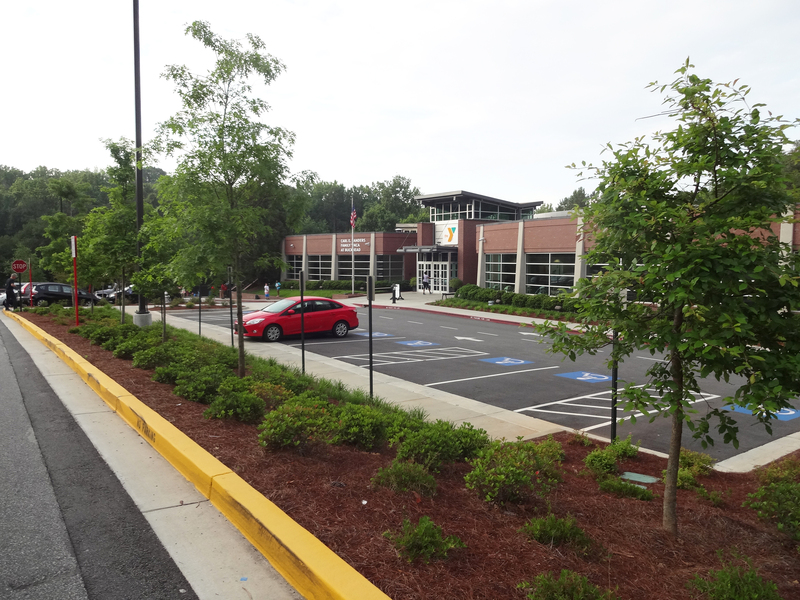 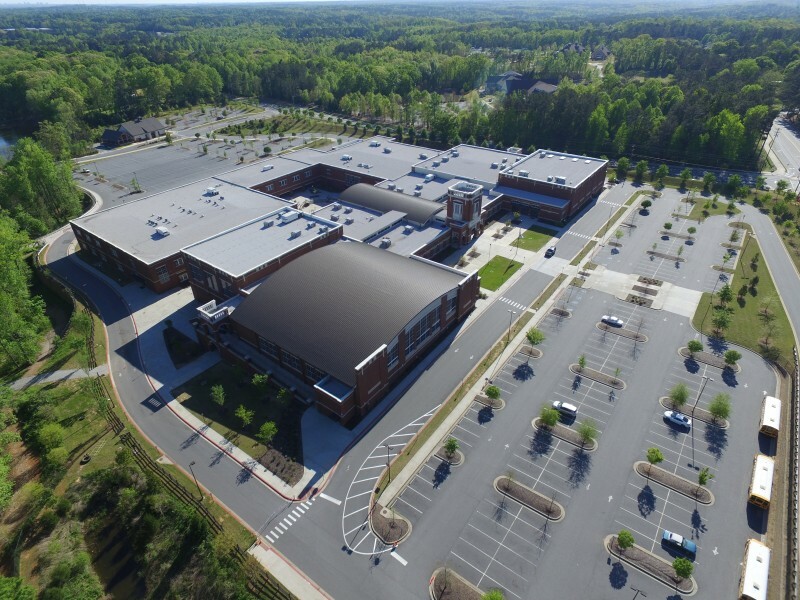 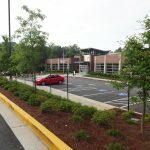 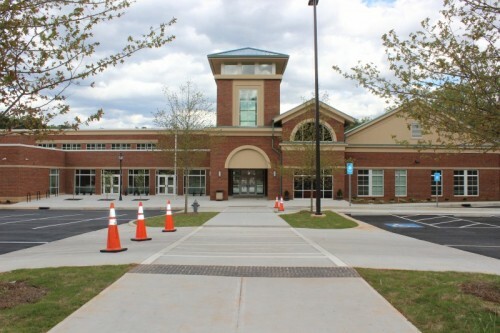 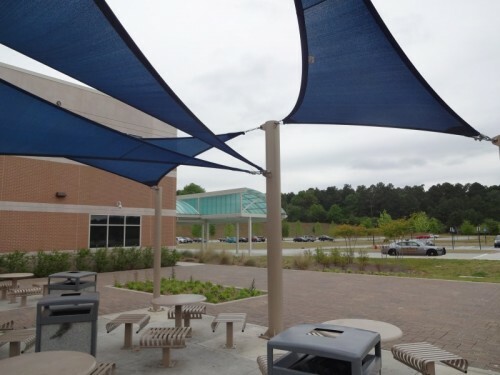 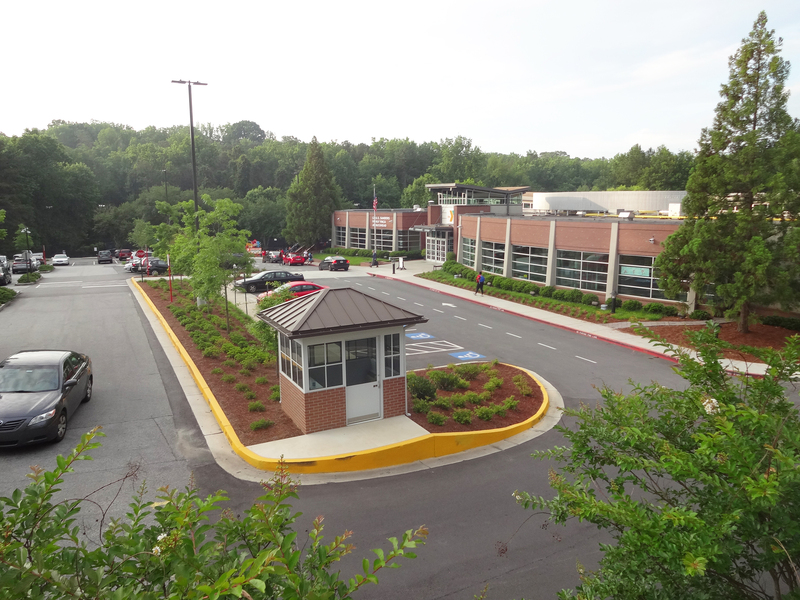 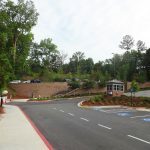 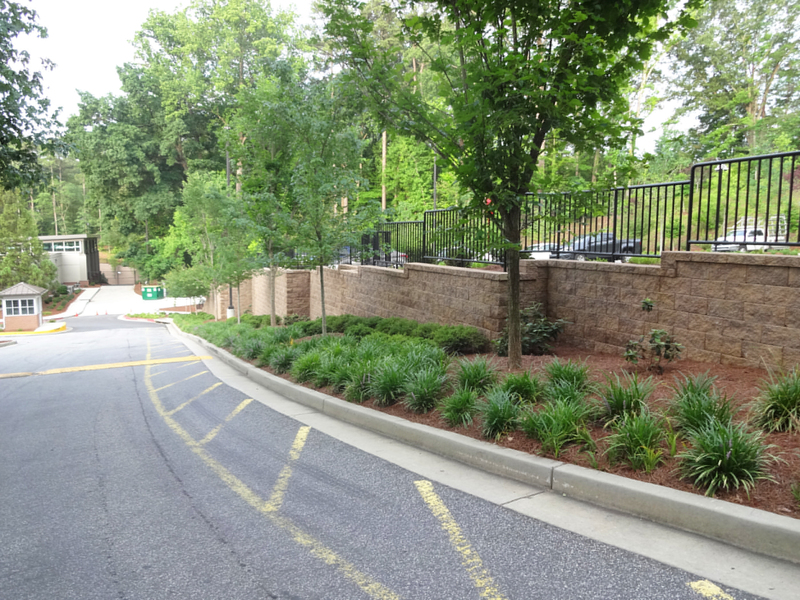 A collaborative effort between the design team and City of Chamblee helped keep this pedestrian friendly school operating safely during the three year construction period. 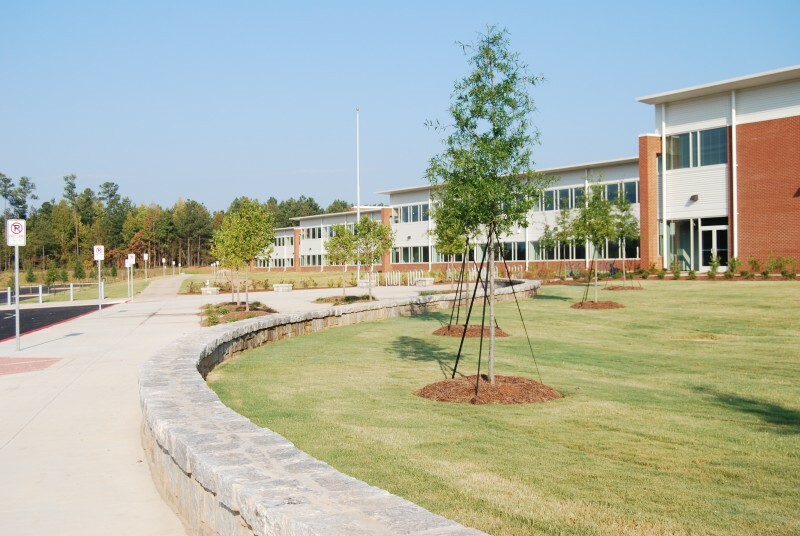 The completed school provides a beautiful transition from the industrial feel of Peachtree Industrial Boulevard to the residential character of the adjacent neighborhoods. 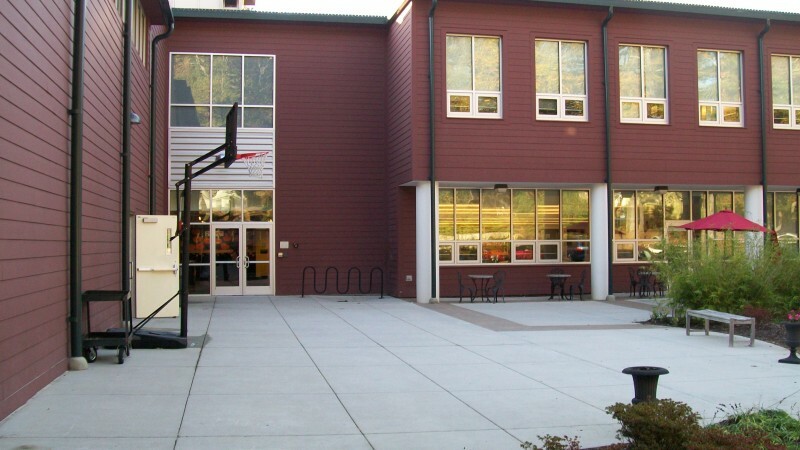 A key component in gracefully making this transition was concentrating the paved parking lots south of the building and placing the athletic fields and green space on the northwestern portion of the site adjacent to the surrounding neighborhood. 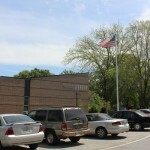 In many ways, Springdale Park Elementary School epitomizes the neighborhood school. 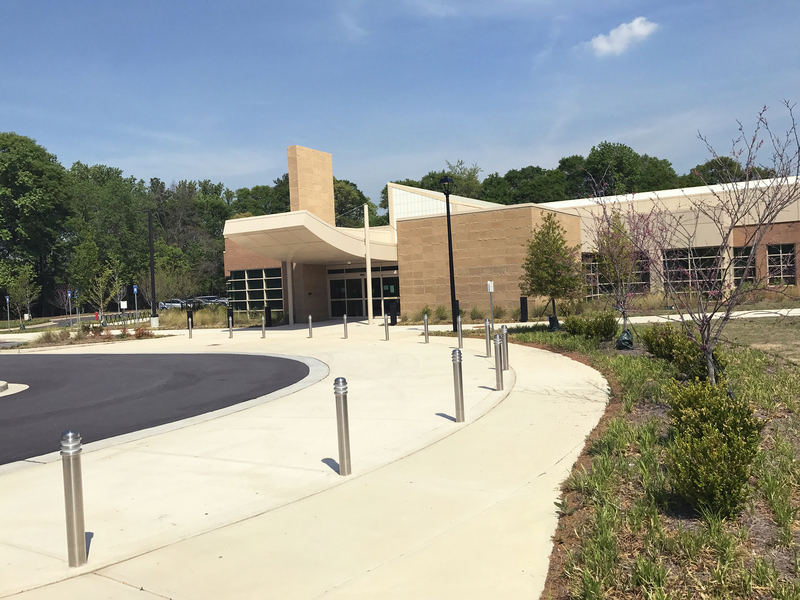 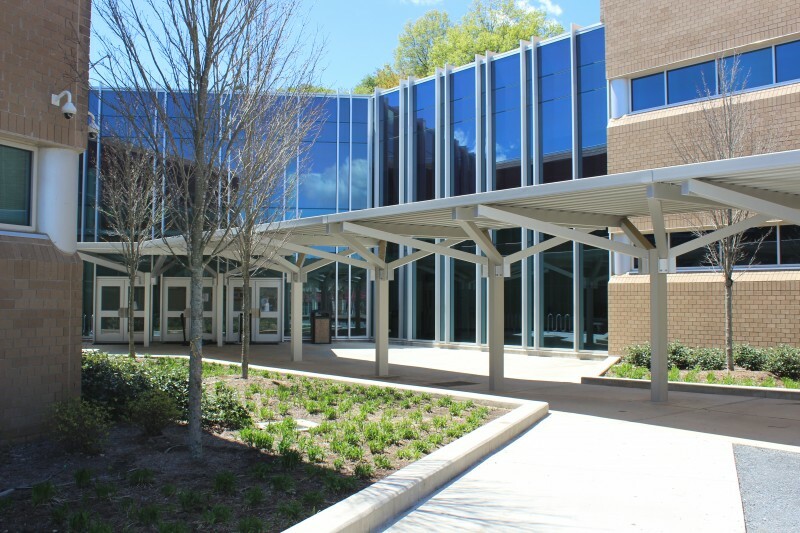 Located in the Druid Hills neighborhood of Atlanta, adjacent to Springdale Park, this school has rapidly undergone a number of changes since 2007 and Breedlove Land Planning has been involved with the design of every phase of the school since its creation as an Atlanta Public School. 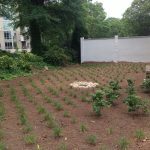 The project program includes infiltration based stormwater management, a modern utility and fire protection system, a native and adapted plant palette that is historically appropriate to the neighborhood and the preservation of hundreds of inches of mature oak trees. 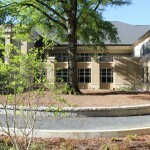 E. Rivers Elementary School has been a cornerstone of the affluent Buckhead Community of Atlanta for generations. 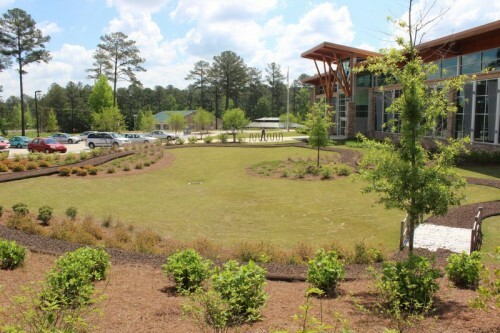 A complete campus reconstruction replaced a hodgepodge of buildings and convoluted circulation patterns with a modern campus that honors the past while embracing a 21st century approach to ecological site design. 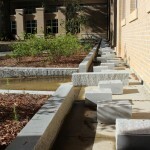 The design revolves around the preservation of some massive water Oaks, including one located at the center of the new campus courtyard. 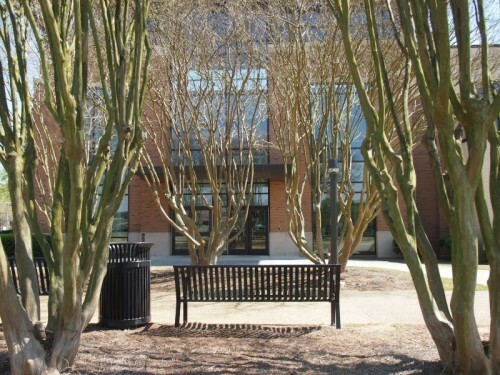 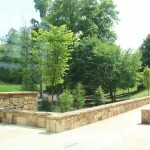 This signature courtyard preserves this massive tree, incorporates statues and other elements from the previous campus, utilizes bioretention for stormwater management and exposes stormwater in a manner intended for educational purposes. 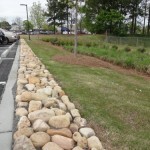 Throughout the site, bioretention, raingardens and porous pavements work in concert to infiltrate major rain events. 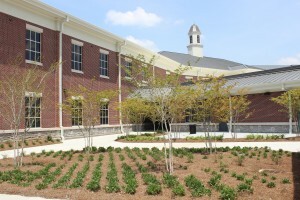 Whitehead Road Elementary School is a beautiful new 800 student facility that replaced the existing, aging school building within the Clarke County School District. 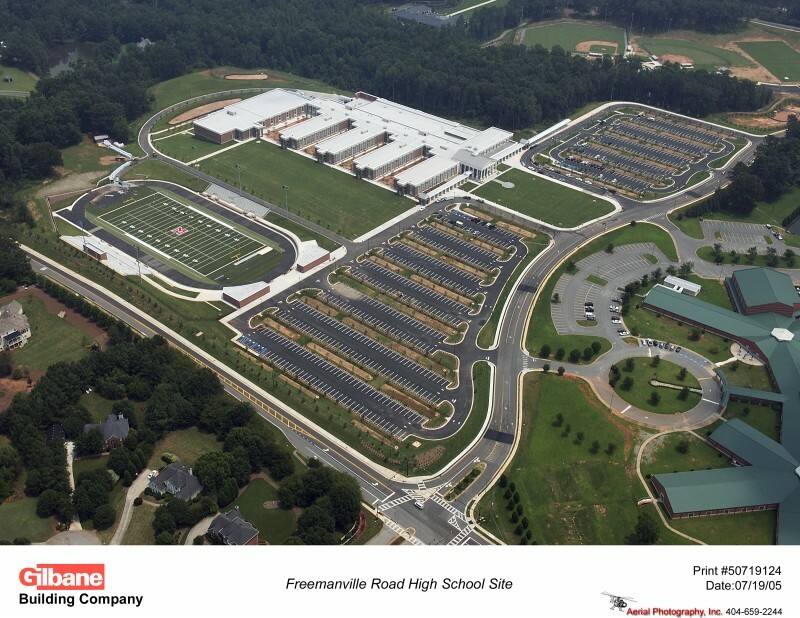 The project was phased to allow the district to continue to use the existing facility while constructing the new facility on the same site. 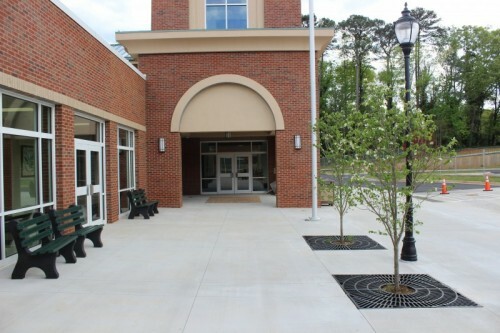 The site design was a collaborative effort by the design team and the school community, allowing tremendous input and influence from faculty and parents. 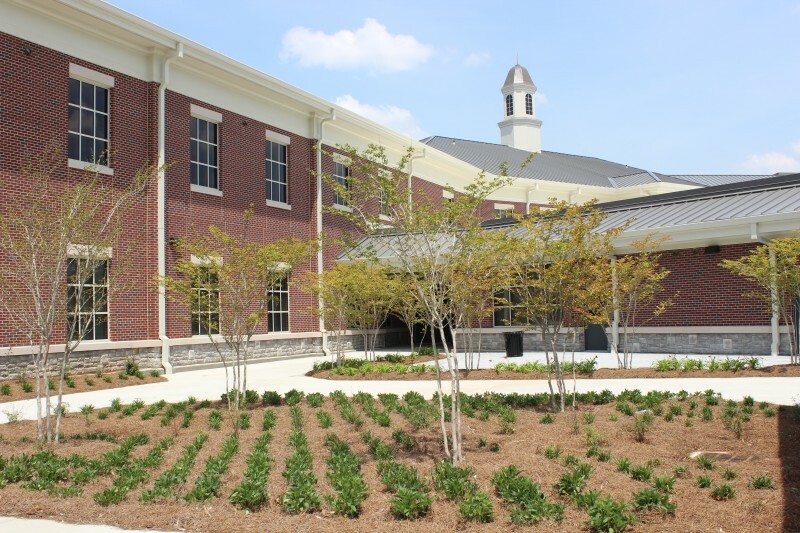 Preserving the identity of the existing school while embracing the exciting improvements with the new facility was a priority. 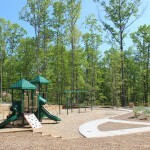 Several massive oak trees that had shaded the original playgrounds for decades were preserved within the new site layout. 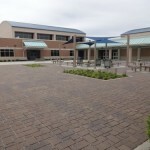 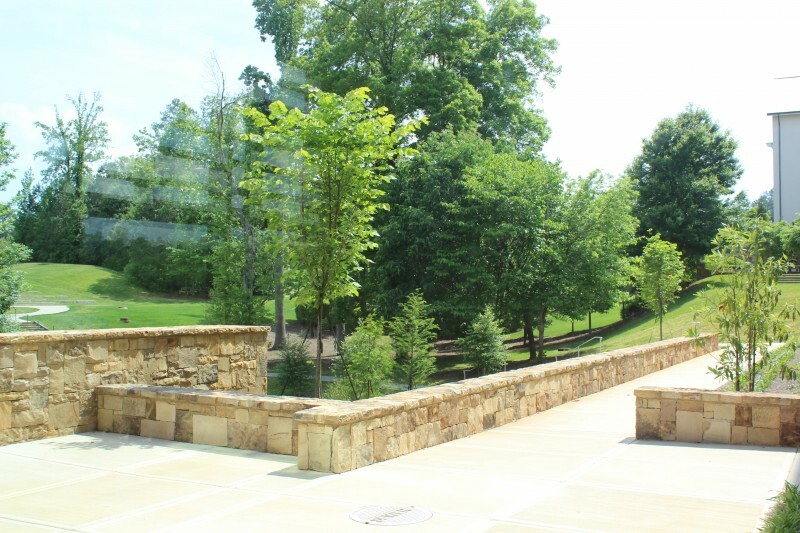 The western courtyard within the new building provides unique outdoor spaces with topography that slopes down towards the three acres of preserved forest west of the school. 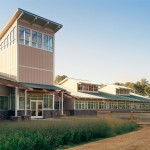 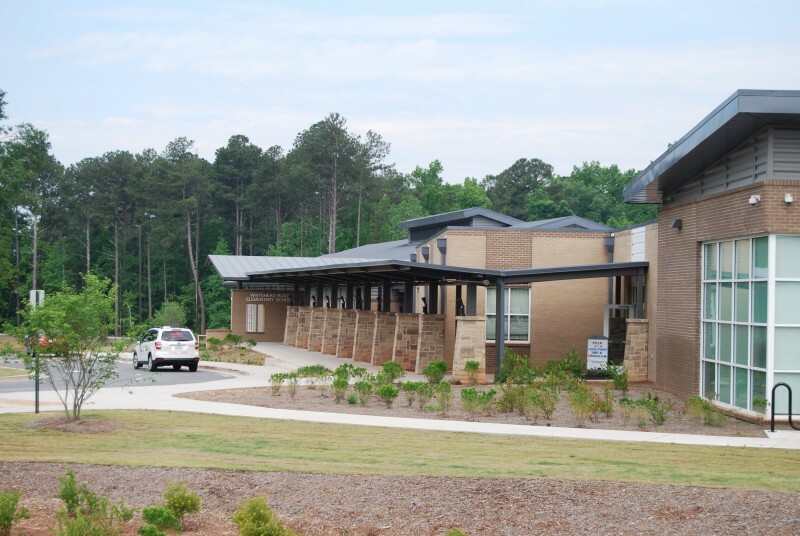 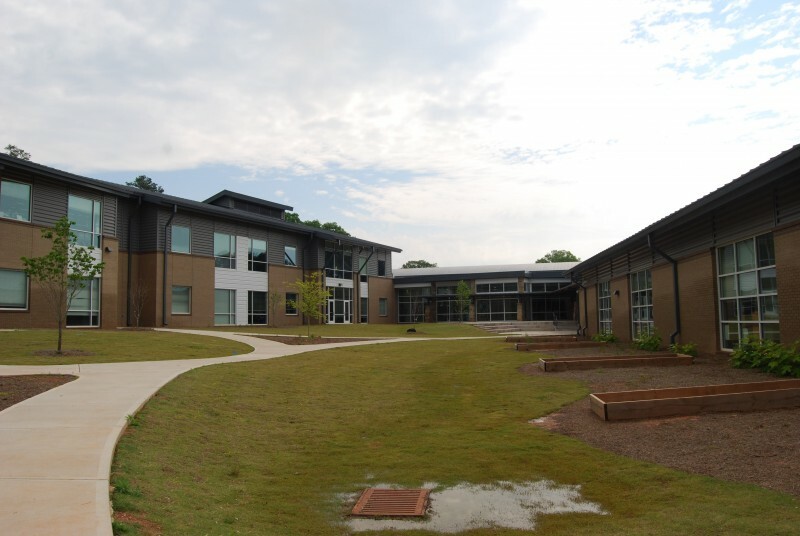 Smyrna Elementary School is Cobb County School District’s first LEED certified school. 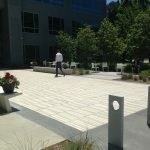 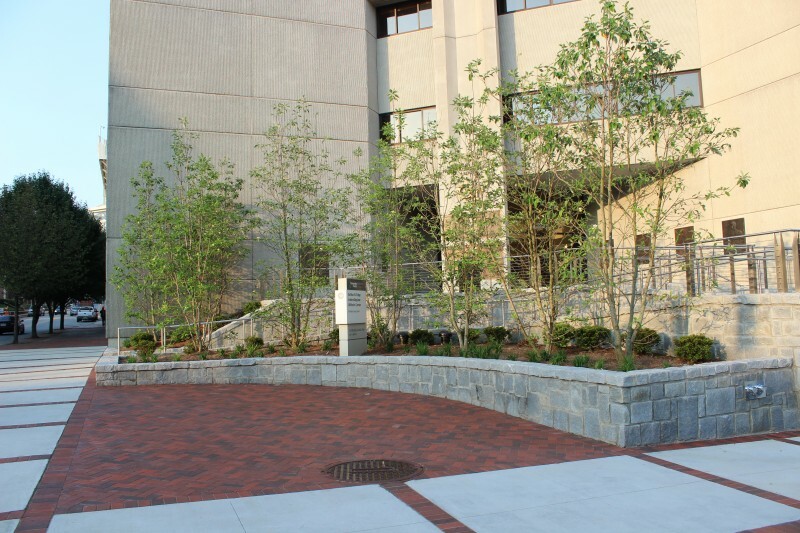 This 2-story facility opened in 2013 and LEED site elements include a permeable paver parking lot, permeable paver plazas, native landscaping and a conservation area for existing mature trees. 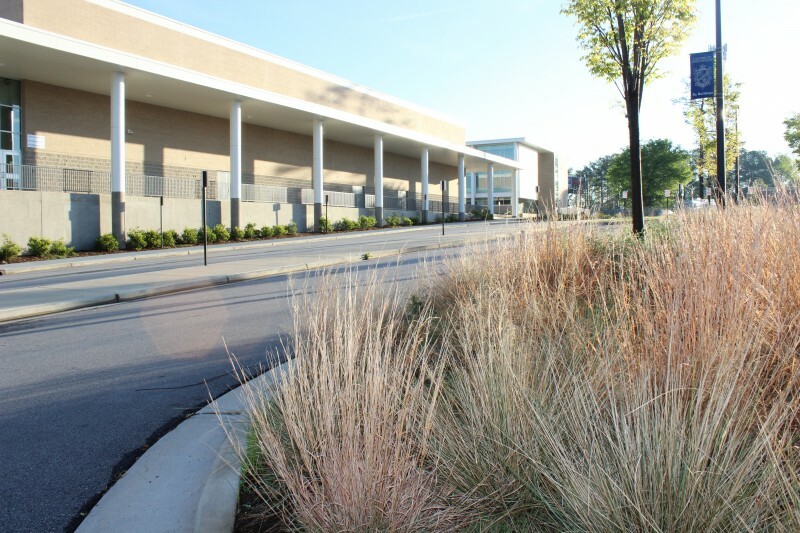 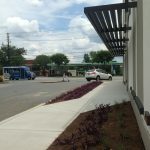 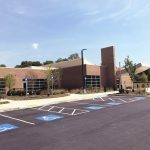 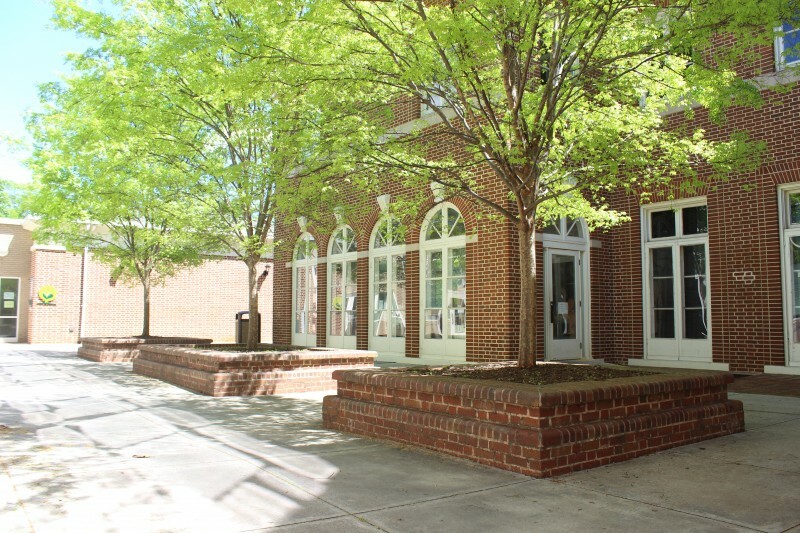 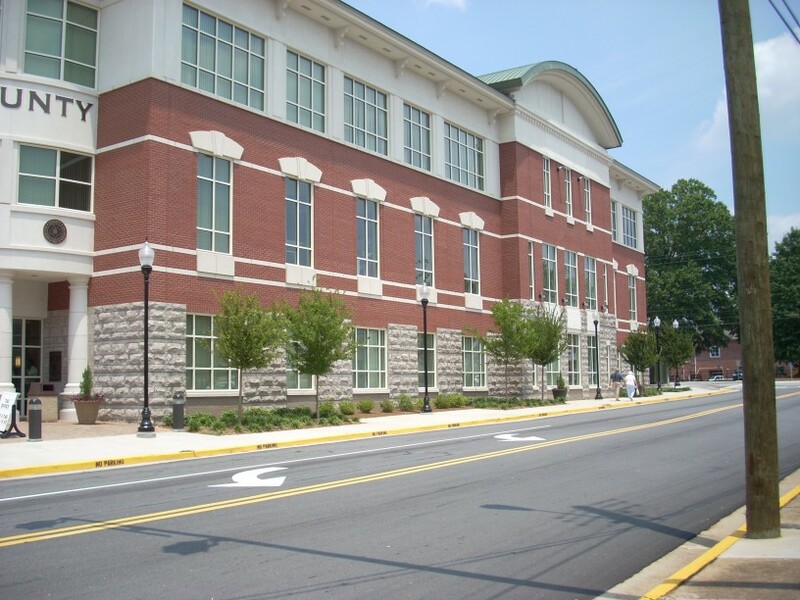 The school project was designed to be integral with the City of Smyrna’s master plan to redevelop an abandoned commercial area, which also includes retail and office spaces, restaurants and residences. 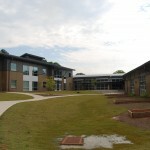 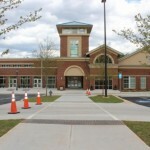 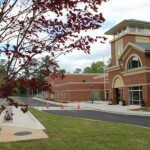 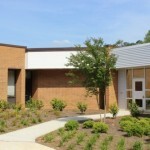 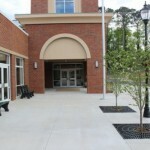 The new Mableton Elementary School was erected on the site of the original school, which meant that a number of existing amenities were to be preserved. 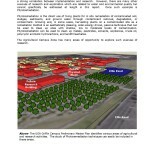 The new site layout is also successfully worked around the preservation of a number of large hardwood trees and tree clusters. The new school includes a large entry plaza, multiple parking lots, a series of natural grass playfield areas and a rear courtyard which houses multiple playgrounds. 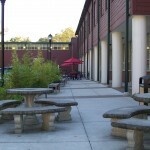 Connectivity to the surrounding community is another important feature of the site design. 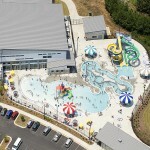 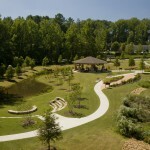 West Gwinnett Park is an active recreational facility serving the Berkeley Lake area of southwestern Gwinnett County, Georgia. 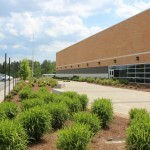 The Park’s state of the art aquatic facility hosts swim meets for several area high schools. 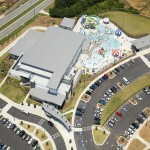 The outdoor leisure pool is highly visible from Peachtree Industrial Boulevard. 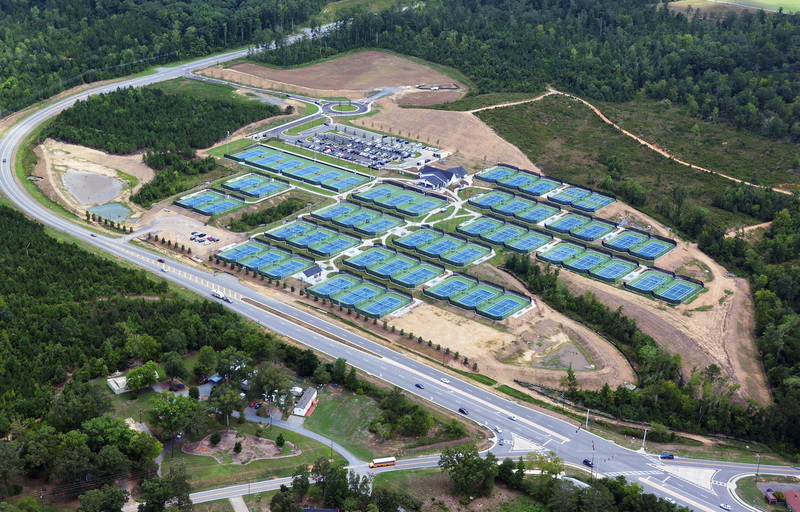 The facility also serves as host for pick-up sports with three multipurpose sports ﬁelds and a future tennis center. 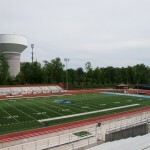 A walking track is located around the largest of the sports ﬁelds. 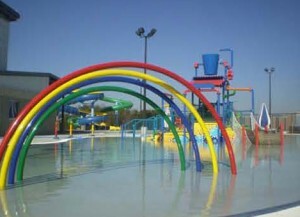 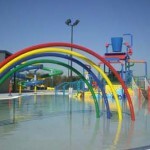 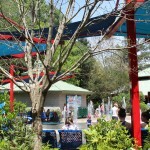 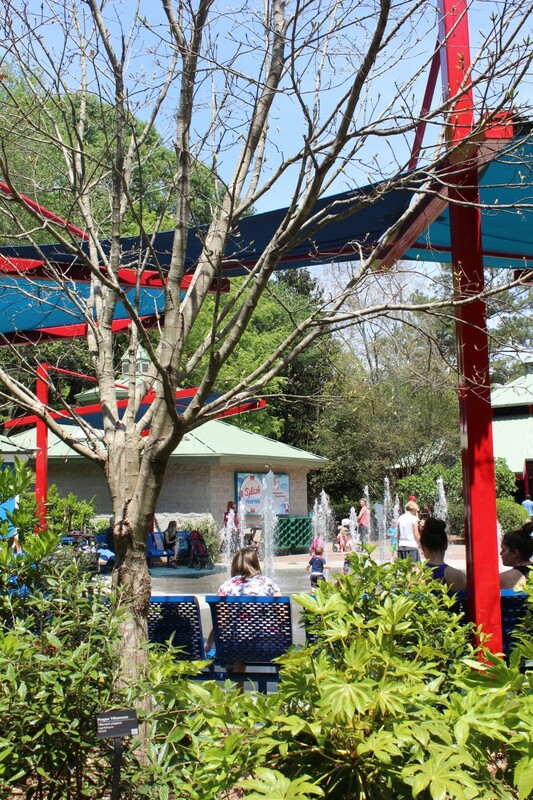 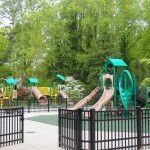 Located adjacent to the outdoor pool facility is a rentable pavilion and a 6,000 square foot playground. 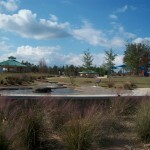 Hunter Park is an existing 83-acre park located in Douglasville, Georgia. 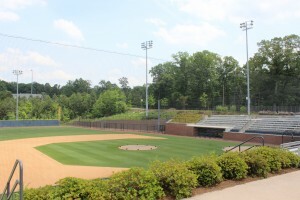 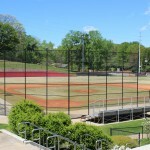 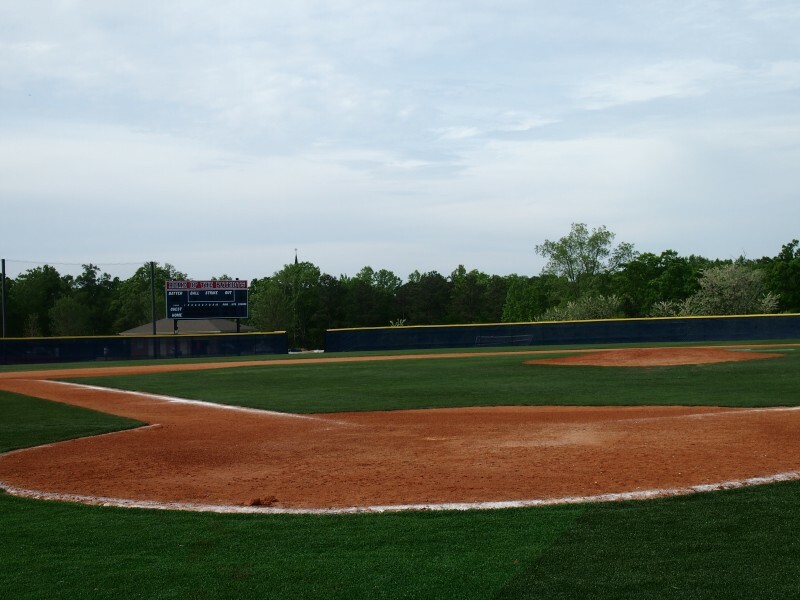 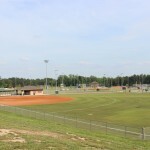 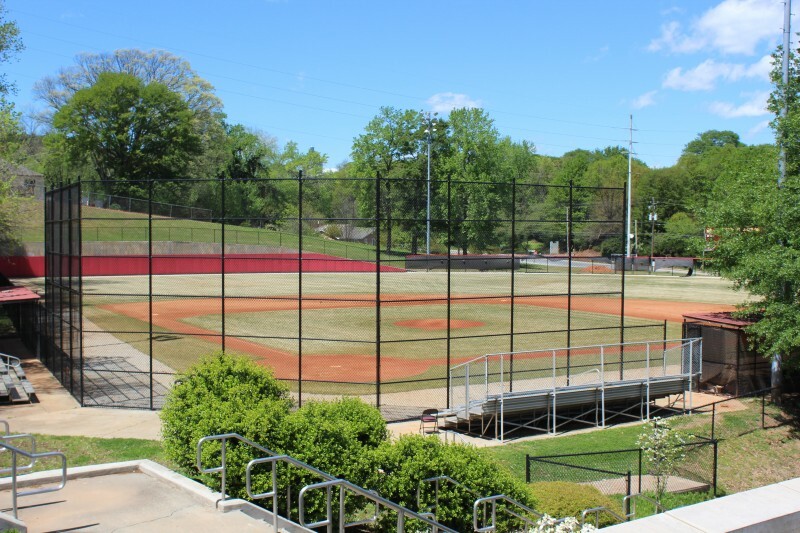 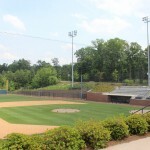 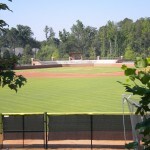 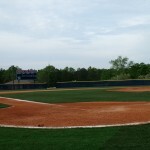 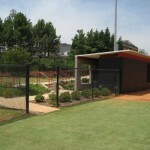 The park was renovated in 2011 with updated amenities including two renovated baseball fields, five new baseball fields, one renovated softball field, twelve batting cages, seven ALTA certified tennis courts, three new restroom buildings, one new pressbox/concession building and 650 parking spaces. 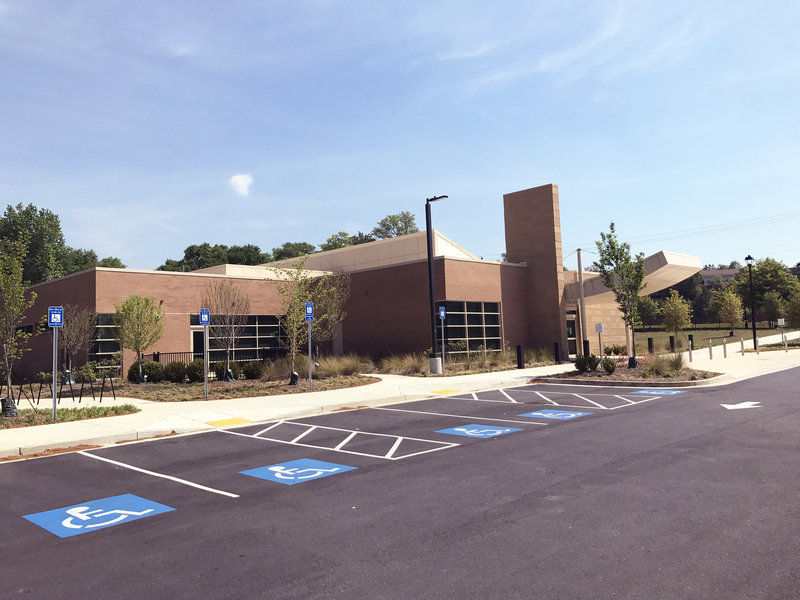 The improvements were designed and constructed around an existing 3-acre lake and a recently constructed 16,000 square foot community center. 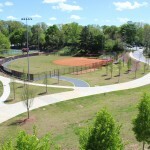 The jewel of the renovated park is the only Miracle League Field west of Atlanta, providing children with mental or physical challenges the chance to play baseball. 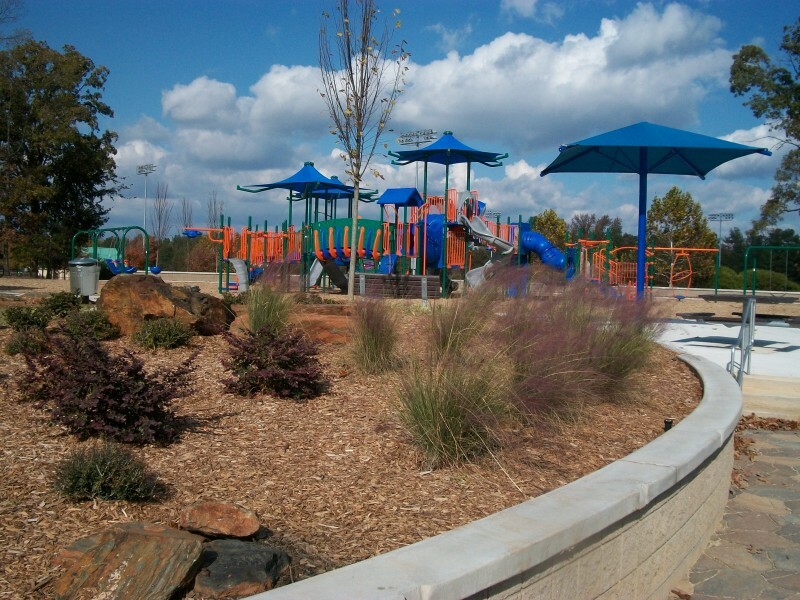 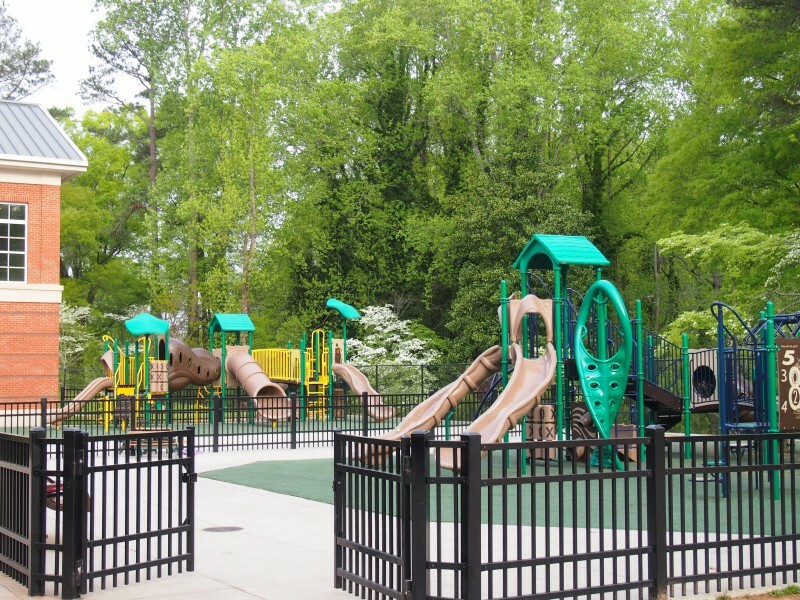 This project involved the generation of a master plan for a central town center park for the growing Fairview Community area in Henry County. 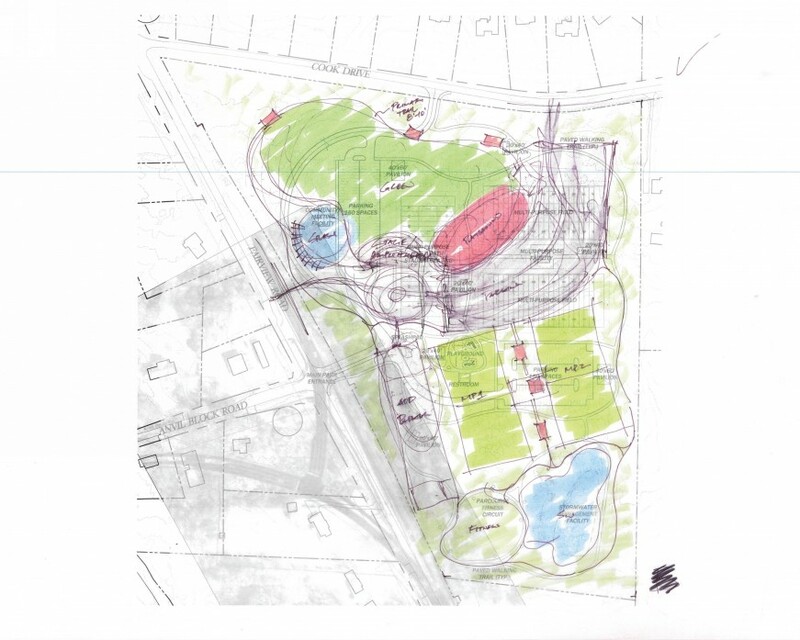 The master plan includes a community gathering greenspace, a focal interactive water feature, a community center, miles of walking paths, (2) multi-purpose athletic fields, multiple playgrounds for various age levels and a series of associated concessions, restrooms and picnic pavilions. 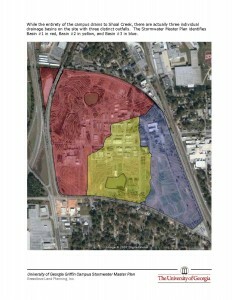 The unique layout places a premium on spatial relationship planning by ensuring site elements are arranged based on associative functions. 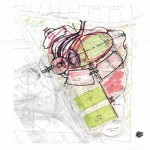 The plan also creatively organizes program elements of organic forms along a formal, dominant axis. 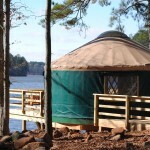 Yurt? 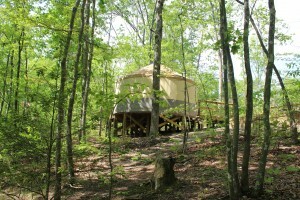 What is a yurt? 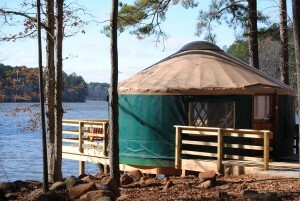 The original yurt was a traditional home used by Central Asian nomads. 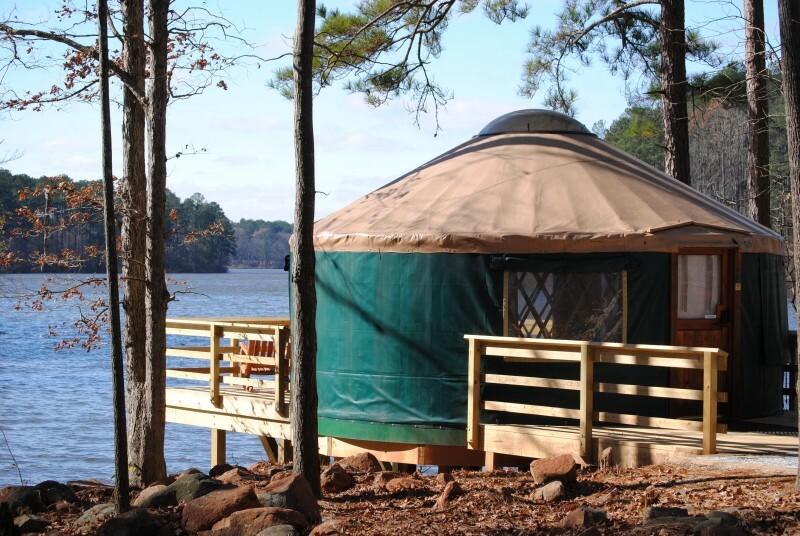 The modern-day yurt is a dome-shaped, lattice-framed, canvas-covered structure most often erected on a wooden deck. 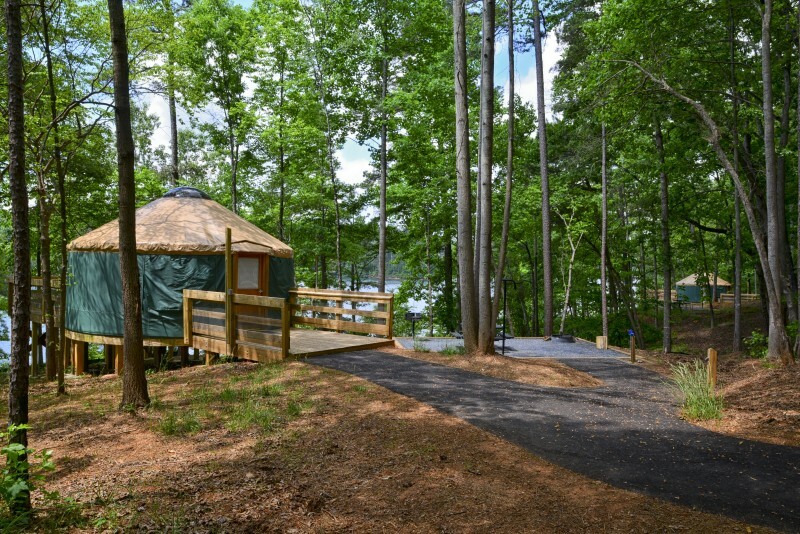 They are the latest craze in “camping.” The yurts at Cloudland Canyon State Park in Rising Fawn, Georgia are available for rental and have front decks, rear decks, electricity, furnishings and even a space heater. 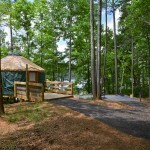 Each yurt site also has an outdoor living area with a fire pit, grill, picnic table and lantern hanging post. 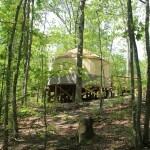 The yurt campground also has a large comfort station with showers, a group picnic pavilion and a playground. 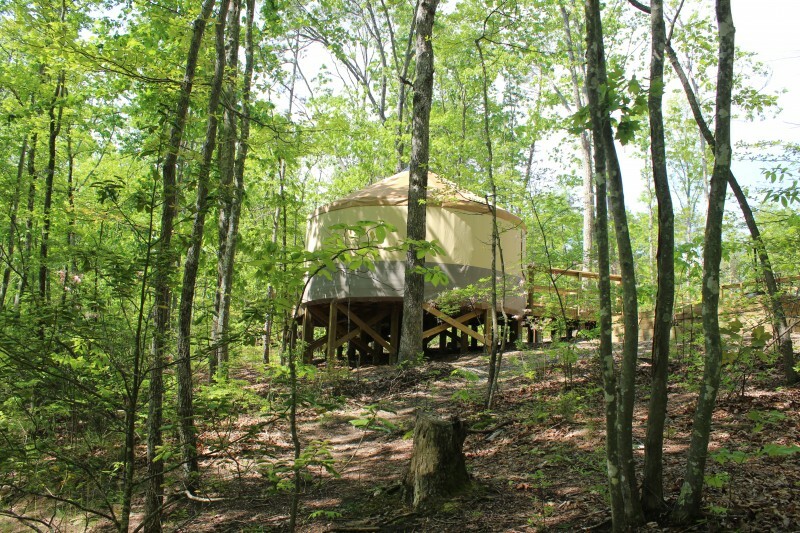 Each of the 10 yurts is nestled into the forest for privacy and provides a spectacular view into the wilderness. 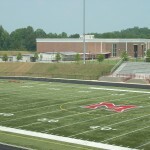 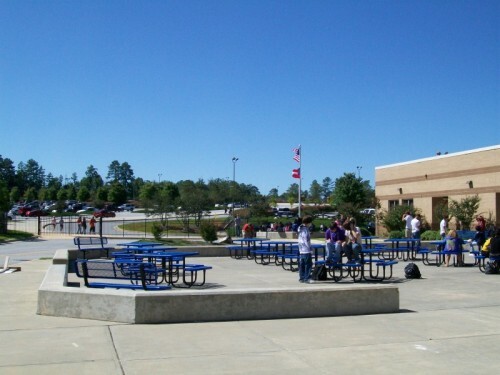 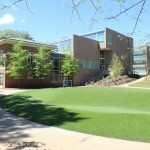 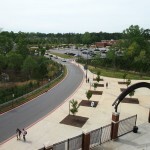 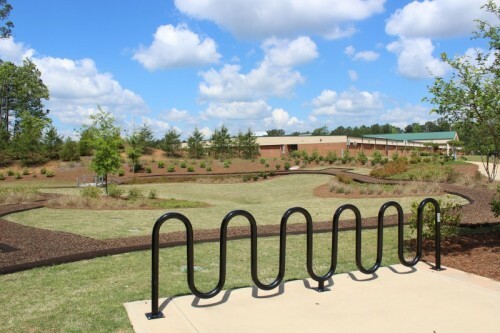 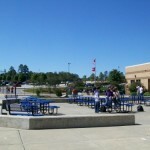 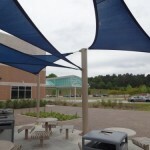 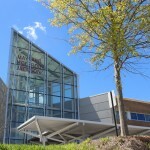 This most recently constructed high school campus in Fulton County is situated on 64 acres in Milton and relieves the climbing enrollment at Alpharetta and Milton high schools. 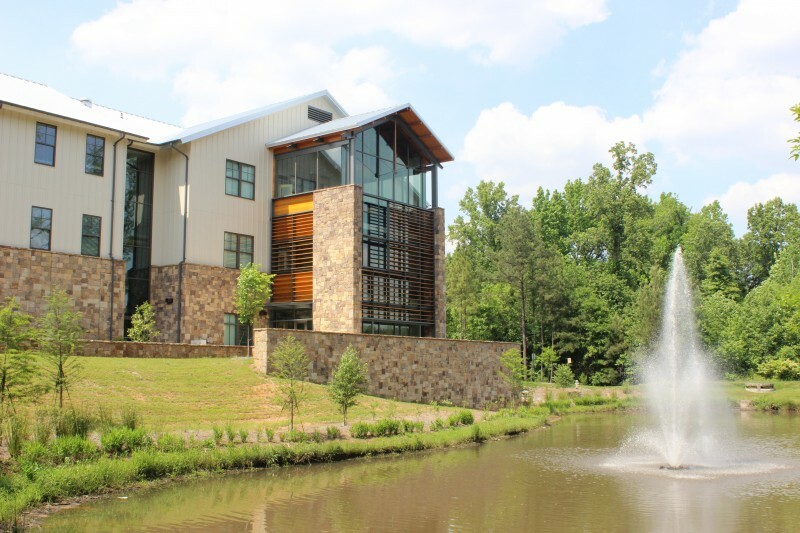 The campus includes several beautiful facilities that were integrated into the site while maintaining over twenty acres of undisturbed stream buffers, forest land and an existing lake. 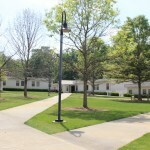 The main school building and parking facilities lie on the west side of the creek along with the tennis courts. 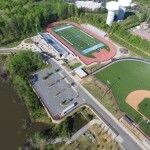 A truss bridge leads east across the stream to the athletic practice fields. 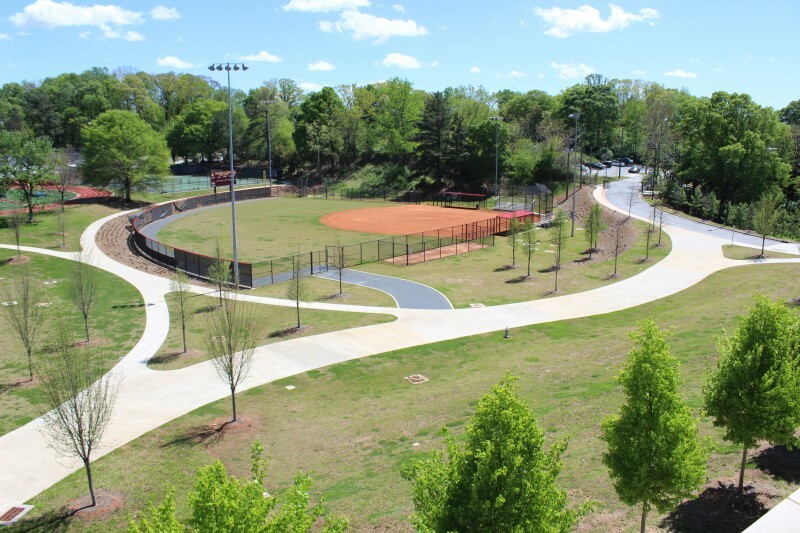 An existing stream crossing was reconfigured to access the beautiful new stadium, baseball and softball facilities that overlook the lake. 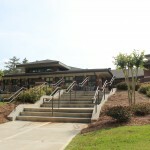 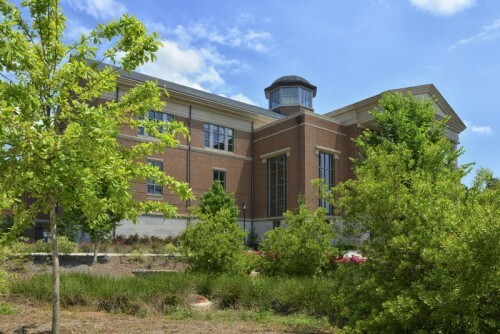 The Special Collections Libraries Building at the University of Georgia’s Athens campus was completed in 2011 and is the home of the Hargrett Rare Book and Manuscript Library, the Richard B. Russell Library for Political Research and Studies, and the Walter J. 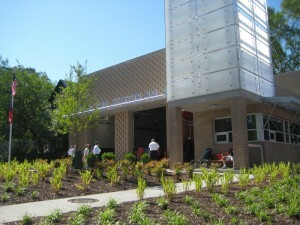 Brown Media Archives and Peabody Awards Collection. 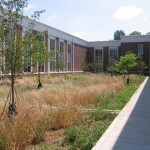 In addition to providing much needed space for these rare collections, this project resulted in enhanced green space and sustainability on the north campus. 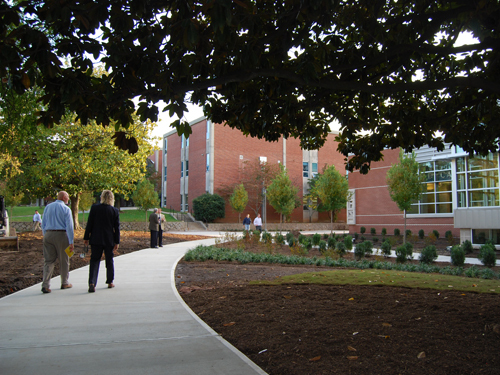 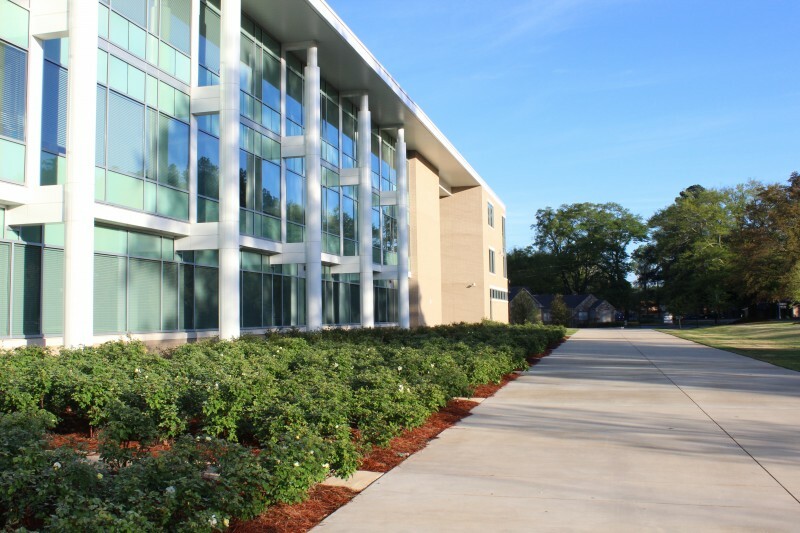 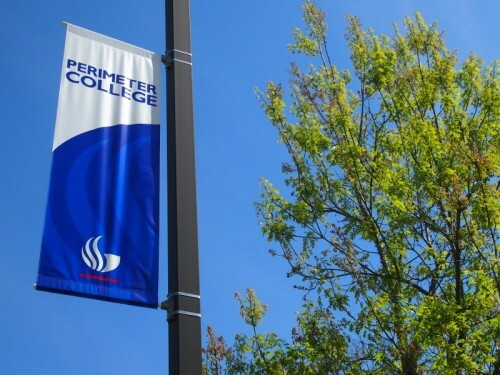 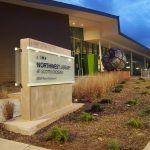 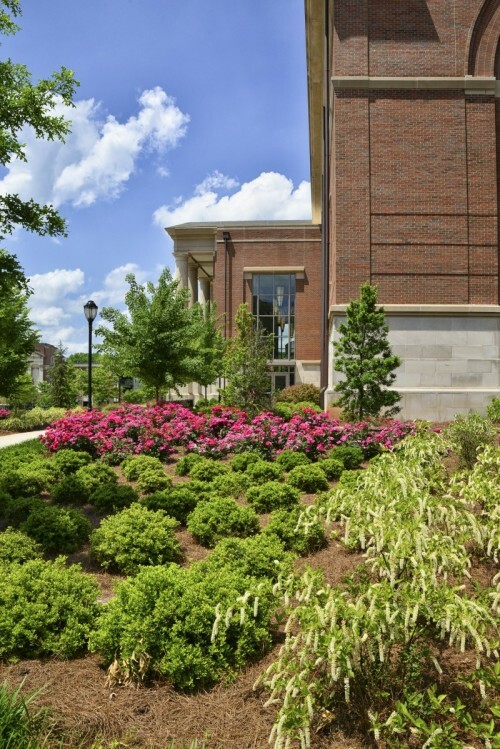 The project achieved a LEED Gold certification and replaced an impervious campus parking lot with lush native planting beds, a spacious turf quadrangle and artistic pedestrian connector walks. 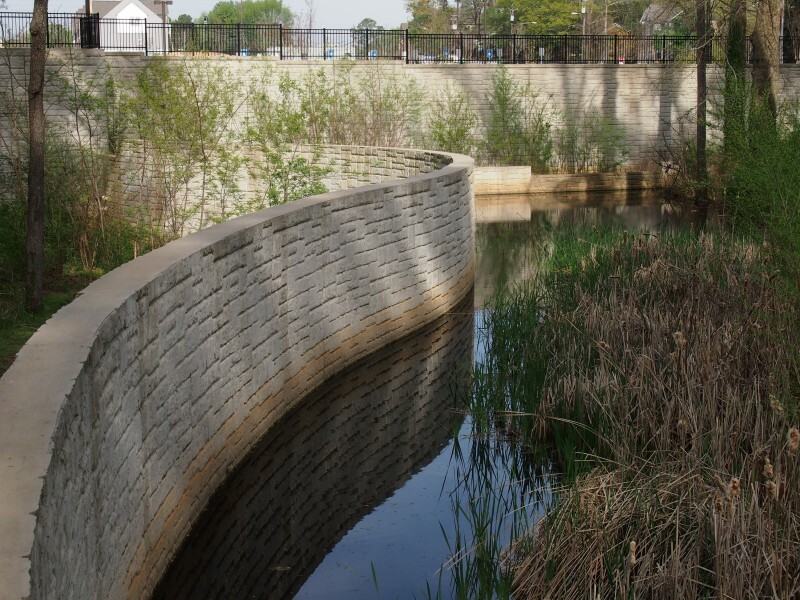 A series of cisterns, which have a combined capacity of over 104,000 gallons, were designed to capture runoff to meet the irrigation needs of the site and to supplement the future central utility plant’s water demands. 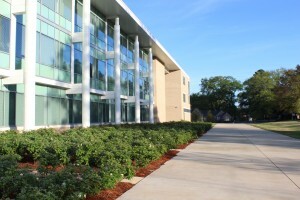 The Student Success Center provides administration space for student career counseling and additional classroom space for this rapidly growing campus. 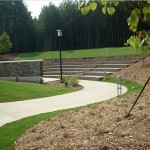 Numerous sustainable site elements were incorporated throughout the design. 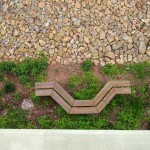 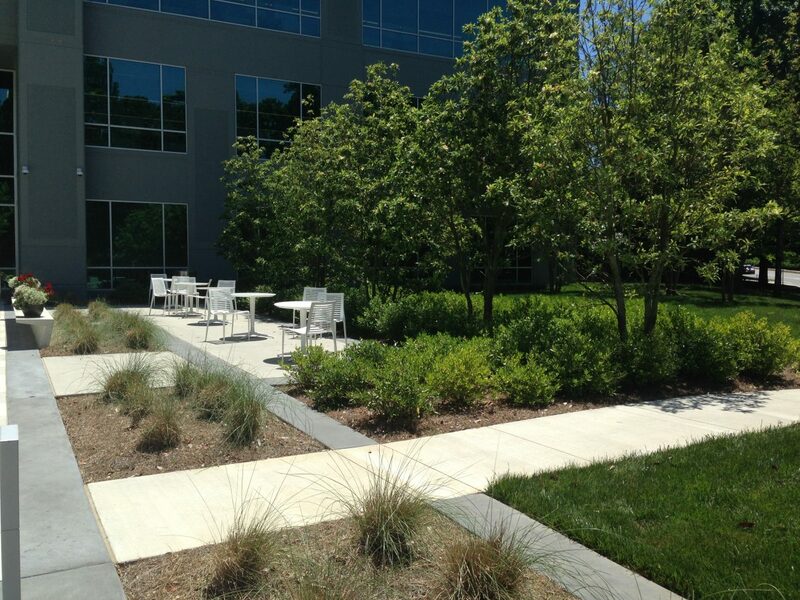 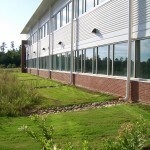 Most noticeable are four bioretention areas flanking the building on three sides. 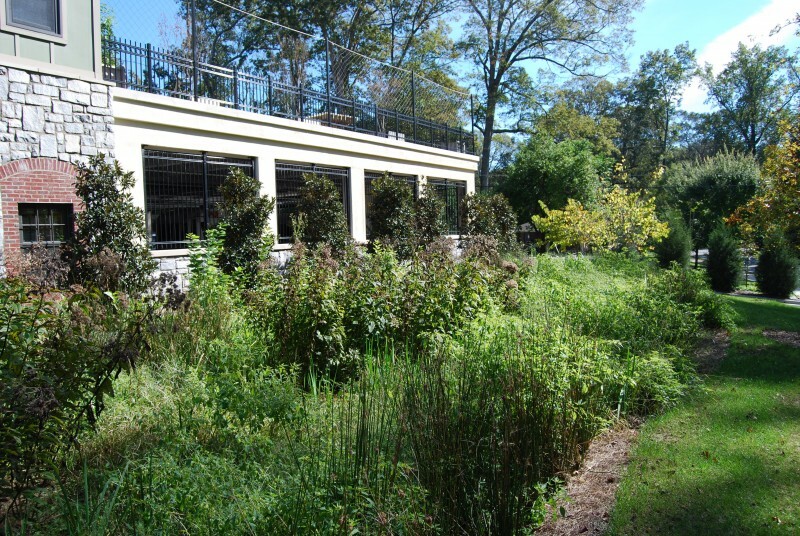 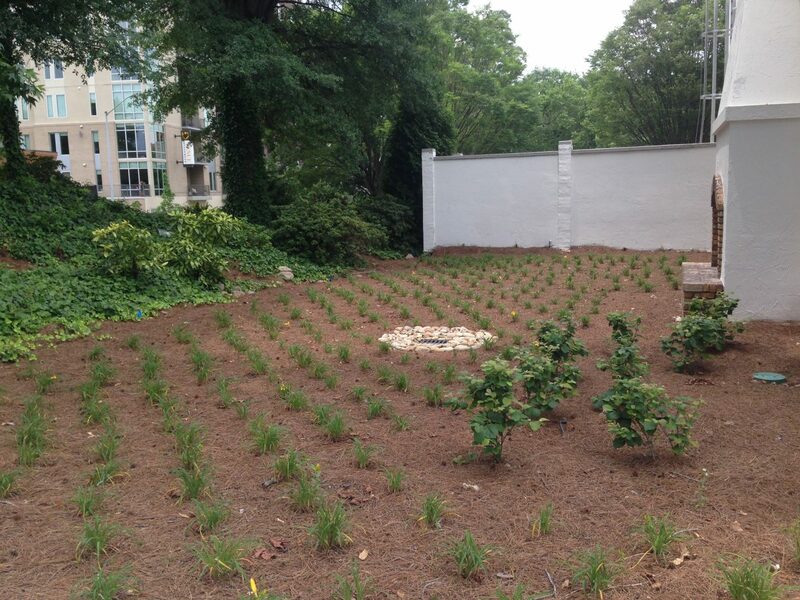 These bioretention areas filter and treat stormwater pollutants through natural processes. 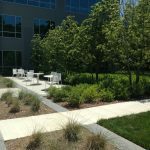 The use of native plant species in the landscape provides drought tolerance and low maintenance, which are key elements of sustainability. 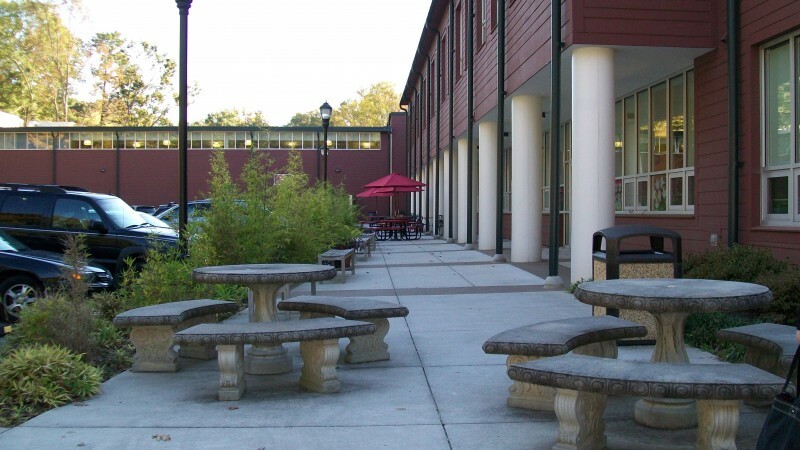 This underutilized and sun oppressed Campus Center outdoor space was converted into a pleasant, functional and usable multi-purpose plaza. 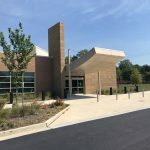 Through a highly collaborative design and construction coordination effort between multiple disciplines, the project was completed to be truly flexible. 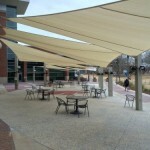 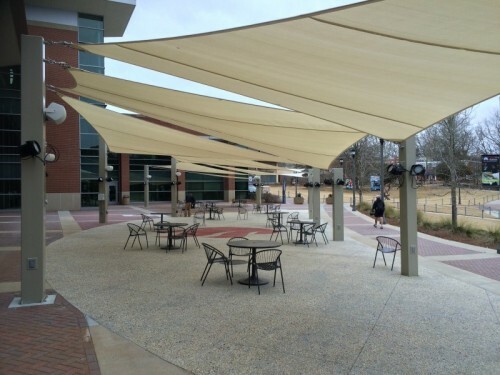 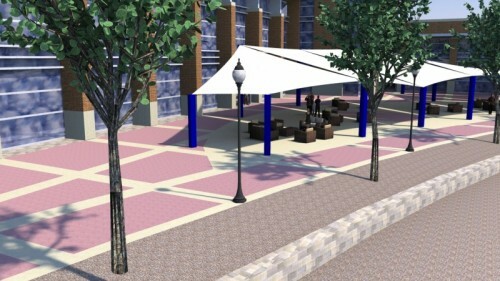 Intricate hardscape detailing, an attractive series of fabric shade sails, multi colored lighting and outdoor audio equipment combine to offer an appealing and comfortable shaded space for outdoor concerts, University functions, passive student leisure and outdoor reception space for Campus Center events. 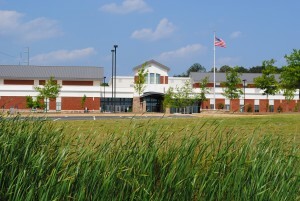 The new Newton County (replacement) high school, completed in 2013, is situated on a 117.77 acre tract of land with road frontage on Crowell road and Jack Neely Road. 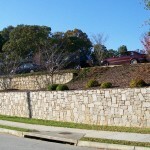 The property was a partially developed subdivision with previously constructed roads and utilities. Portions of the developed infrastructure were retained for the development of the new high school. For fast tracking purposes, the project was phased with a demolition and grading/drainage package and a later building package. 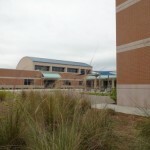 The building is two-story and over 300,000 square feet in area. 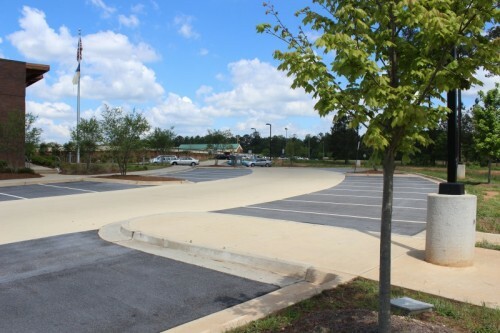 Parking for over 800 cars, including staff, student and service areas were provided. 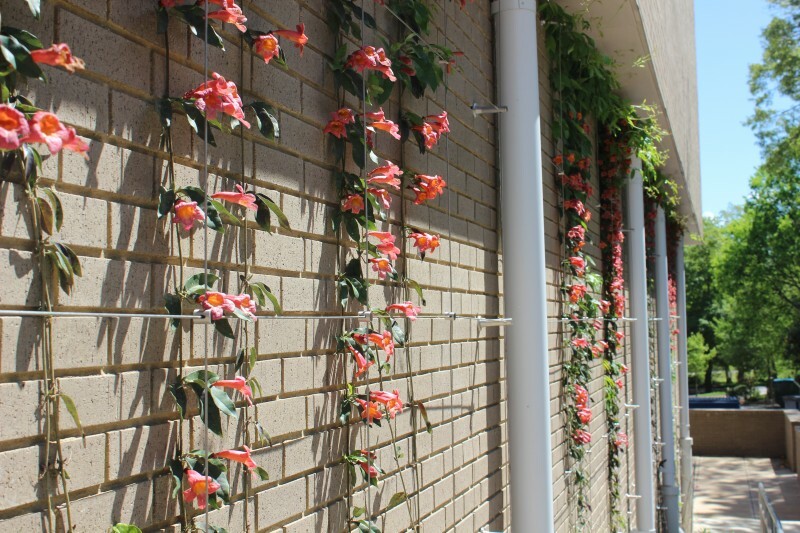 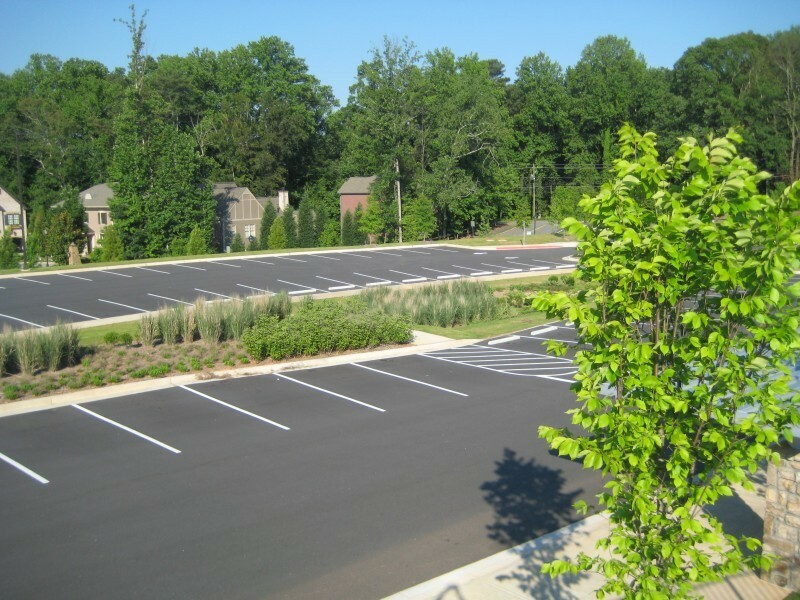 Parking bays were designed with bio-retention cells between them for maximum storm water quality benefit. 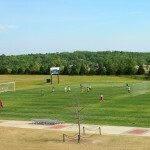 An irrigation well and reservoir were also constructed to serve all the sports facilities. 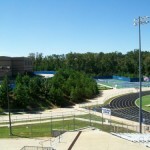 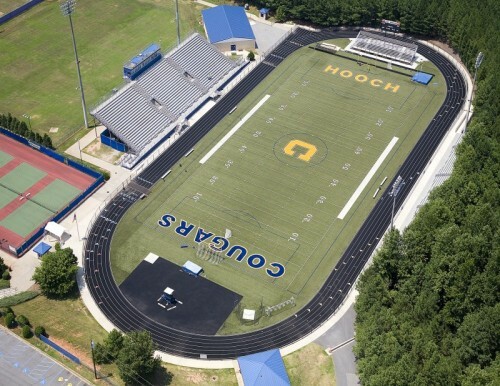 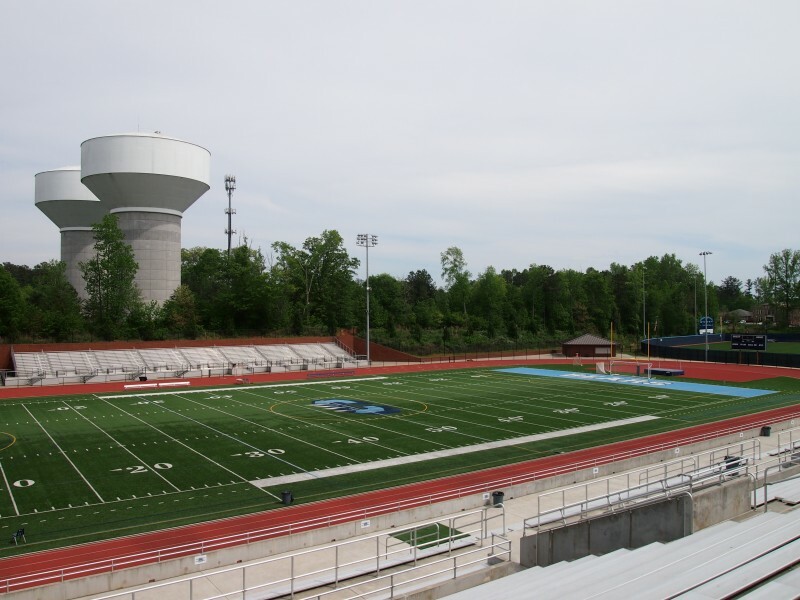 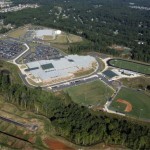 This massive campus not only houses Peachtree Ridge High School and the associated Athletics Complex. 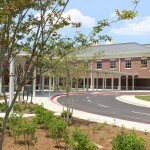 The Parson’s Elementary School Complex is also constructed on the same site. 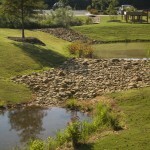 Several design challenges were encountered on the project including extreme slopes, multiple drainage basins, erosive conditions, rock, and the protection of Lake Louella and adjacent undisturbed areas. 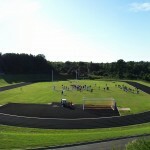 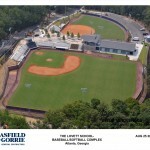 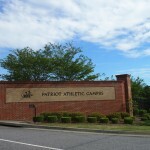 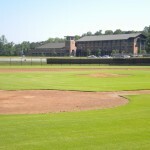 The Athletic complex consists of a softball field, baseball field, tennis courts, practice field, football field and track. 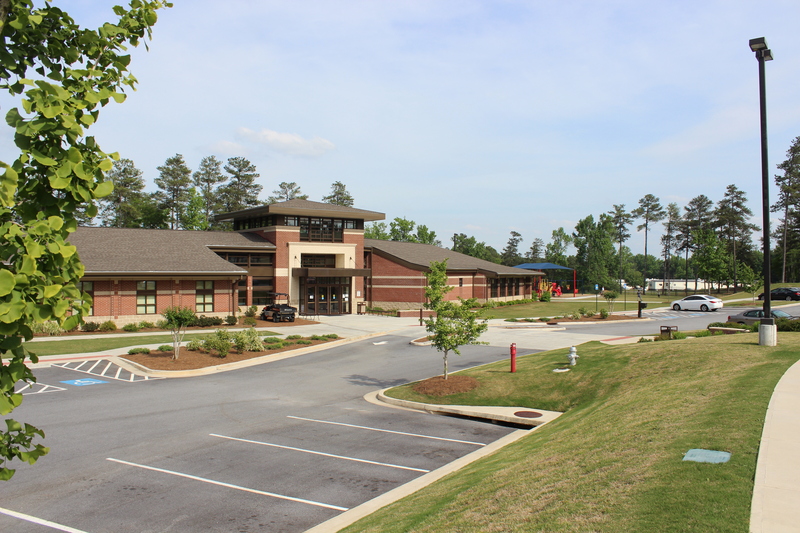 Fernbank Elementary and Peachcrest Elementary Schools are the first two of seven replacement elementary schools within the Dekalb County School District. 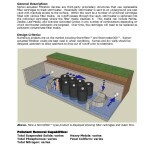 The design team will eventually adapt this prototype to seven different sites. 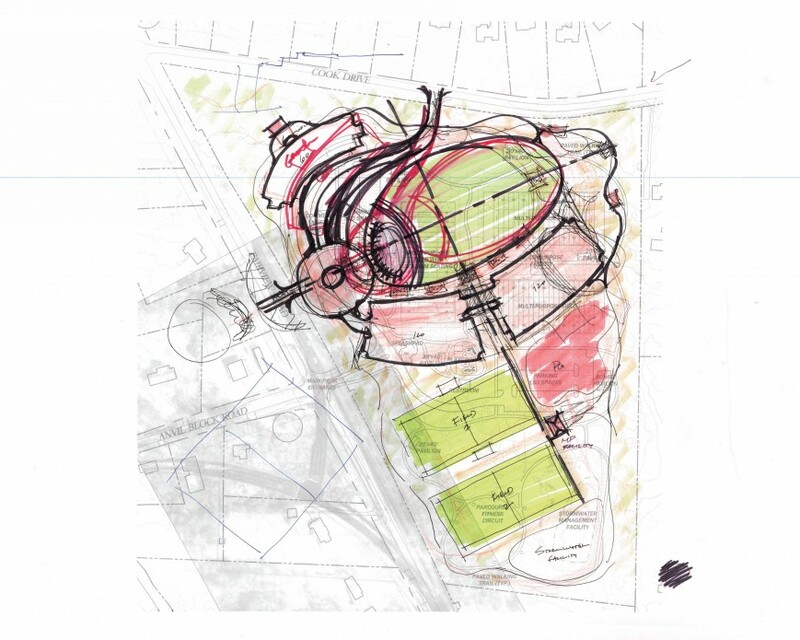 With prototype design, the site plan development provides the opportunity to establish unique characteristics to enable the individual schools to celebrate their own identity. 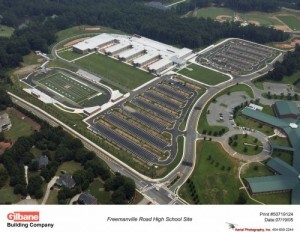 The prototype plan for each school is designed for 900 students. 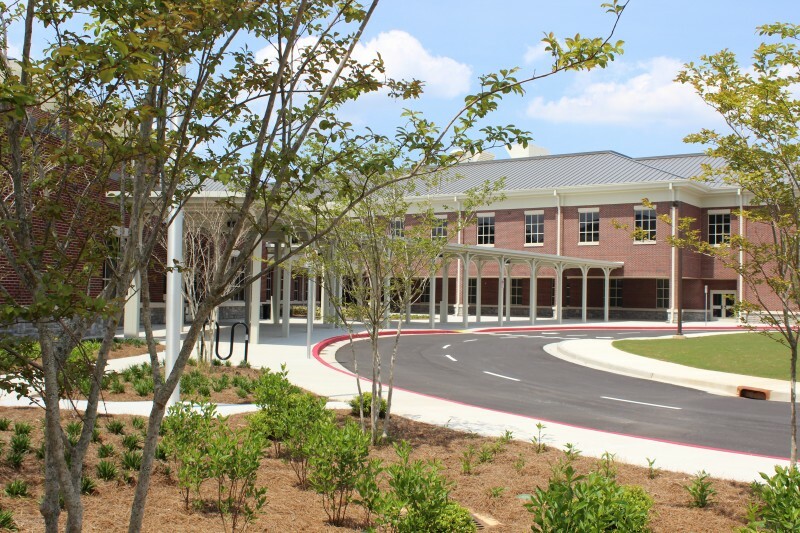 Fernbank and Peachcrest elementary schools opened in 2015. 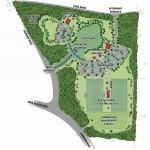 Gresham Park is currently under construction with Pleasantdale and Rockbridge soon to follow. 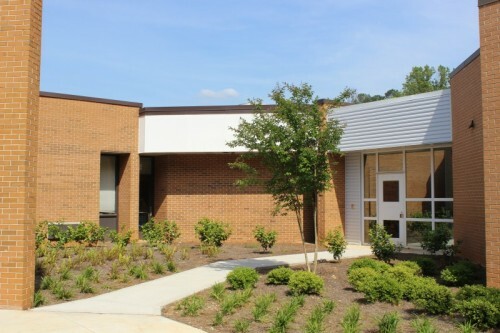 Improvements to Garrett Middle School included construction of a new classroom wing and cafeteria and gymnasium additions. 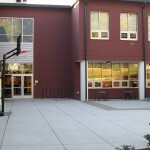 This renovation project was largely constructed while staff and students still utilized the existing school building and grounds. 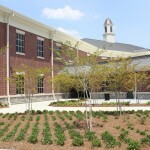 The end result was a modern-day facelift for the tired, old, brick school building. 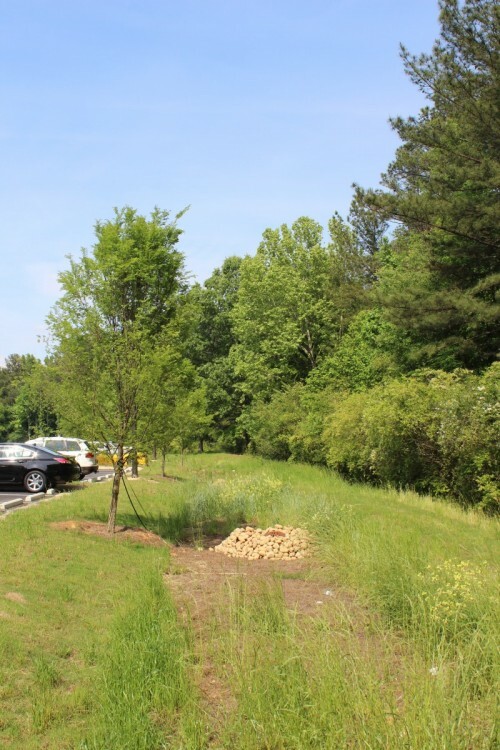 Site improvements include upgraded bus and parent circulation, emergency and service access, and new stormwater management facilities, including bioretention cells, to address stormwater runoff quality and quantity. 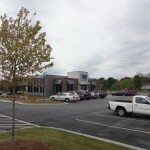 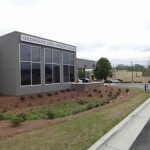 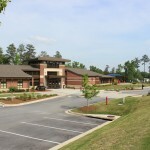 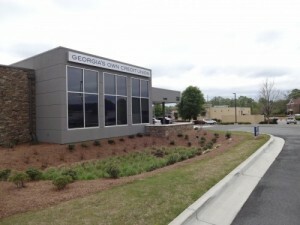 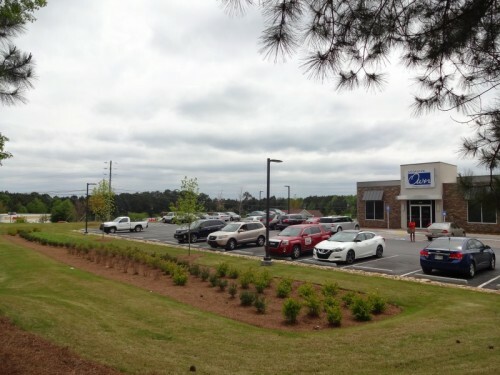 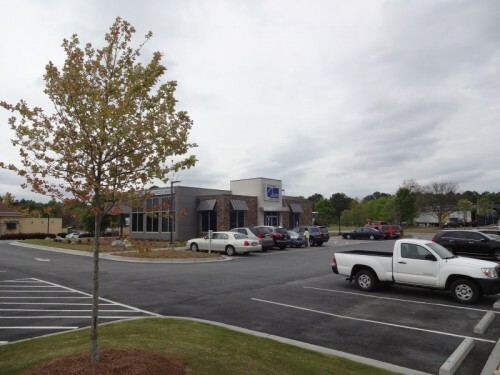 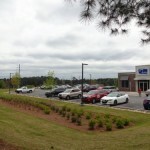 The efficient site design for this Georgia’s Own Credit Union branch maximizes the potential of the small outparcel lot on which it is located. 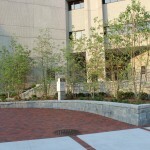 The project’s use of select native and adapted plant material as well as sustainable stormwater management strategies such as bioretention cells and pervious pavements creates a unique aesthetic that demonstrates the client’s commitment to sustainable site design while maintaining high building visibility. 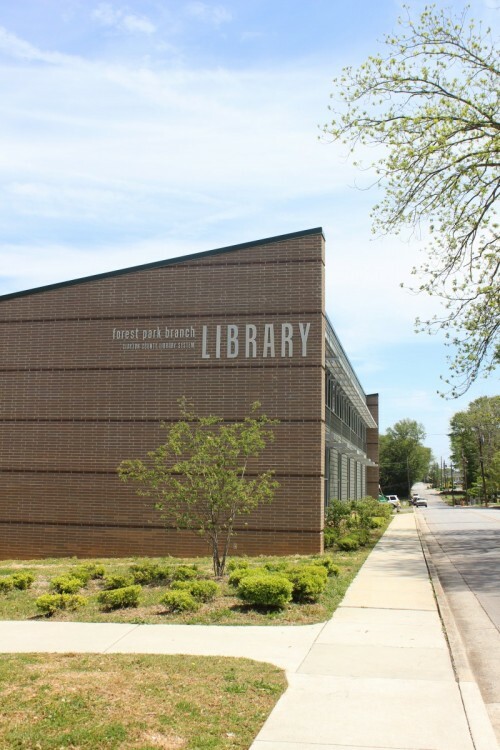 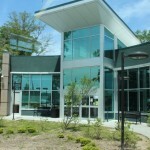 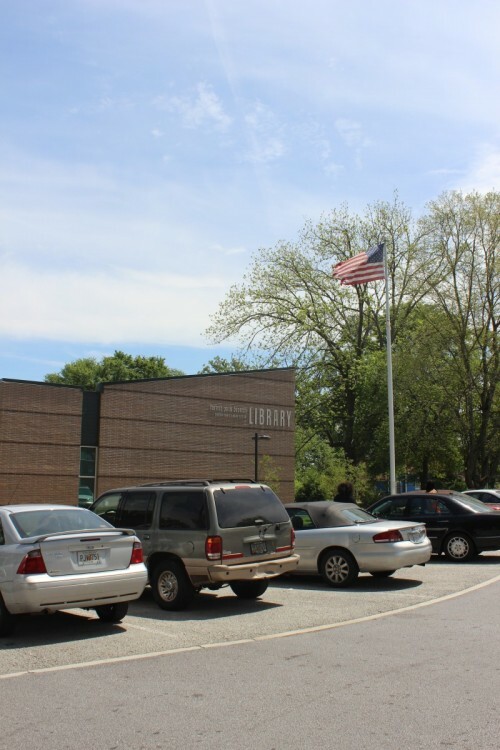 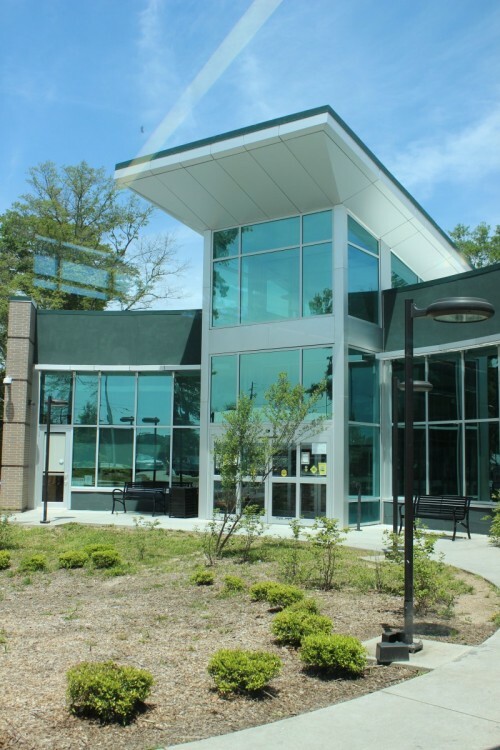 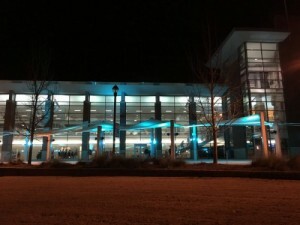 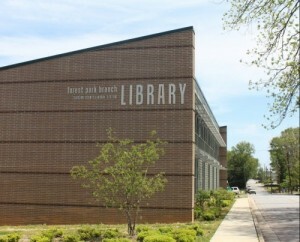 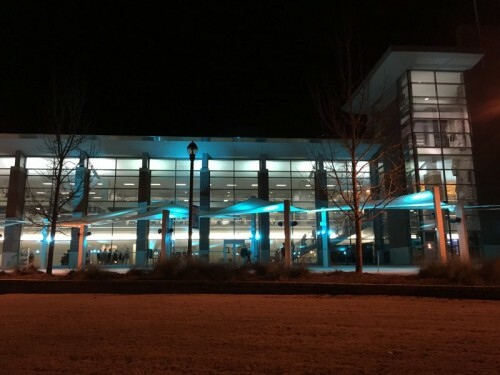 Forest Park Library is one of the newest branches of the Clayton County Library System and incorporates several sustainable site design principles. 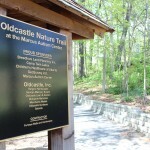 The existing site was home to many large, mature oak trees. 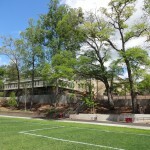 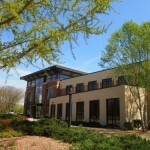 The new building and site improvements were innovatively designed to surround and preserve the majority of these trees. 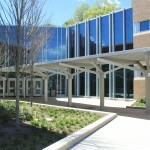 The building also provides daylighting through numerous windows. 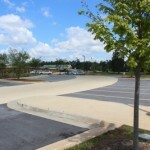 Pervious concrete pavers in the parking stalls promote infiltration. 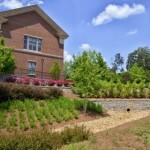 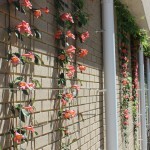 Native landscaping with a zero-turf design and no irrigation helps to reduce water usage and regular maintenance. 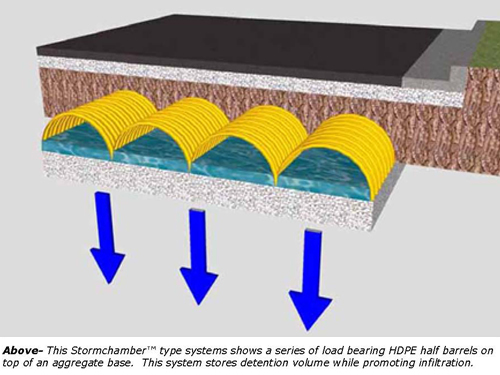 Stormwater management is achieved through the use of a perforated underground detention system on a gravel bed, also promoting infiltration. 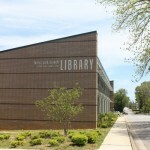 Porter Memorial Library in Covington, Georgia serves the western portion of Newton County. 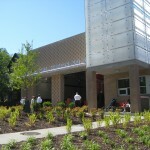 The project attained LEED Gold certiﬁcation. 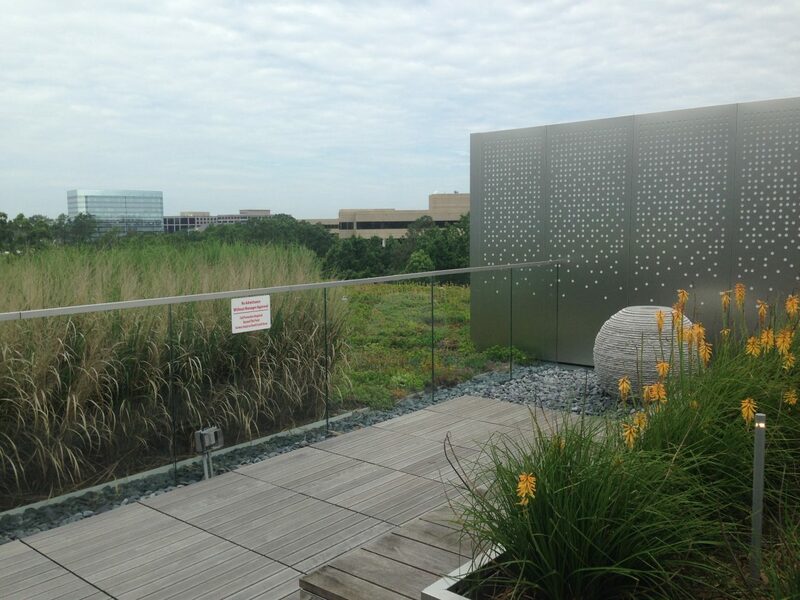 Some of the sustainable site design principles utilized to help attain this certiﬁcation include bioretention for stormwater quality treatment, a storage cistern for roof drainage to recycle the rainwater for re-use, and high-albedo colored asphalt to reduce heat island effect. The landscape is heavily planted in mostly native species and includes a rubber mulch walking trail with seating areas so users can relax, read a good book and enjoy nature. 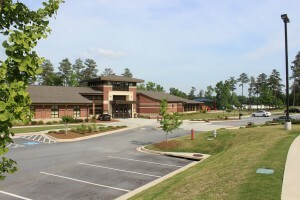 The City of Decatur Fire Station Number Two is located in the historic Oakhurst neighborhood of Decatur. 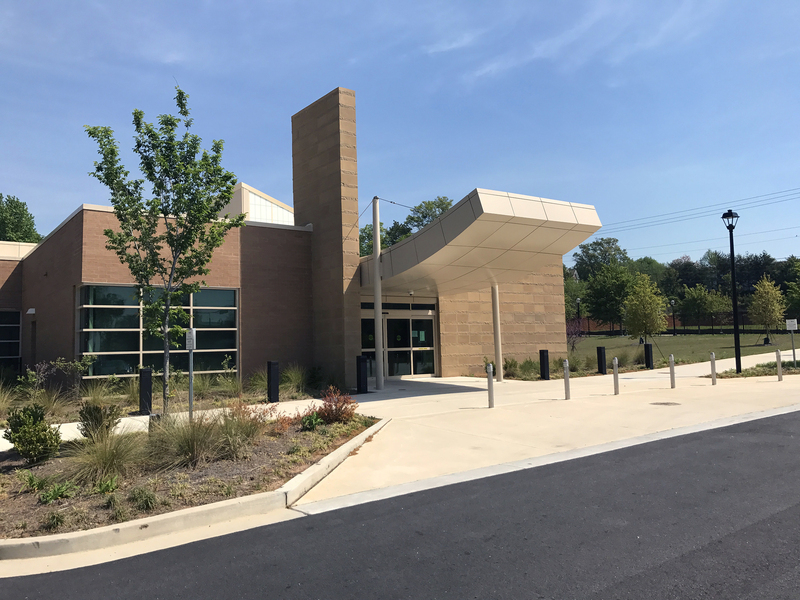 The existing fire station was demolished and replaced with this new, state of the art facility designed to blend function and comfort. The third of an acre site made positioning of the building, the underground stormwater management, fire truck site access, ADA access and parking a challenge, but the design team overcame all of these obstacles while remaining true to the spirit of the neighborhood. 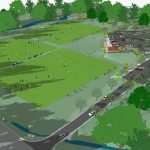 Sustainable aspects of the site include underground infiltration of stormwater pollutants, drought tolerant plant selection that requires no irrigation and the preservation of specimen oak trees in the rear of the property. 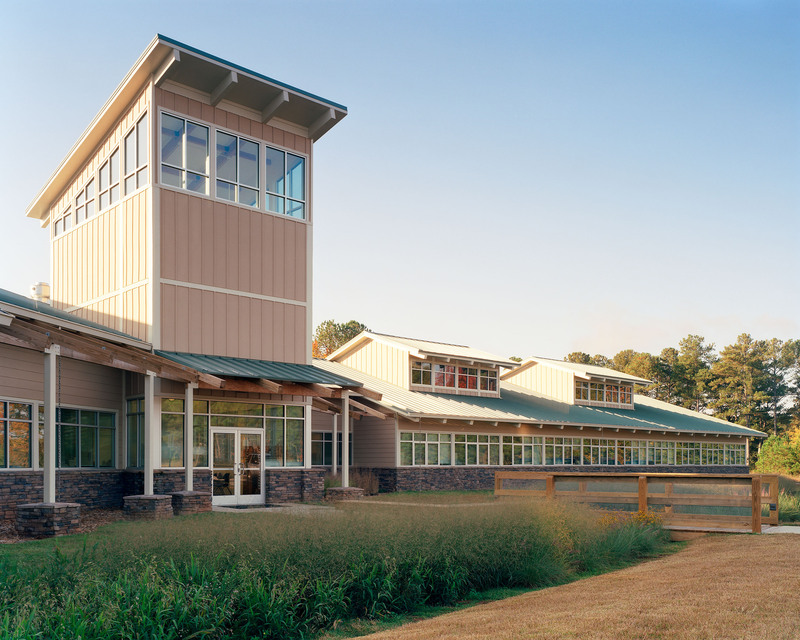 This Georgia Department of Natural Resources Regional office is a 15,800 square foot building that houses six separate DNR Wildlife Resources divisions, including Non-Game, Historic Preservation and Law Enforcement. 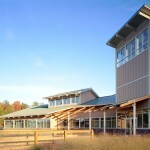 The site and facility also serve as a public education facility highlighting wildlife management and preservation. 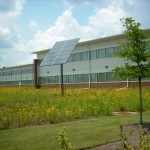 A sustainable site program was developed that would meet credits to obtain LEED® Gold Certification. 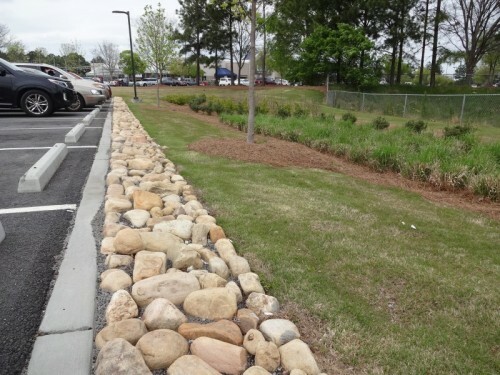 Stormwater management elements include a pervious parking lot, bioretention and a wet pond, all designed to improve stormwater quality while controlling site runoff and stormwater discharge. 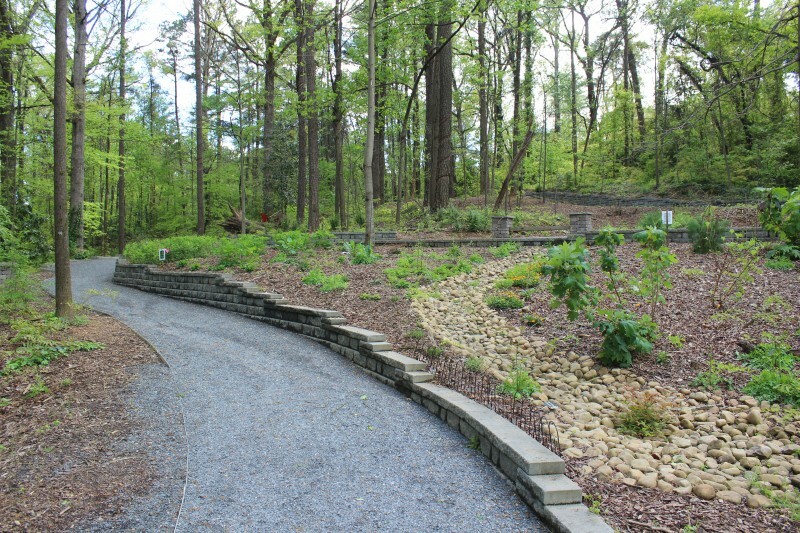 The native plant palette used for landscaping of disturbed areas mimics the surrounding early successional upland piedmont forest, providing food and shelter for wildlife. 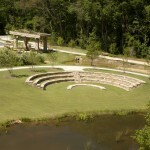 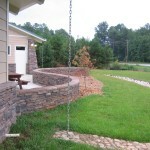 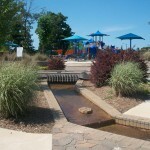 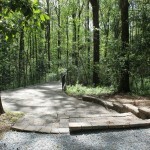 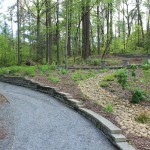 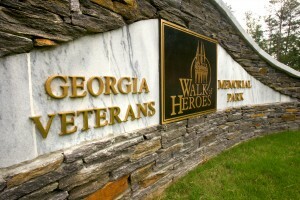 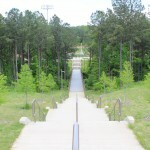 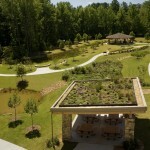 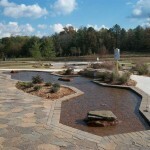 This project won a Georgia Chapter American Society of Landscape Architects Award of Honor. 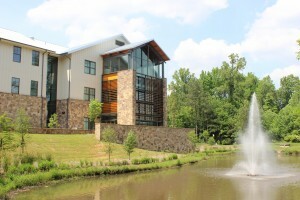 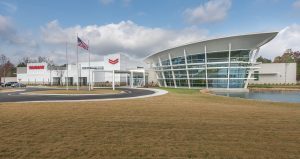 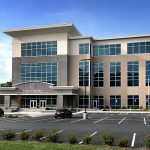 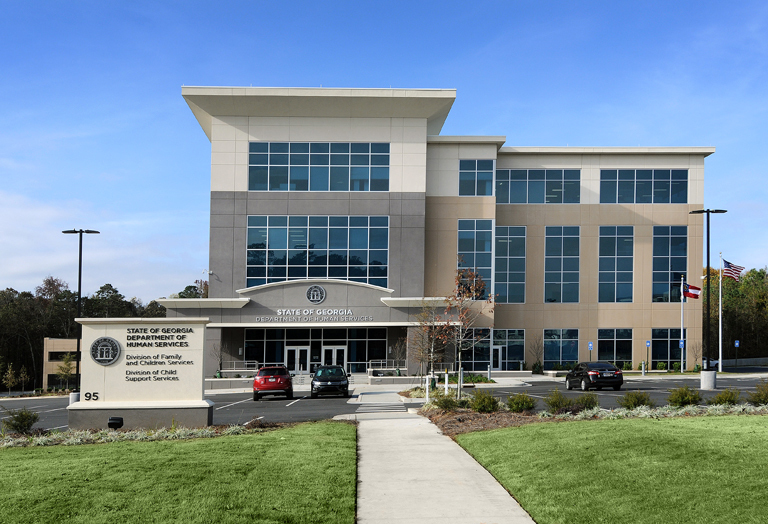 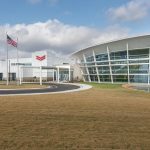 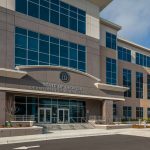 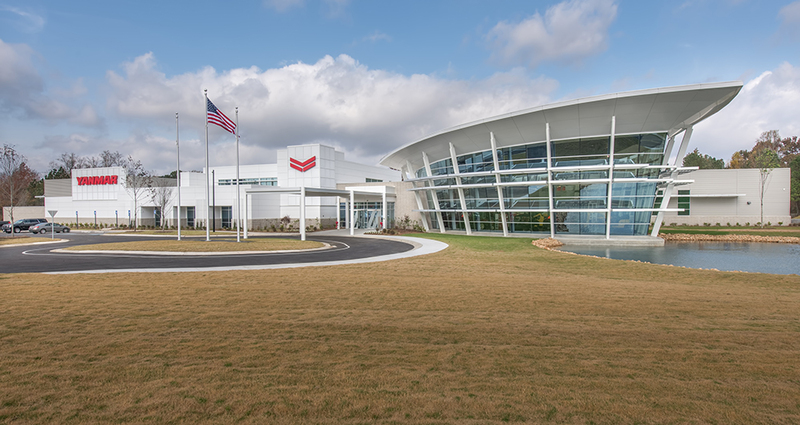 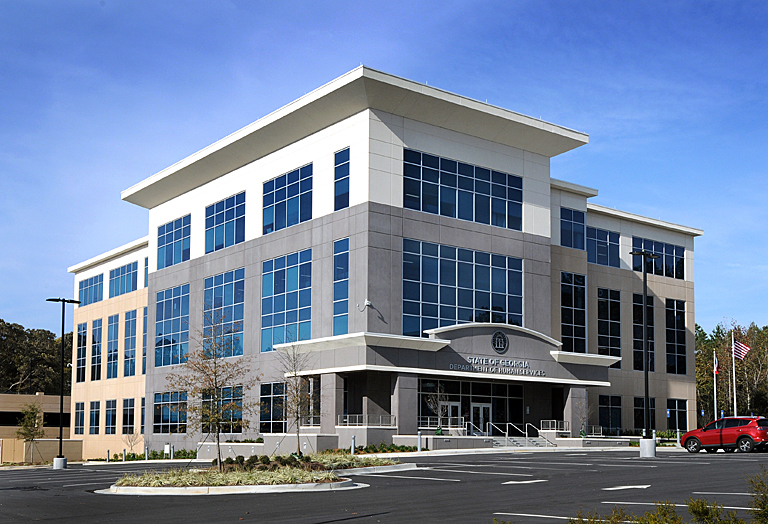 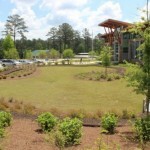 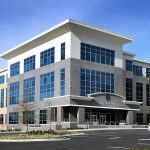 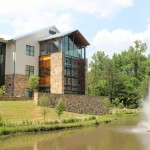 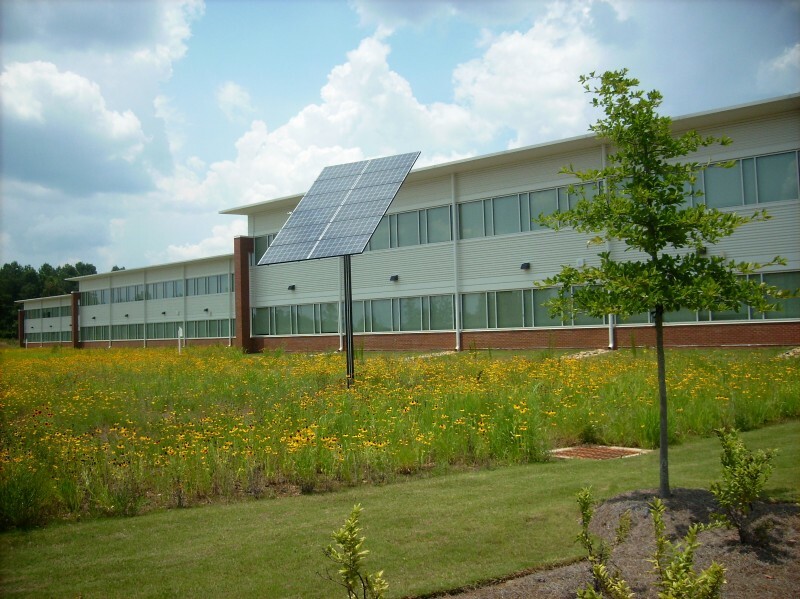 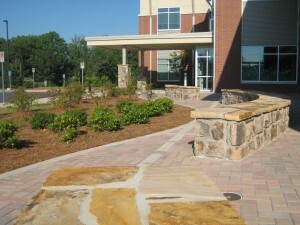 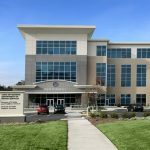 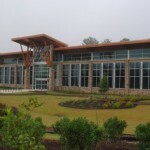 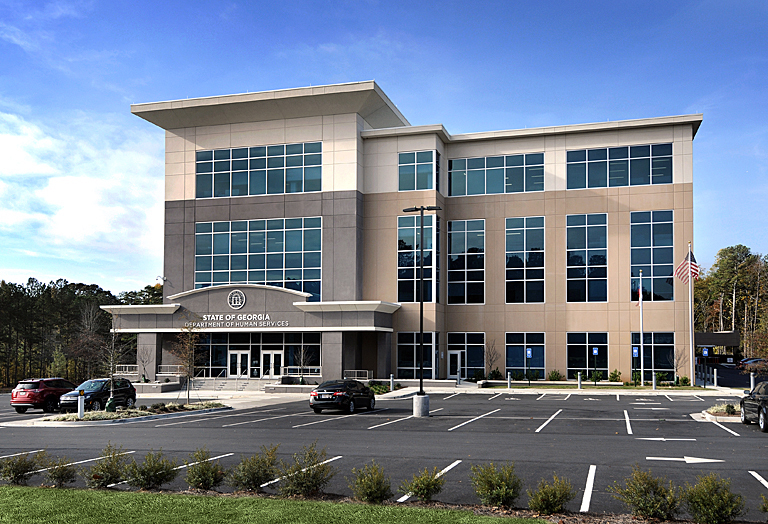 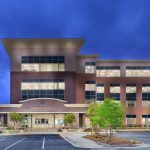 This Georgia Department of Natural Resources regional office in Social Circle, GA has been awarded LEED® Gold certification. 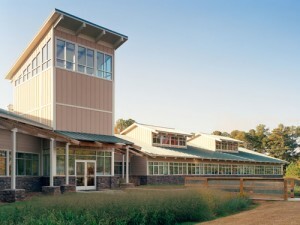 It houses six separate DNR Wildlife Resources divisions including Non-Game, Historic Preservation, and Law Enforcement. 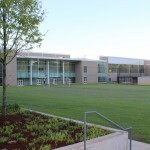 The new office and surrounding grounds also serve as a public education facility. 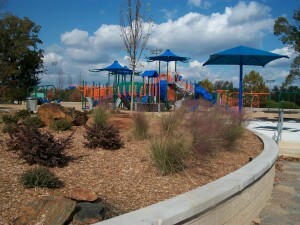 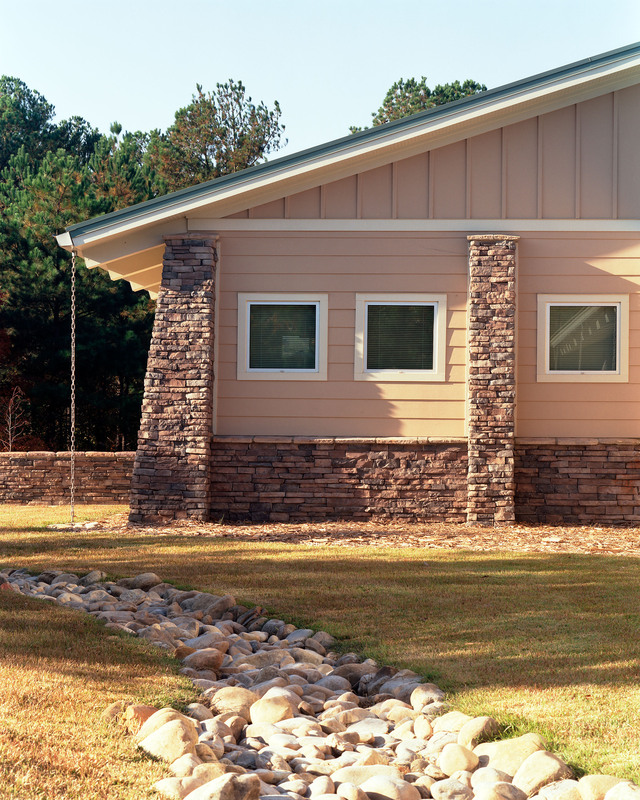 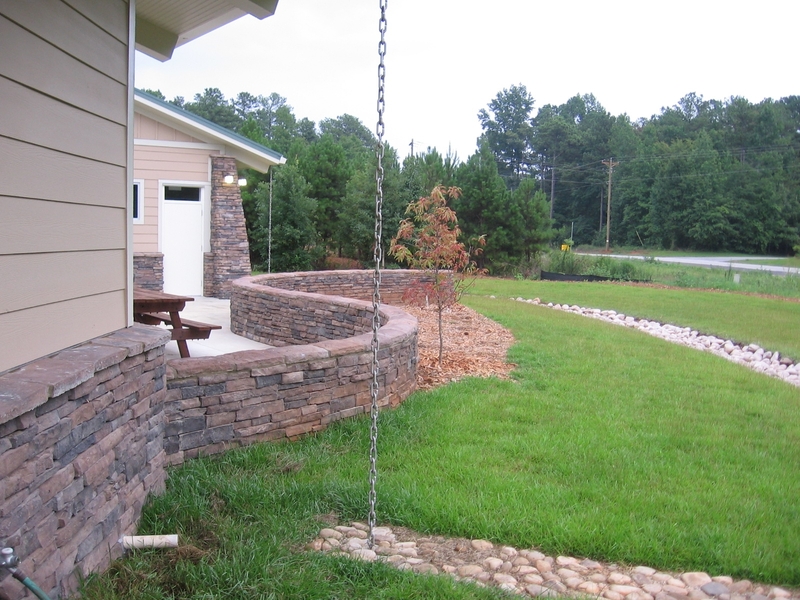 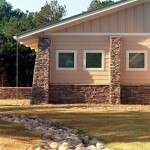 Breedlove Land Planning provided site design services, with a focus on sustainability. 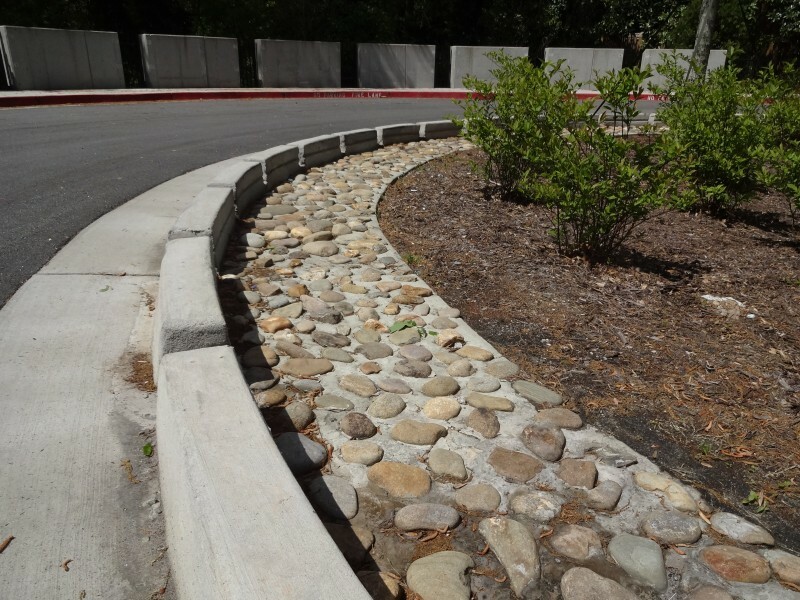 Stormwater management elements include pervious parking, bio-retention cells, and enhanced swales. 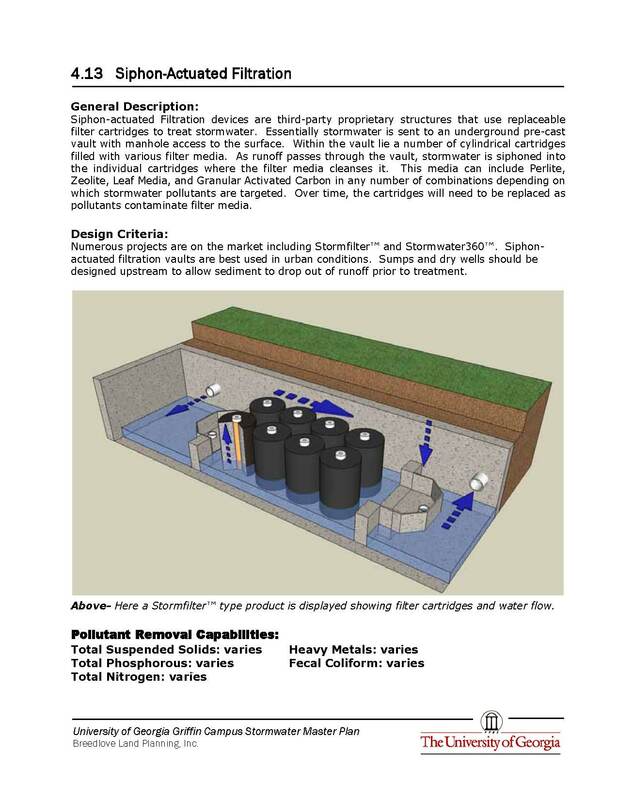 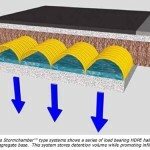 These features improve stormwater quality while controlling site runoff and stormwater discharge with minimal use of conventional underground storm pipe. 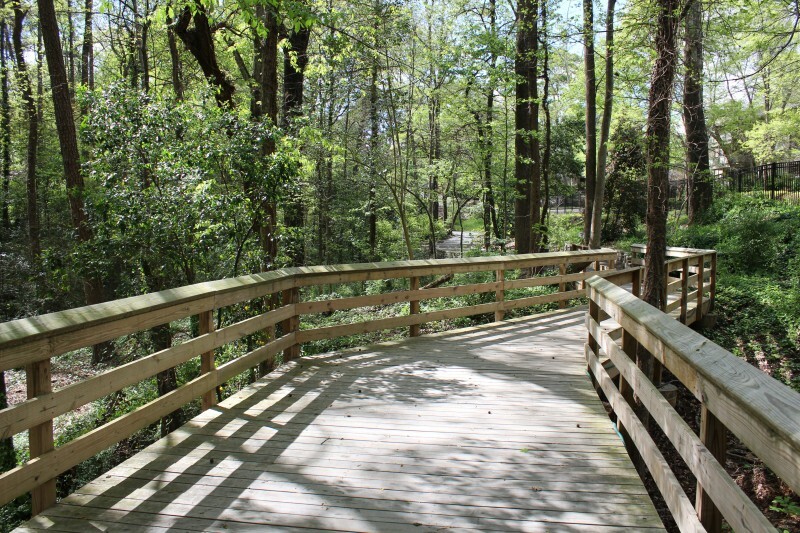 These methods are showcased in the aesthetic landscape, which visitors can experience firsthand on a custon timber deck bridging over bio-retention areas at the front entrance. 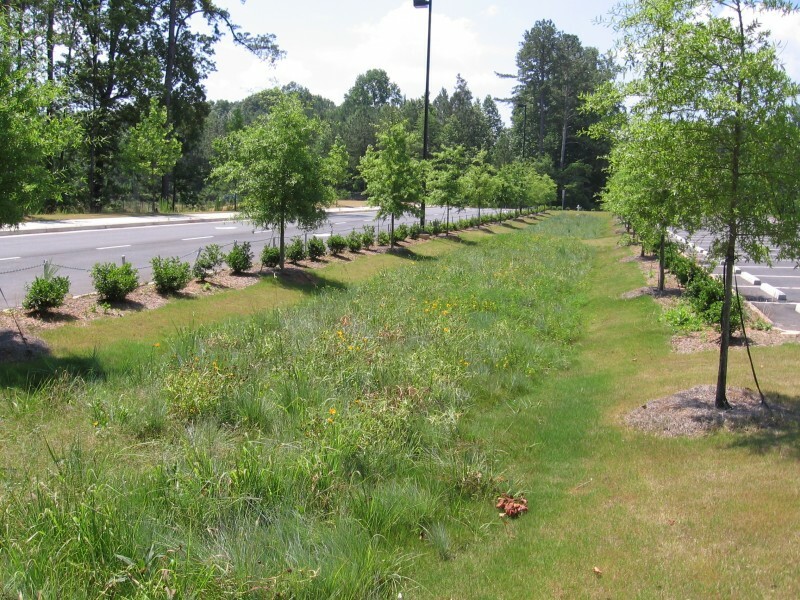 The native plant palette used for disturbed areas mimics the surrounding early successional upland piedmont forest. 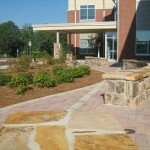 This unique project began as an in-house design competition that took place in 1996. 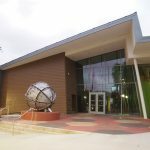 Once the winning concept was selected, the project was taken from Conceptual Design to Master Planning and to multiple Construction Documentation Phases. 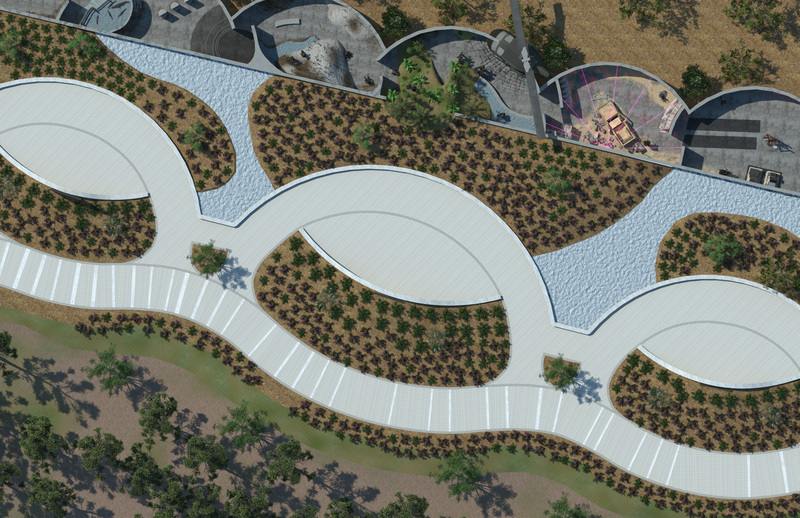 The basic approach of the project is to relate the natural environment that the site offers to the program elements desired for the memorial. 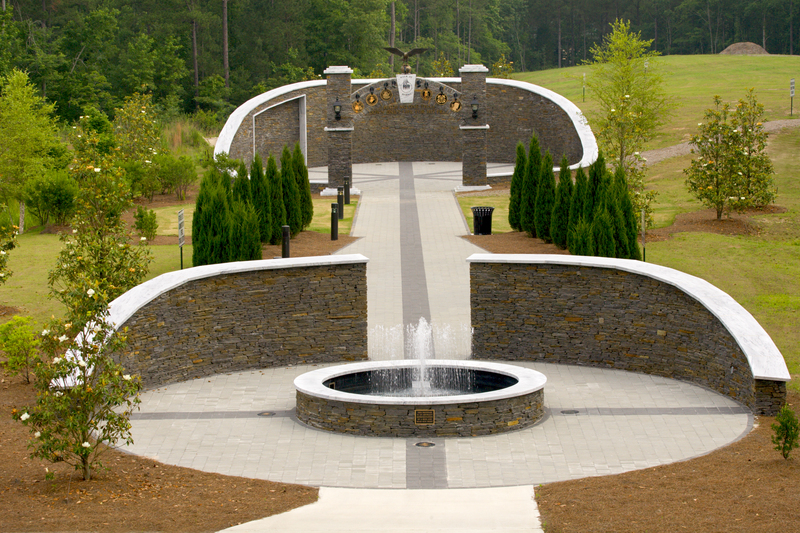 The memorial combines architectural and landscape elements to form a pedestrian park on the northwest bank of Black Shoals Lake. 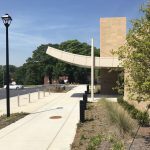 The project consists of approximately 25,000 square feet of disabled person’s accessible walkways and plazas, over 600 linear feet of seat walls and retaining walls, parking, sculptures, water features, lighting and site furnishings. 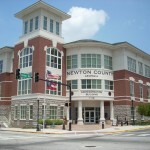 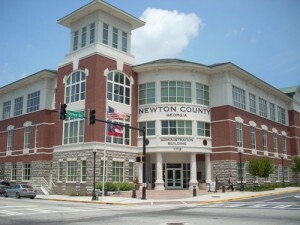 Located in the central business district of the City of Covington, the Newton County Administration Building and Parking Deck is the central office building for Newton County officials. 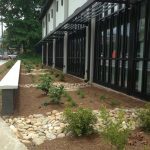 The site design for this urban infill project incorporates a unifying streetscape, hardscape and landscape design, while providing progressive stormwater management and highly efficient irrigation technologies. 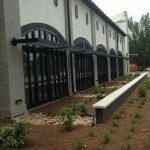 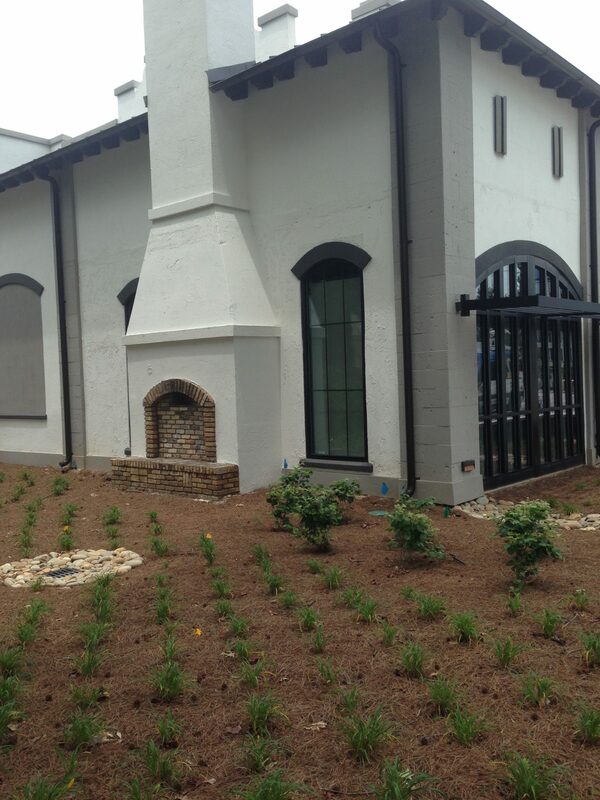 The integration of the building and site into the historic fabric of downtown Covington was critical to the success of the project. 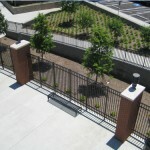 Extensive research of existing downtown amenities and the utilization of human scale site elements, including custom designed seat walls, allow the site to seamlessly integrate into the central business district while maintaining a unique sense of place and modernism. 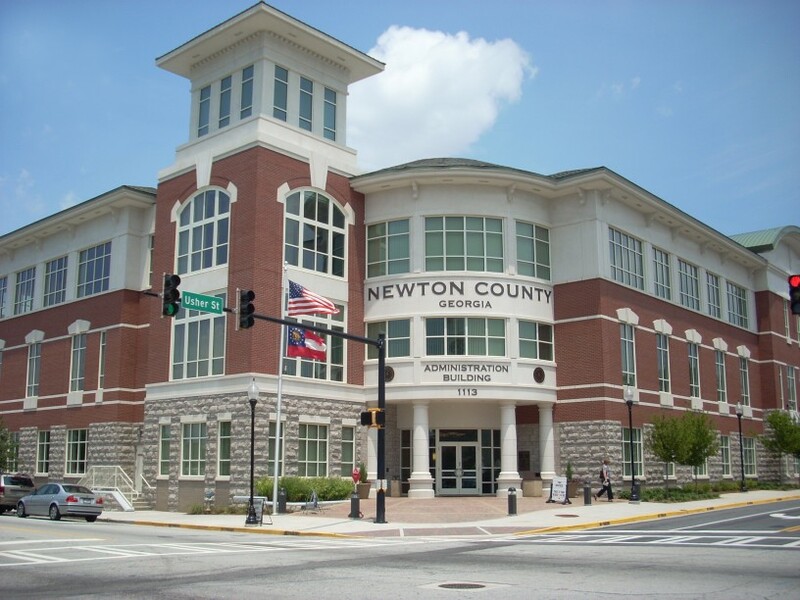 The project resulted in an aesthetic and functional municipal facility that will serve the needs of Newton County for years to come. 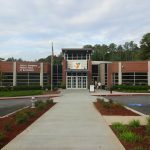 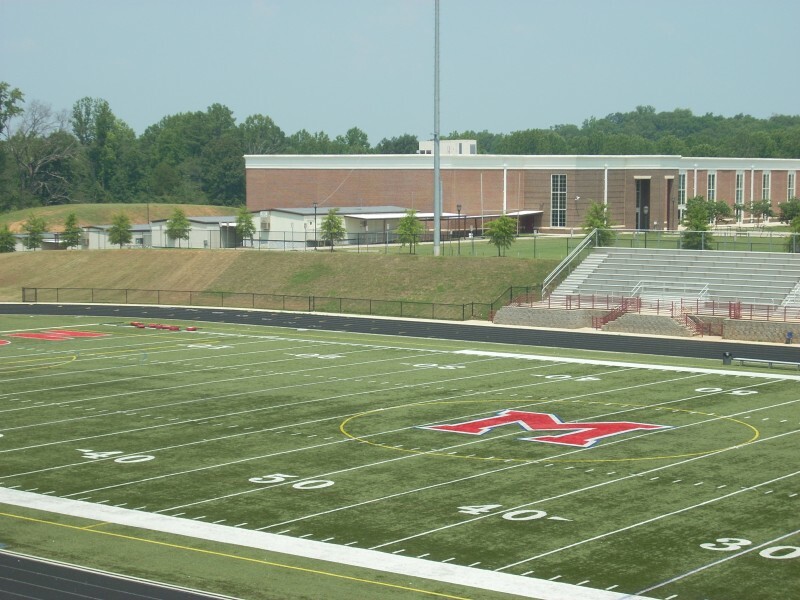 Woodward Academy is one of metro Atlanta’s premier private K-12 institutions and has expanded its physical education program with various athletic facility projects over the past decade. 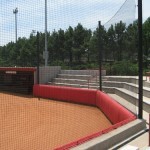 These include a new multi-field softball complex, a new football stadium and renovation of a practice field. 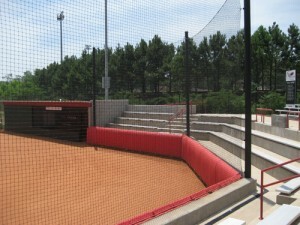 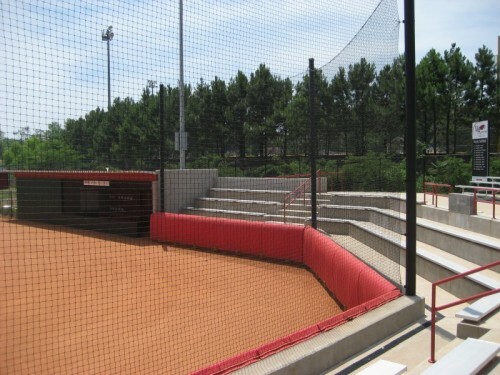 At the softball complex, the main field serves as the athletic department’s centerpiece tournament ball field and includes permanent bleachers, dugouts, and a press box in an intimate spectator environment. 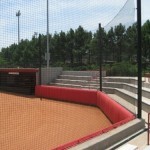 The field also features a donor recognition area for fund-raising opportunities. 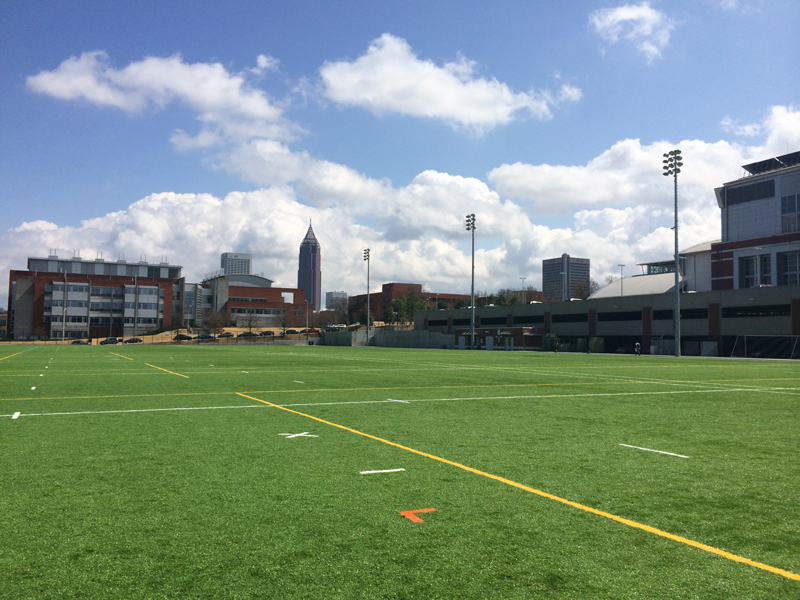 Additional elements in the complex include two practice infields and access to an existing track and field facility. 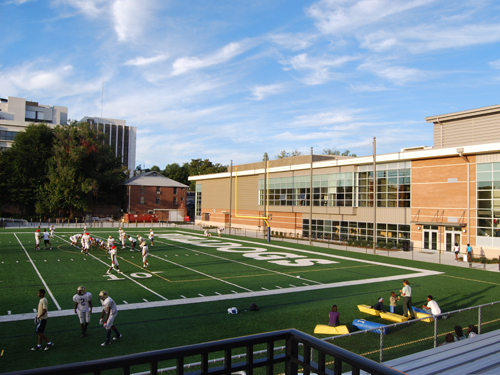 These athletic facility designs successfully incorporate new elements into a dense, urban campus while being mindful of neighborhood concerns and the overall campus master plan. 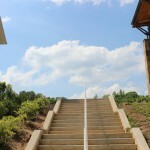 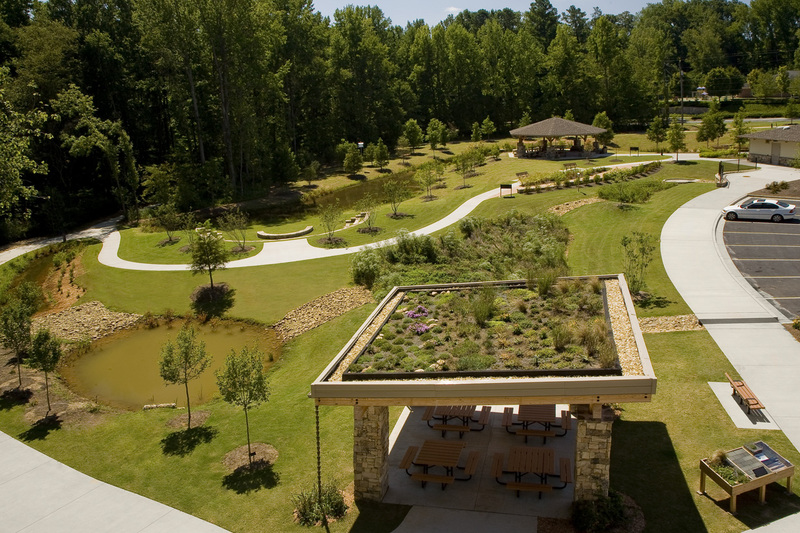 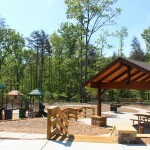 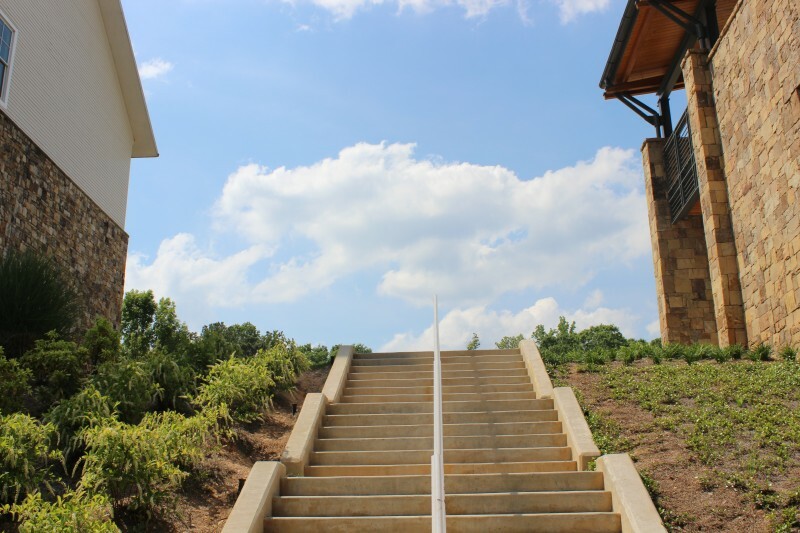 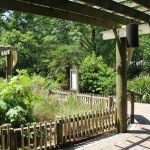 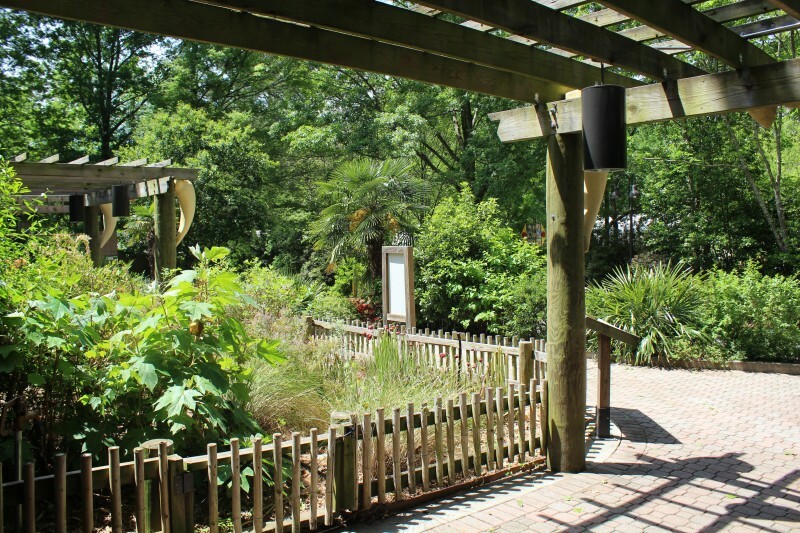 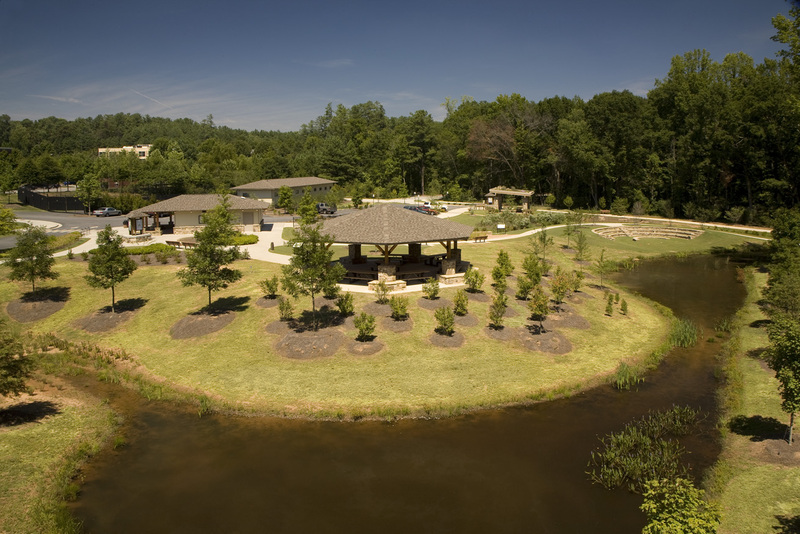 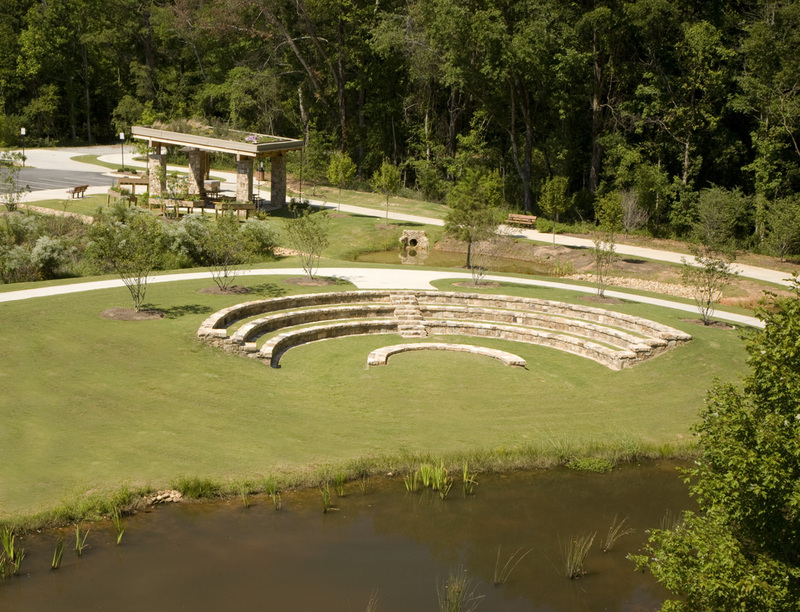 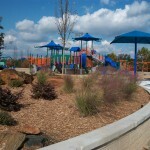 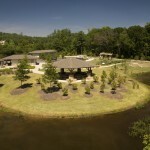 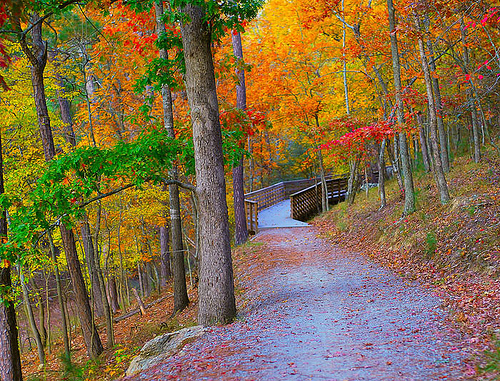 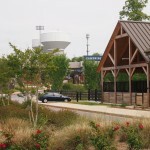 Rock Mill Environmental Park is a passive recreational park that serves as an educational exhibit for the City of Alpharetta. 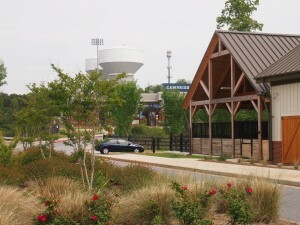 This unique park is multi-use in nature, serving the public as well as operating as a maintenance center for Recreation and Parks Department personnel. 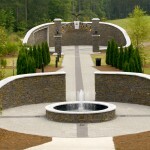 The site is located within the 100 year ﬂoodplain of Big Creek and offered numerous design challenges. 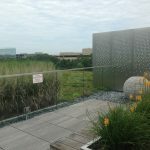 The design emphasized the integration of stormwater quality treatment facilities including bioretention cells, enhanced swales and constructed wetlands. 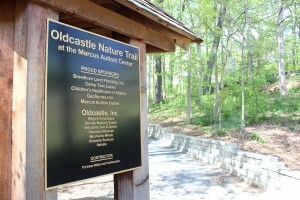 Dispersed throughout the park is informational signage educating the Park’s users on the various stormwater quality treatment facilities as well as the area’s native wildlife, habitats and Cherokee history. 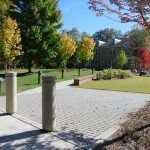 The 123 acre University of Georgia Griffin Campus is currently in a stage of rapid transition and growth. 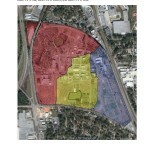 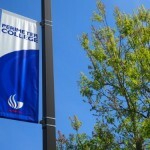 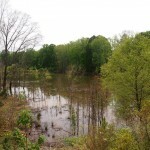 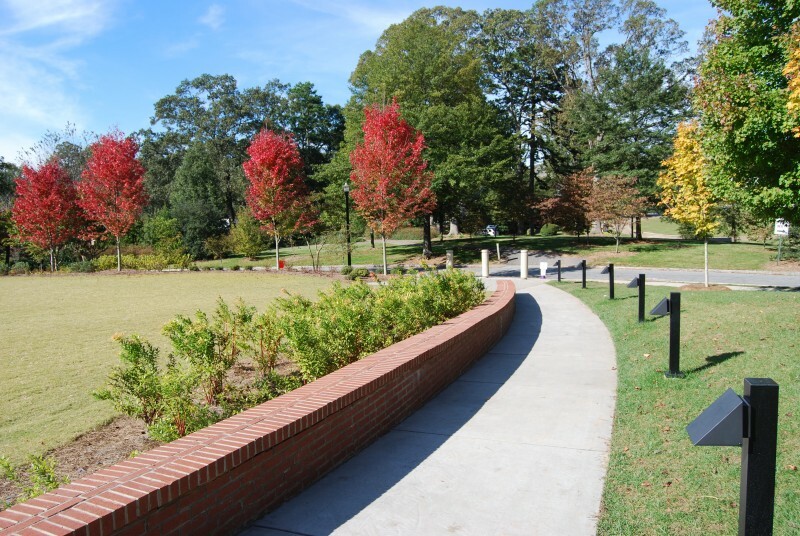 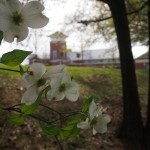 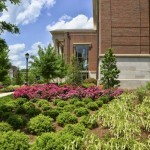 As part of planning for the future, Breedlove Land Planning was retained to develop the Campus Stormwater Master Plan. 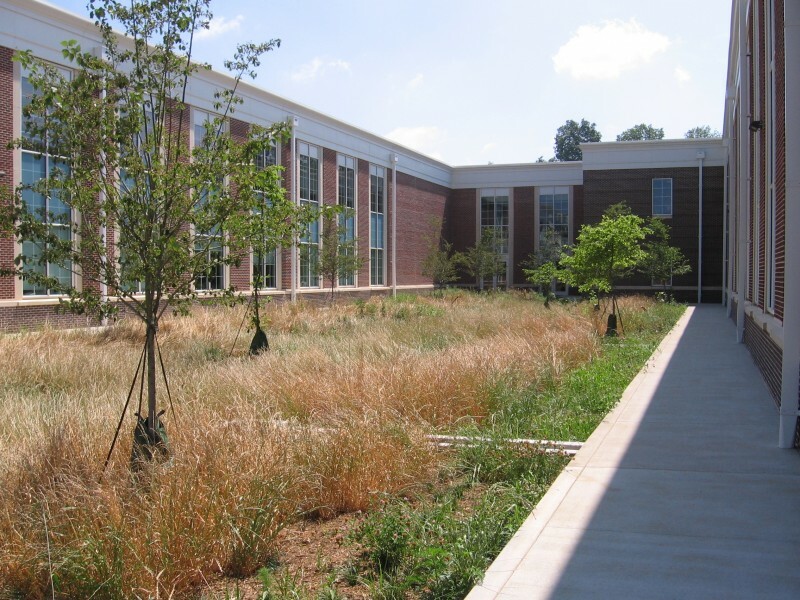 This 150-page document provides an inventory and analysis of existing campus hydrologic conditions and strategies for progressive and sustainable stormwater management. 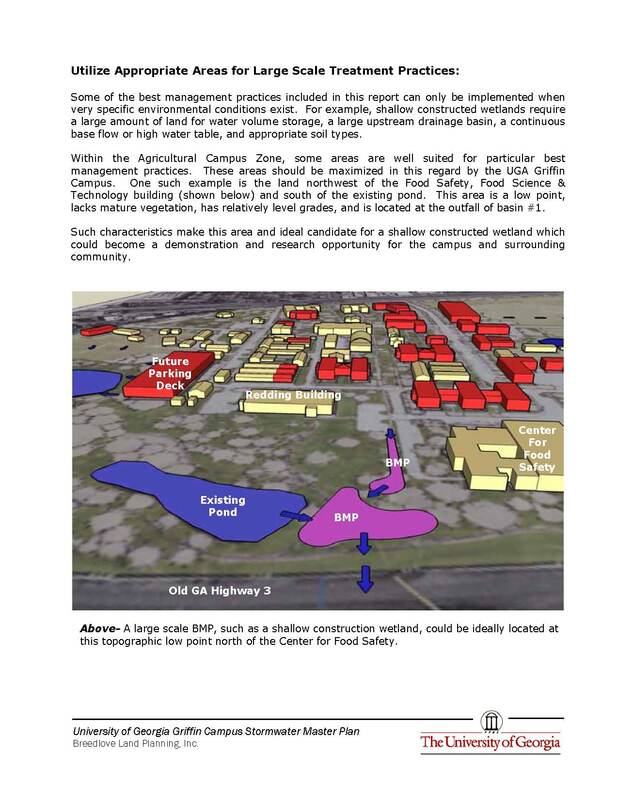 The analysis includes each of the three drainage basins found on the campus and includes an evaluation of the existing wet ponds on site. 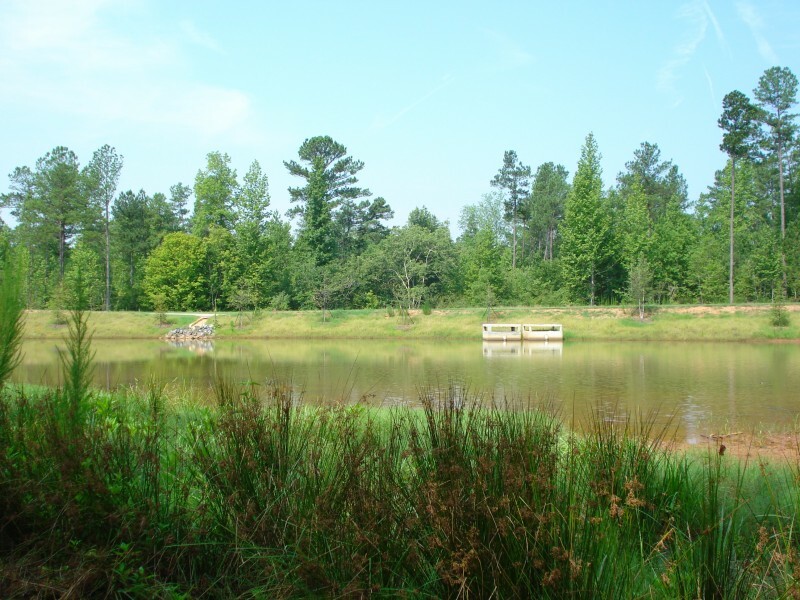 Specific details are provided to guide in the expansion of existing ponds to decrease runoff and increase non-potable water for irrigation while reducing fees paid to the City of Griffin. 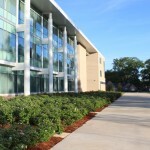 Sixteen Best Management Practices that should be implemented on Campus are outlined in detail. 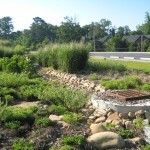 These practices, including porous pavements, greenroofs, enhanced swales, bioretention ponds and constructed wetlands will control on-site runoff, decrease downstream flooding and improve water quality through the treatment of stormwater pollutants such as sediment, nutrients, oils, metals and animal waste. 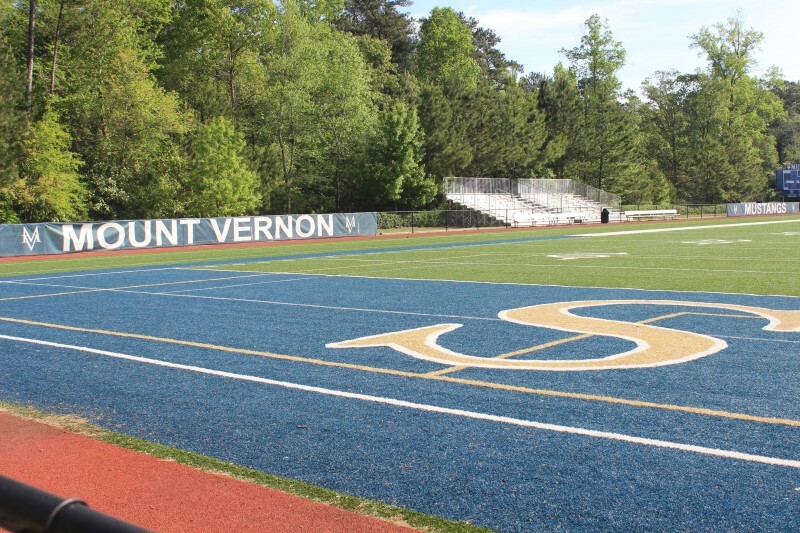 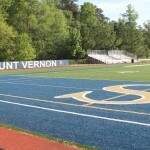 Mount Vernon Presbyterian School is a 30-acre campus and the first phase of construction of the Glenn Campus included a four story building, baseball and softball fields and a football/soccer field as well as all grading for future development, utility infrastructure, and underground stormwater management systems. 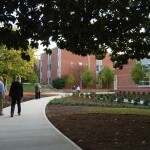 The first phase of the campus was completed in 2006. 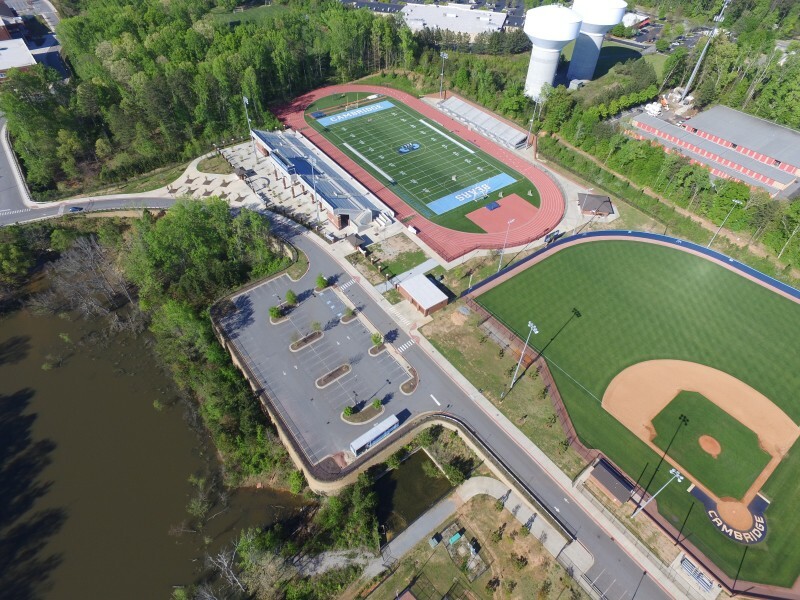 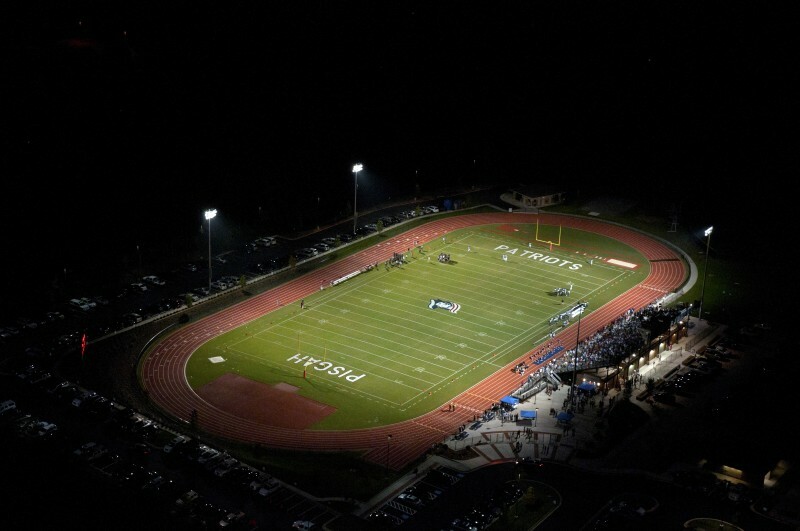 Since then, Breedlove Land Planning has been consulted for numerous additional projects, most recently assisting the school with the addition of a field house and the conversion of the football field from natural to synthetic turf. 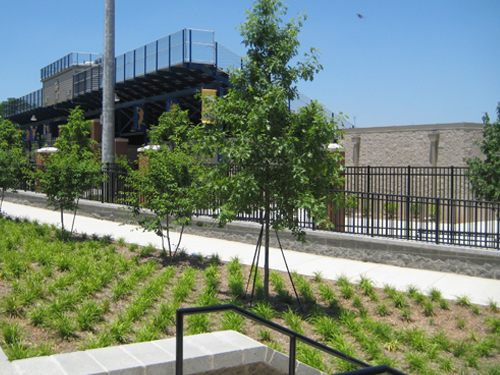 The new field house sits adjacent to the endzone and includes a landscape with a diverse mixture of plant materials, numerous plaza spaces and intricate hardscape paving designs. 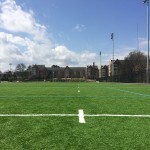 The converted football field now offers one of the area’s top playing surfaces while drastically reducing the ongoing maintenance needs previously required by the natural turf. 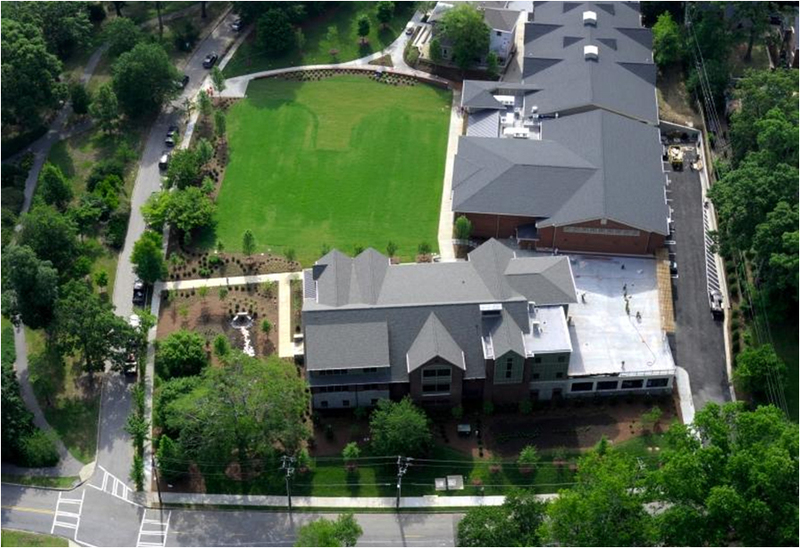 The Paideia School is a 16-acre private school campus located in the historic Druid Hills Neighborhood of Atlanta. 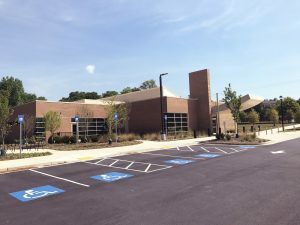 Over the years, several renovation and improvement projects have occurred including the ‘Mother Goose House’, a gymnasium addition and a new Junior High School. 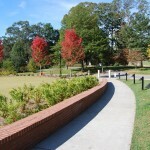 Some campus improvement highlights include the signature campus green adjacent to the Junior High School building, two bioretention ponds that treat stormwater pollutants and also add to the science curriculum, and a fire truck access route that utilizes a combination of porous pavers and reinforced turf to blend the roadway in with the environment while promoting stormwater runoff inﬁltration. 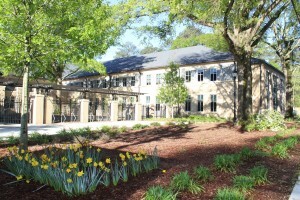 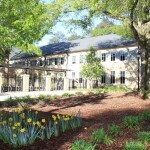 The Woodward Academy Primary School, located on four acres in College Park, Georgia, is another exciting addition to one of the largest private schools in the state. 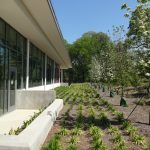 Located on a former public school site, great precautions were taken to preserve the mature hardwood oak trees located throughout the site. 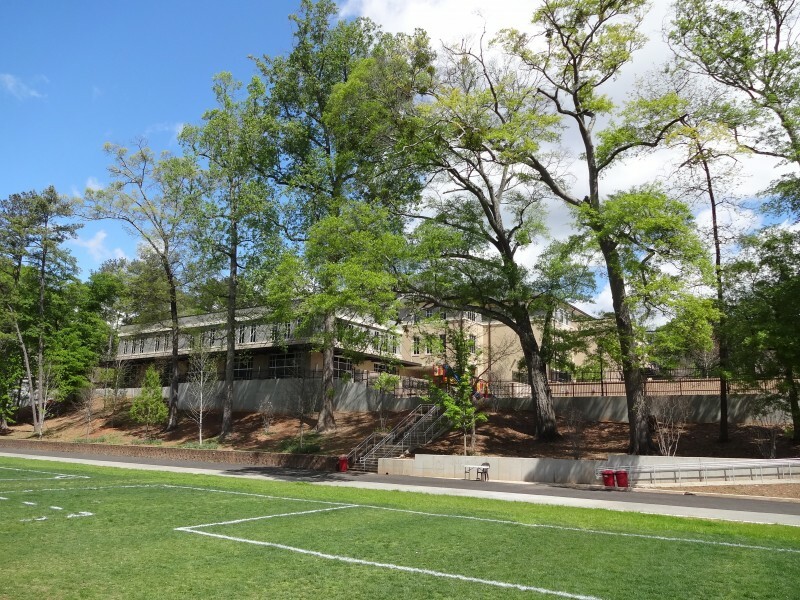 Through the preparation of a comprehensive demolition and removal plan, most of these specimen trees are thriving today, even with some as close as ten feet to the new building. 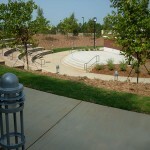 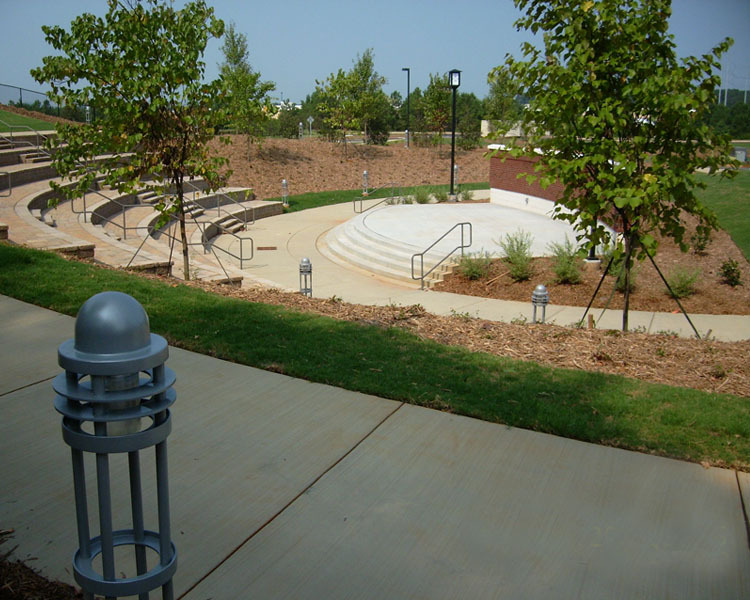 Other site elements designed by Breedlove Land Planning include two underground detention facilities to provide stormwater managment and treatment, a porous parking lot for faculty and visitors, numerous play areas, and an outdoor plaza that acts as an extension of indoor classrooms. 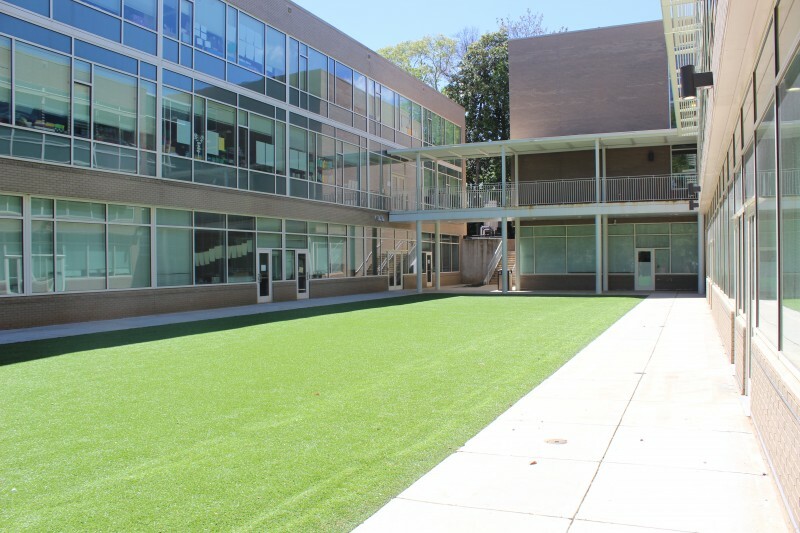 The Woodward Academy Primary School is another demonstration of our success in integrating sustainable land planning practices within the school environment. 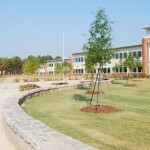 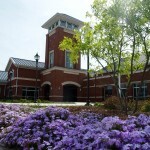 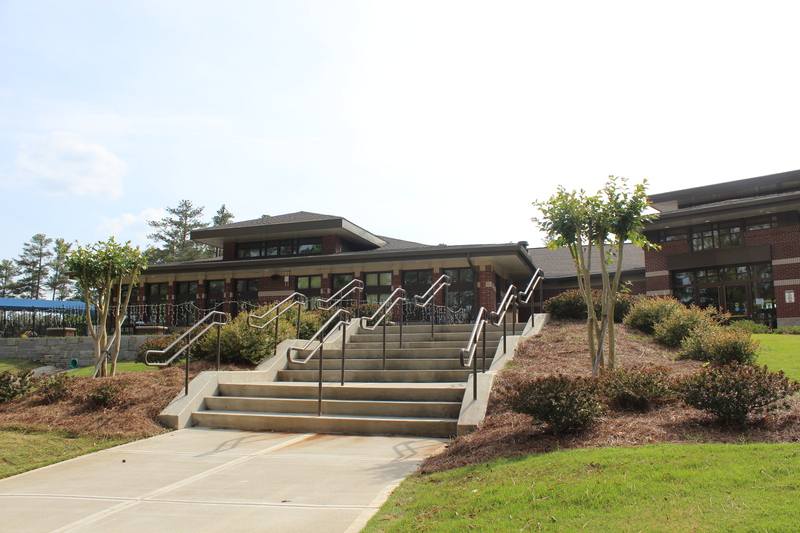 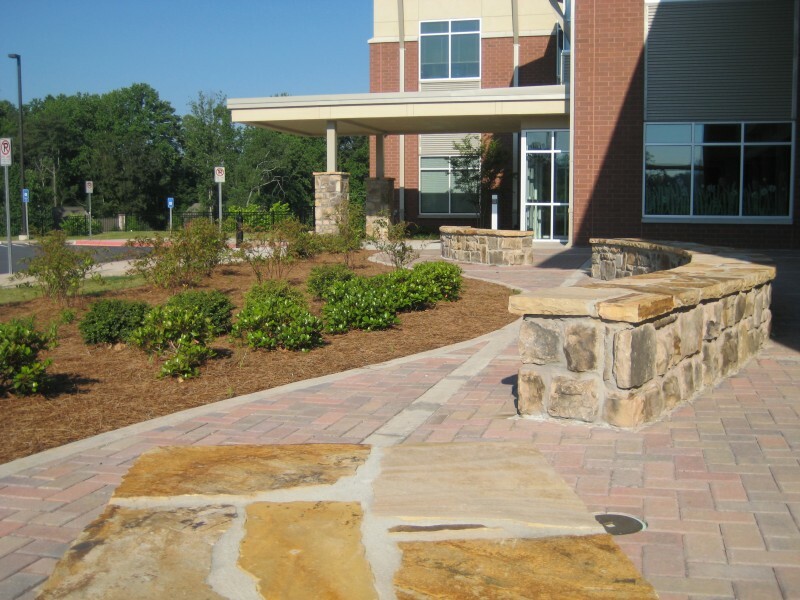 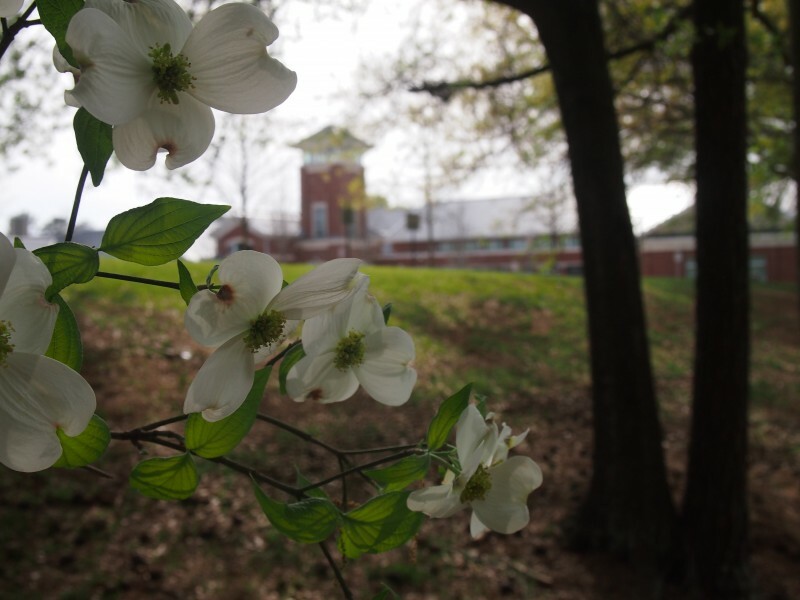 Lake Forest Elementary School is one of the most beautiful elementary school campuses in the metro-Atlanta area. 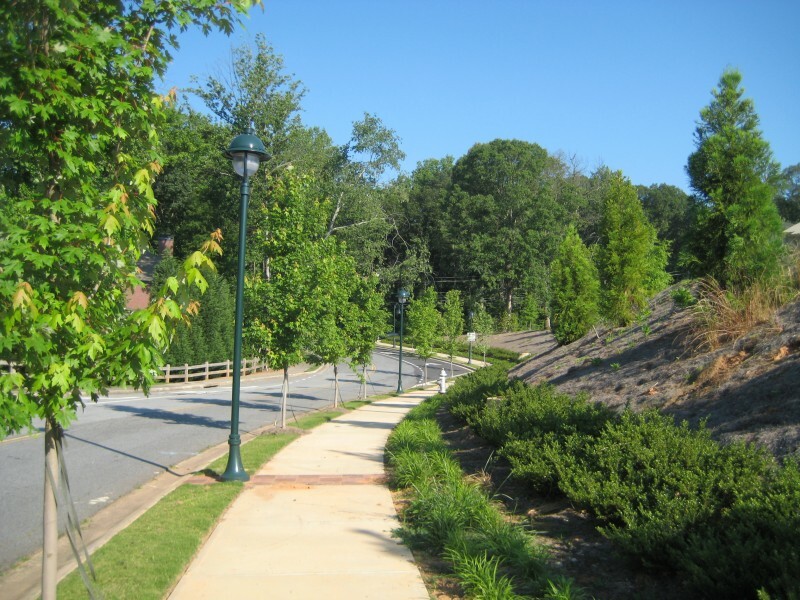 A lush streetscape treatment in combination with preservation of an existing stream buffer and sensitively located playfields and site amenities help to reduce the neighborhood impacts. 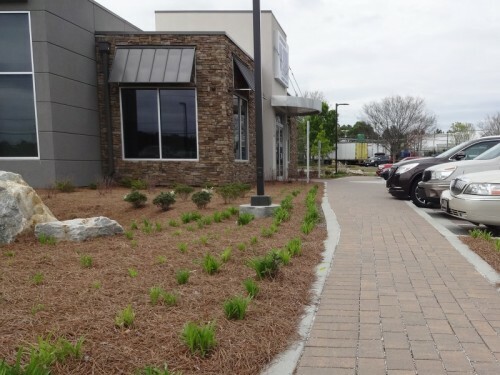 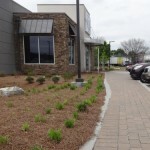 Several progressive stormwater management features were utilized on the project including bioretention areas in parking lot islands, a perforated underground stormwater infiltration system and a stormwater detention system with a vegetated sand filter. 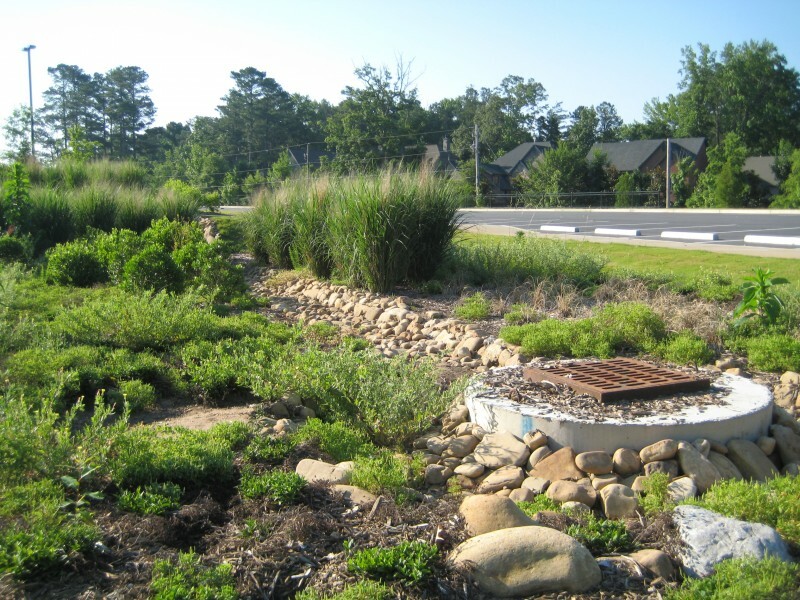 This custom assortment of best management practices results in a system that will reduce stormwater pollution, reduce stormwater peak flows, and encourage groundwater recharge. 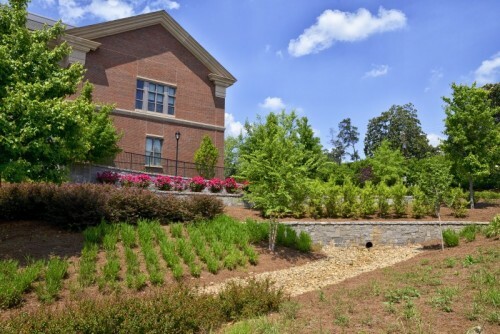 This challenging project involved saving and protecting an existing creek, floodplain and state water buffers while strategically positioning the campus program elements within the property. 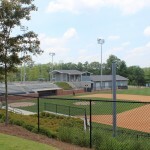 Program elements include a two-story school building, staff and student parking, football field and stadium, softball field, baseball field and soccer field. 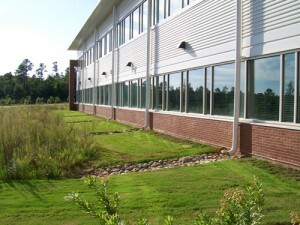 A number of sustainable stormwater approaches were utilized on the site. Stormwater quality requirements were met by utilizing bioretention cells to treat runoff from the impervious surfaces of the site. 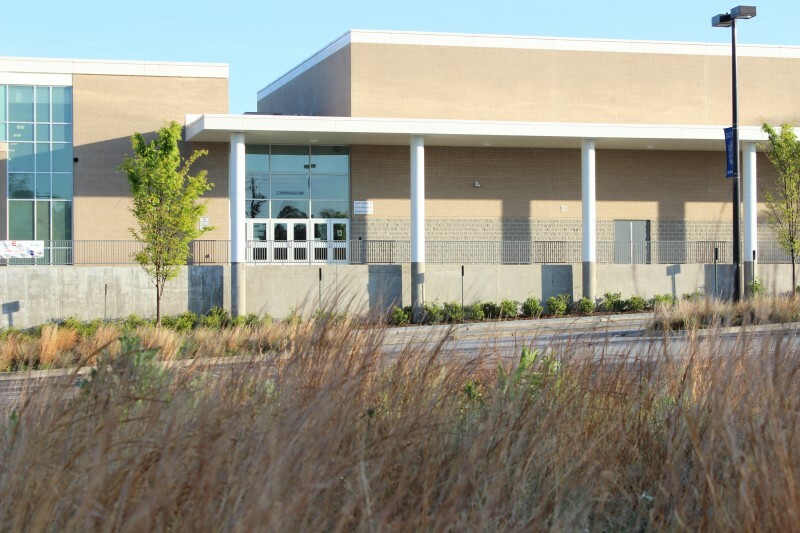 The detention facility on the east side of the property was designed to not only meet State stormwater requirements, but to also act as an irrigation reservoir to serve the athletic fields. 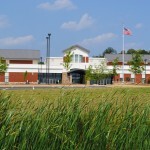 Coahulla Creek High School is the fourth high school in the Whitefield County Schools district. 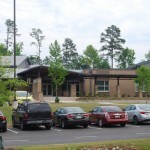 The school opened for enrollment in the fall of 2011. 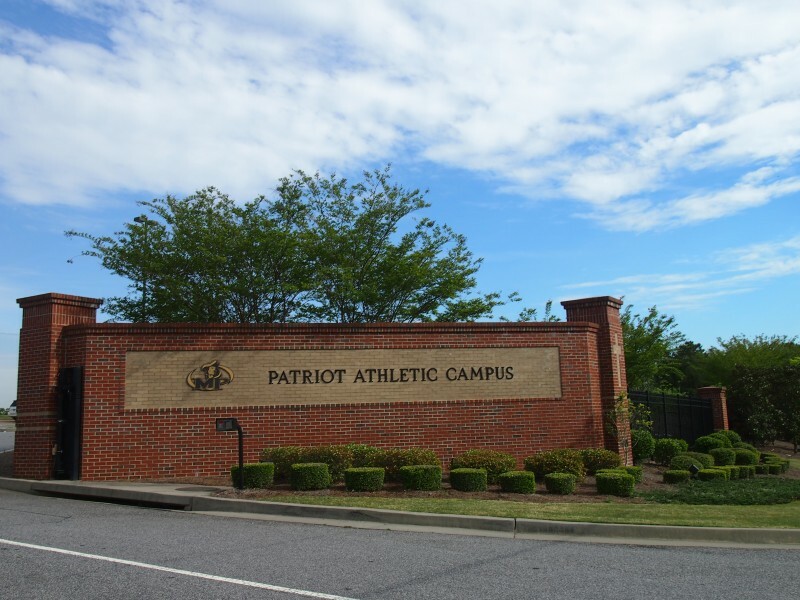 The 100+ acre site is situated along Coahulla Creek and the campus amenities include a three-story building, staff and student parking, soccer field, practice field, football field and stadium, 8-lane 400 meter track, baseball field, softball field, and four tennis courts. 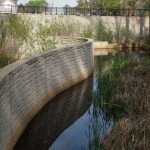 The most challenging obstacle in the site design process was adapting site elements to the 100+ feet of elevation change from the peak of the site to the creek channel. Decatur High School has a long and storied history as one of the premier high schools in the metro-Atlanta area. 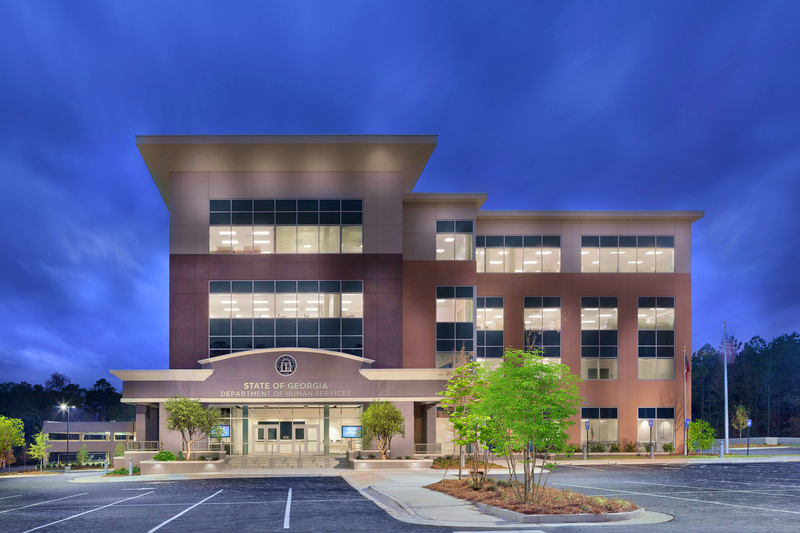 Multiple design teams have been charged with developing various projects over the last several years, all with BLP as their site design consultant. 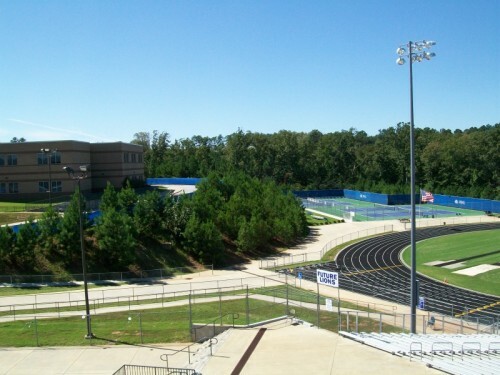 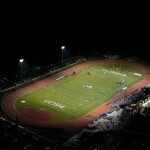 2006: New Stadium and Gymnasium Complex: Replaced the existing outdated facilities. 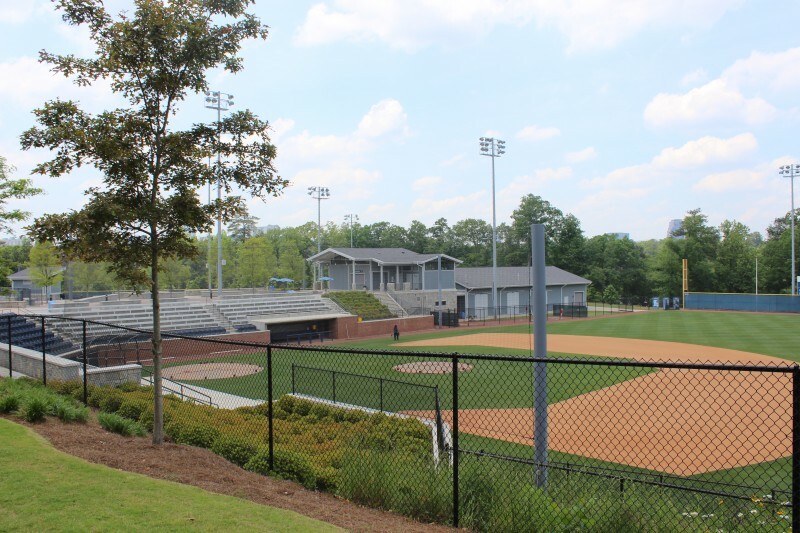 The state of the art facility includes an artificial turf playing surface, a beautiful stadium, new concession and restroom facilities and easy access to the urban fabric of downtown Decatur. 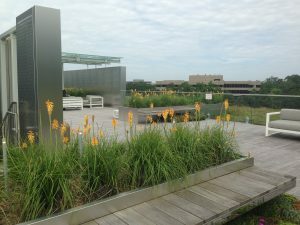 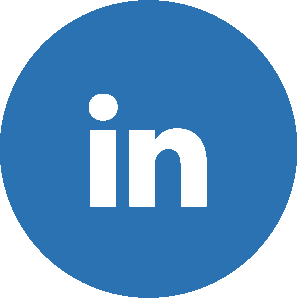 Incorporated site design elements include an underground stormwater infiltration system, native landscaping and several bioretention cells to give the site a sustainable flair. 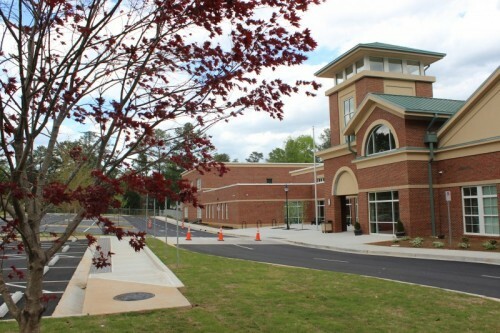 2011: Career Academy: A renovation of a portion of the campus to create a career academy. 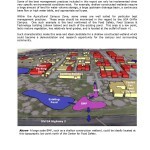 Significant infrastructure modifications including storm and utilities were designed. 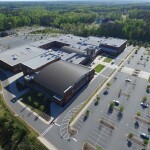 2014: New High School Complex: Currently and simultaneously under design and construction phases, this is a major expansion to accommodate the doubling of enrollment between 2012 and 2018. 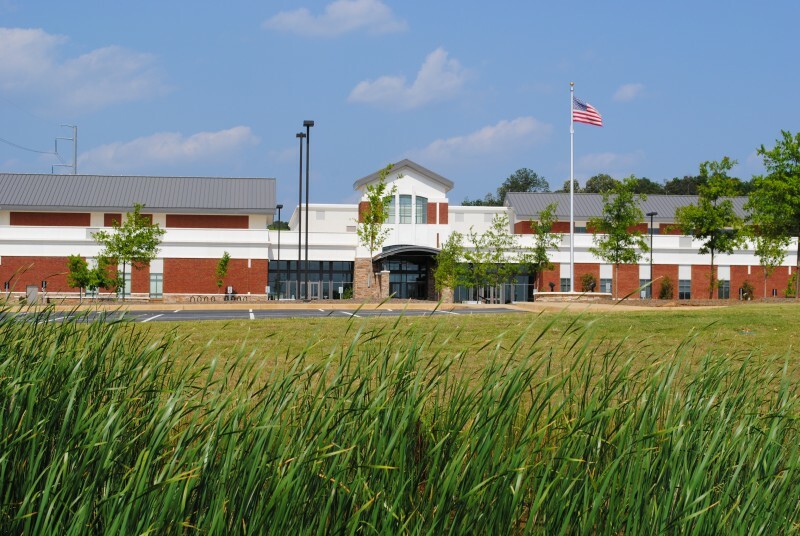 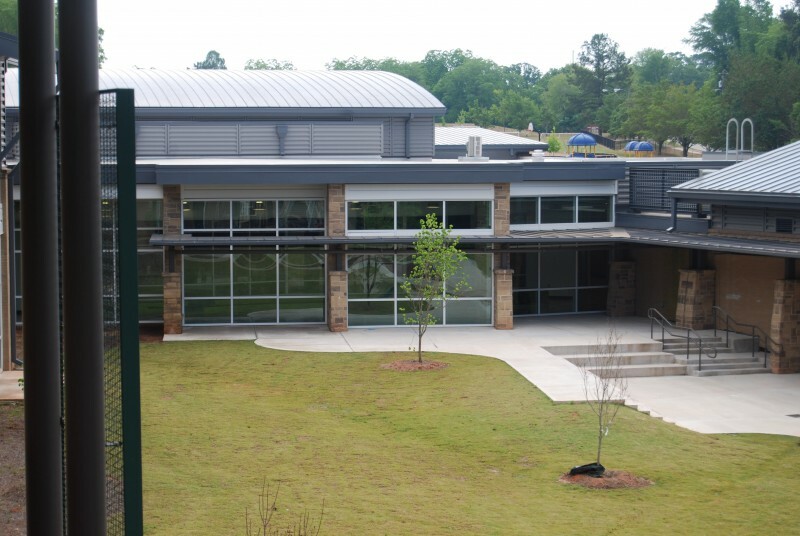 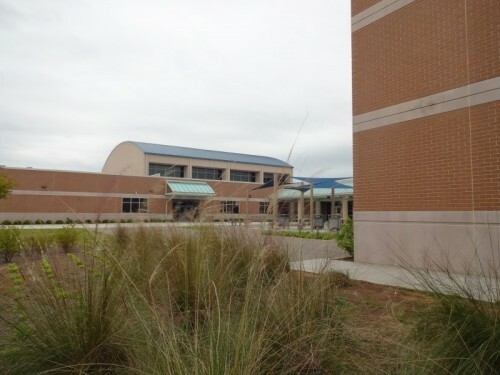 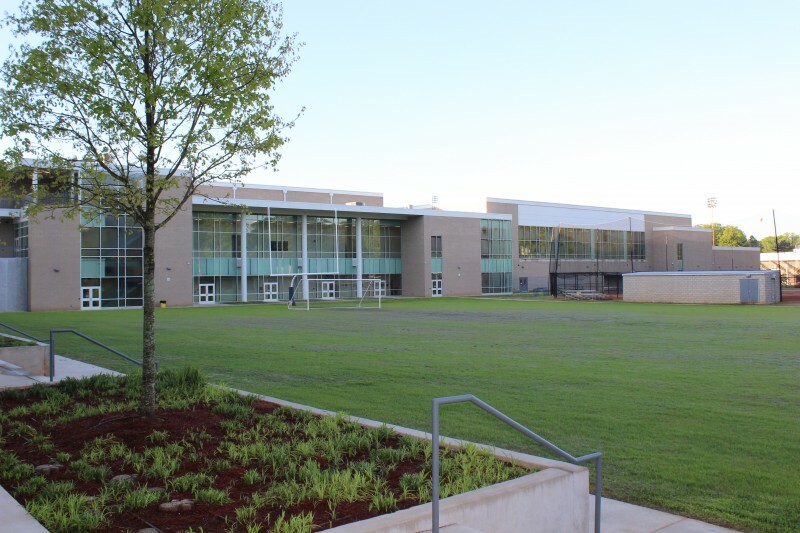 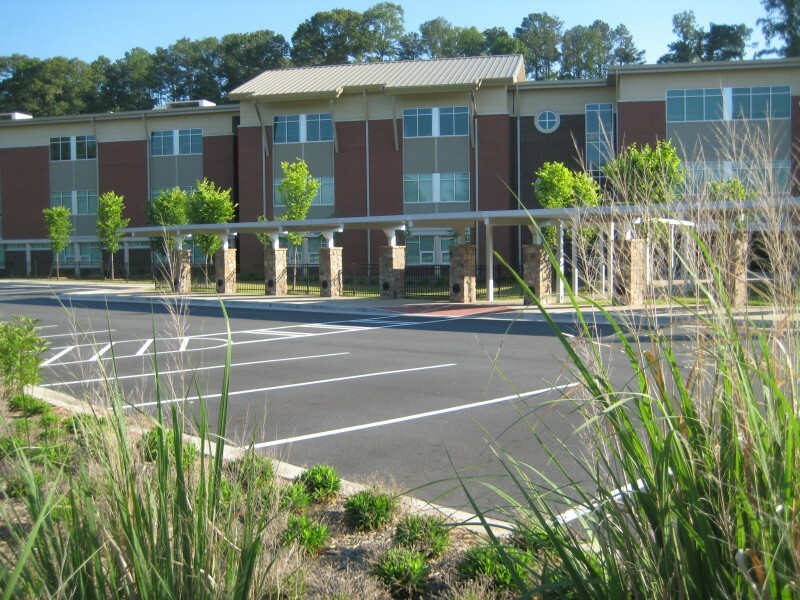 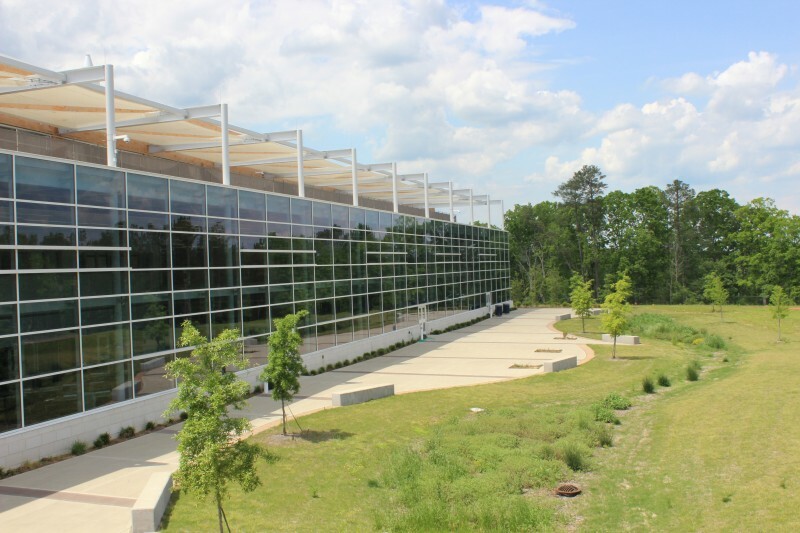 Arabia Mountain High School was DeKalb County School District’s first LEED Silver certified public high school. 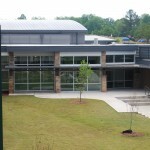 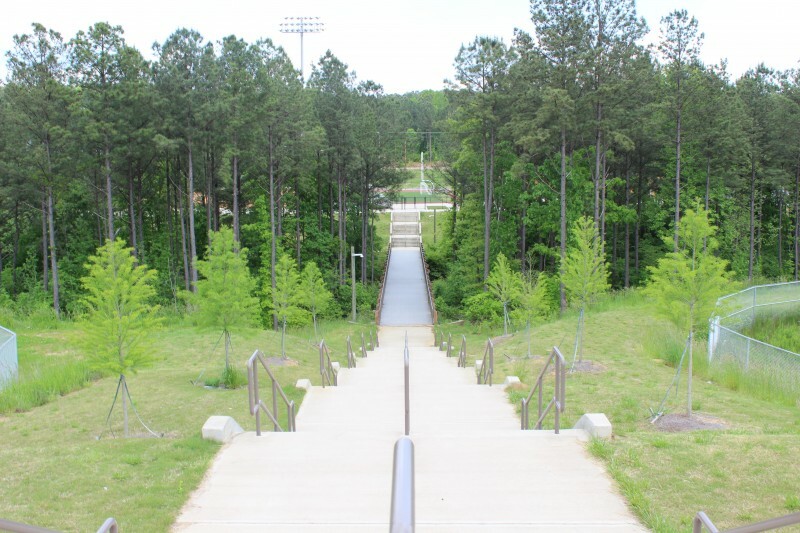 The school is located on an 80 acre site in the Arabia Mountain National Heritage Area. 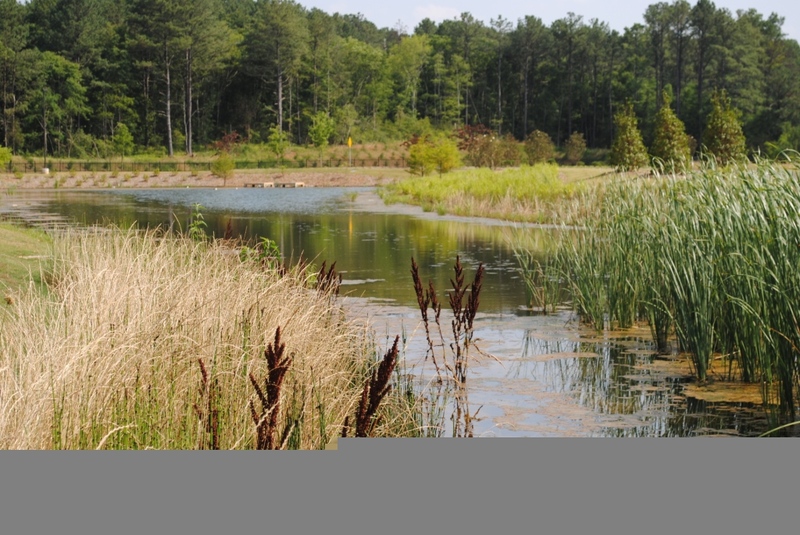 Site design elements utilized to achieve the LEED certification include several acres of constructed native prairie in areas of construction disturbance and a wet pond to remove water pollutants and protect downstream channels. 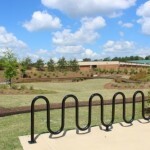 Outdoor amenities connect to the surrounding community via bike and pedestrian greenway trails.